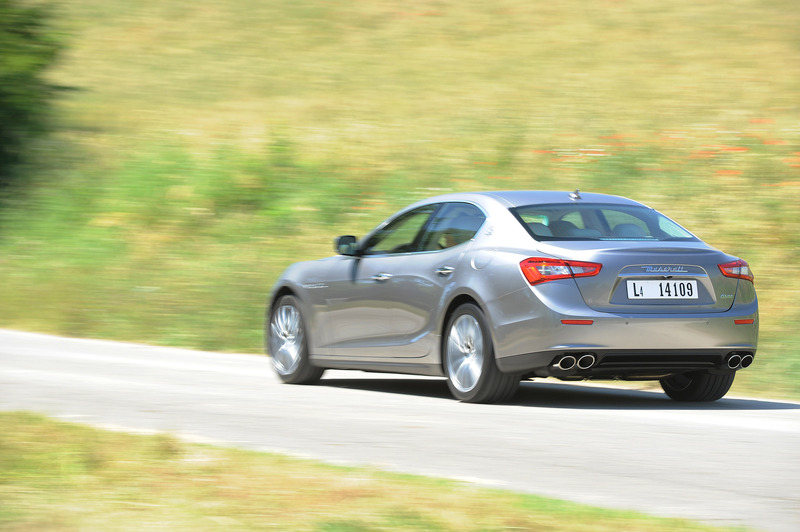 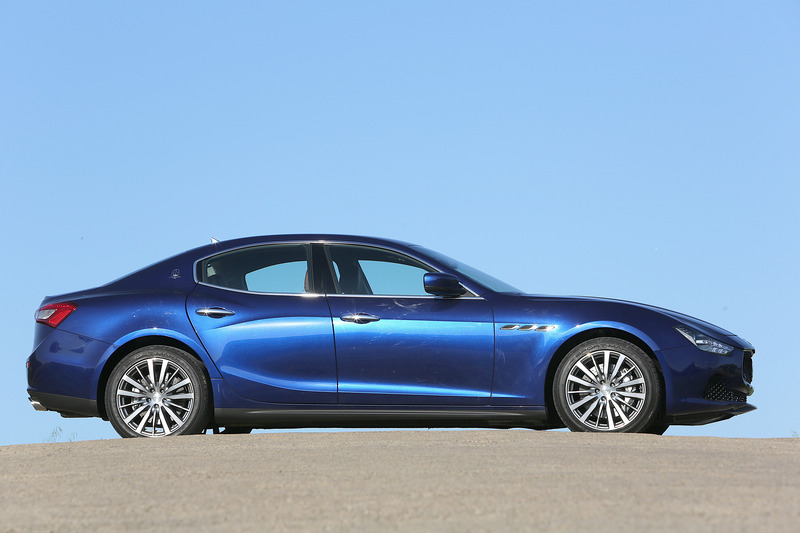 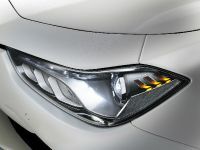 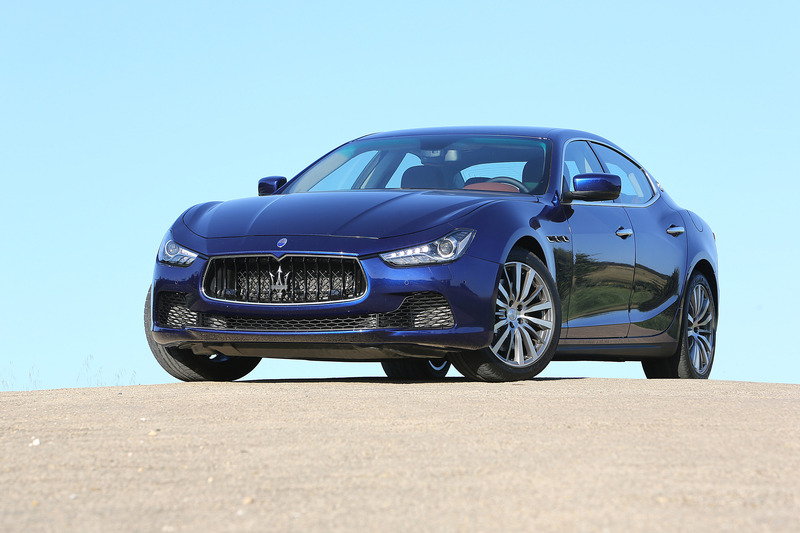 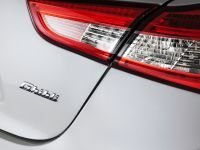 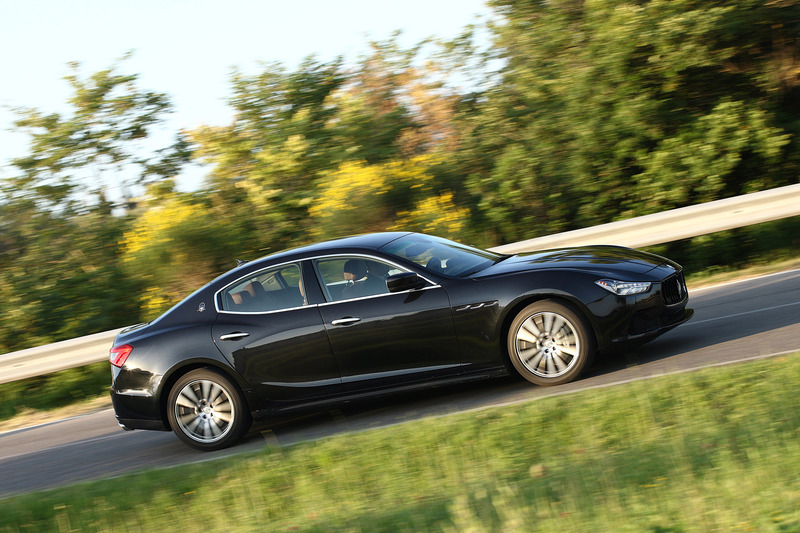 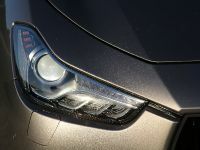 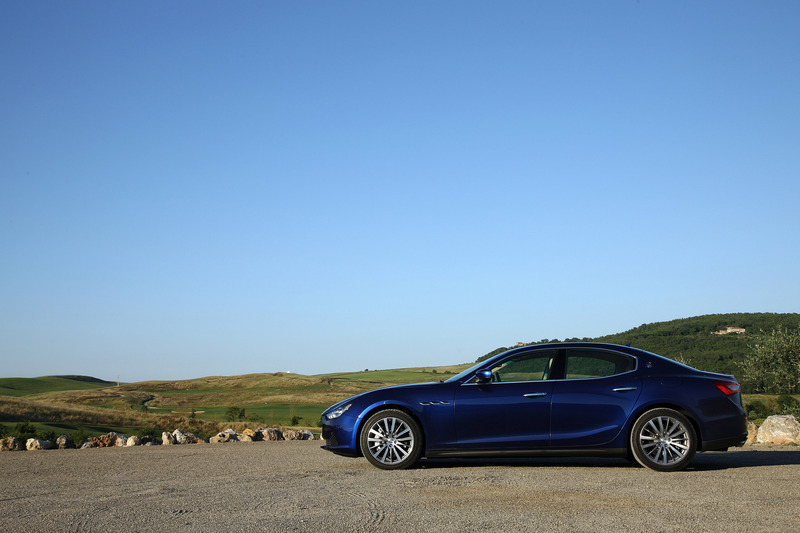 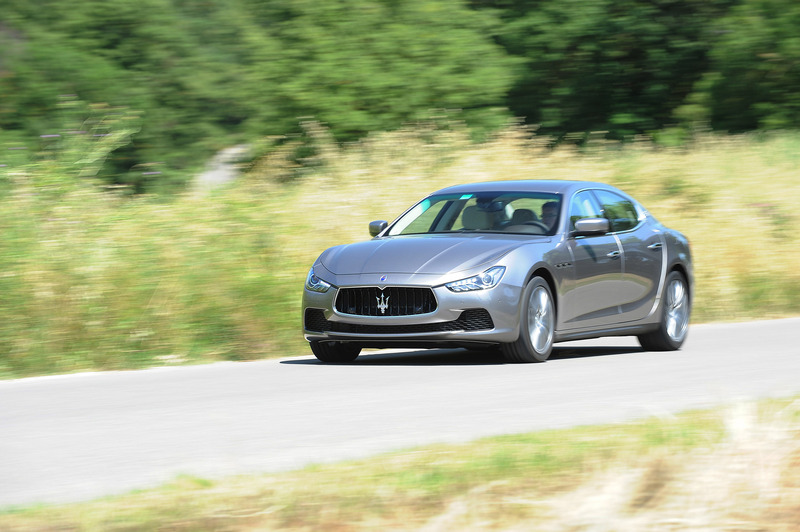 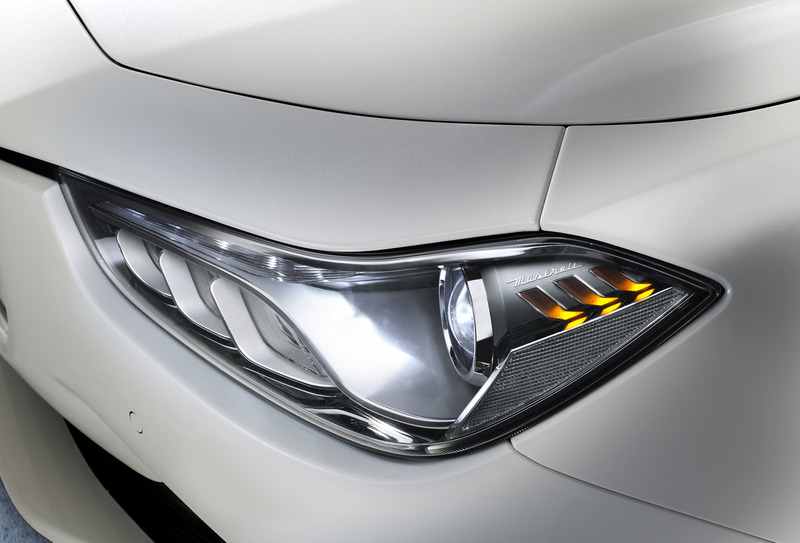 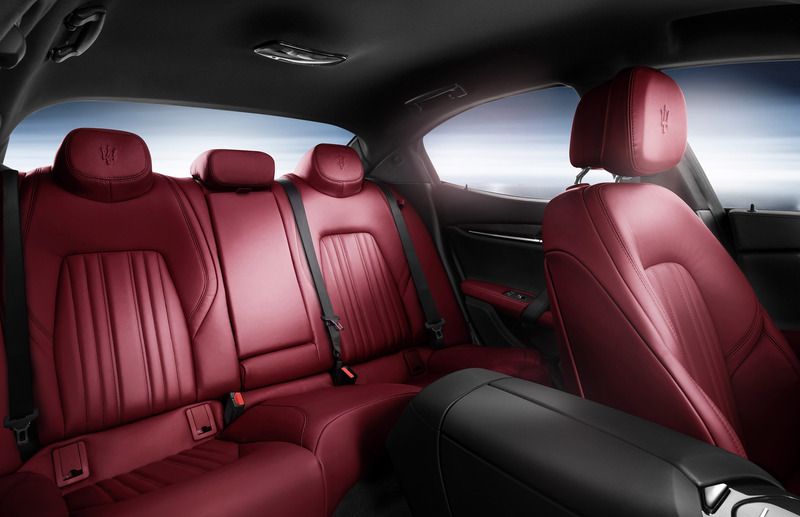 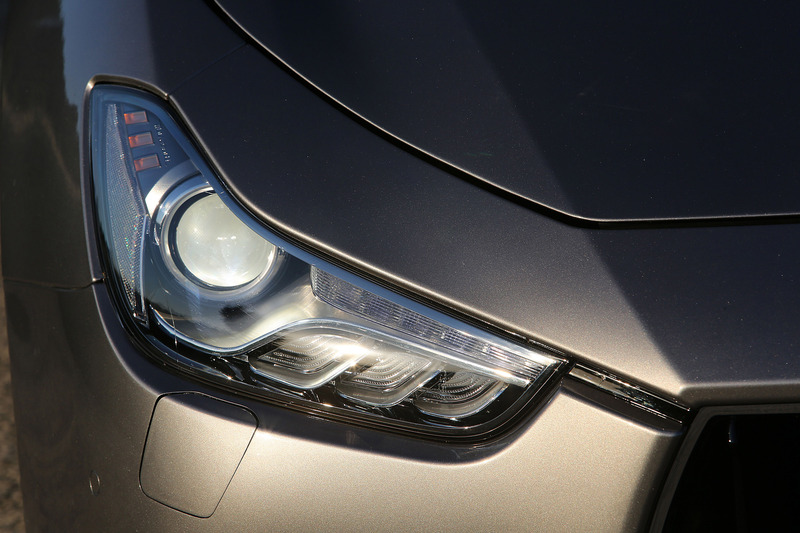 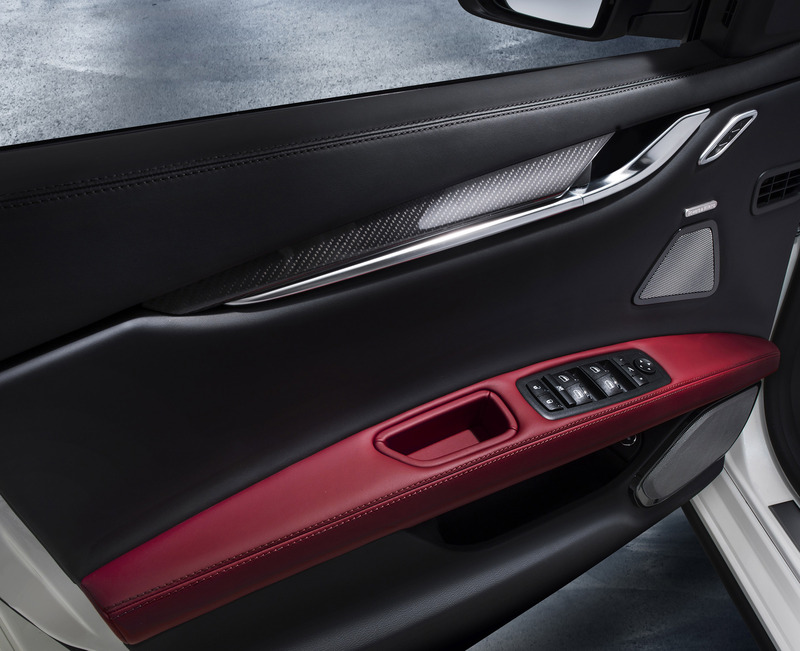 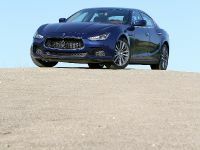 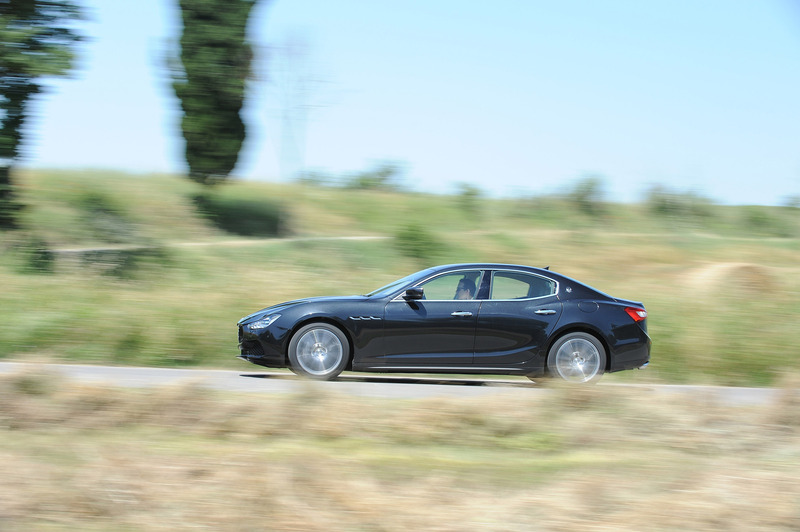 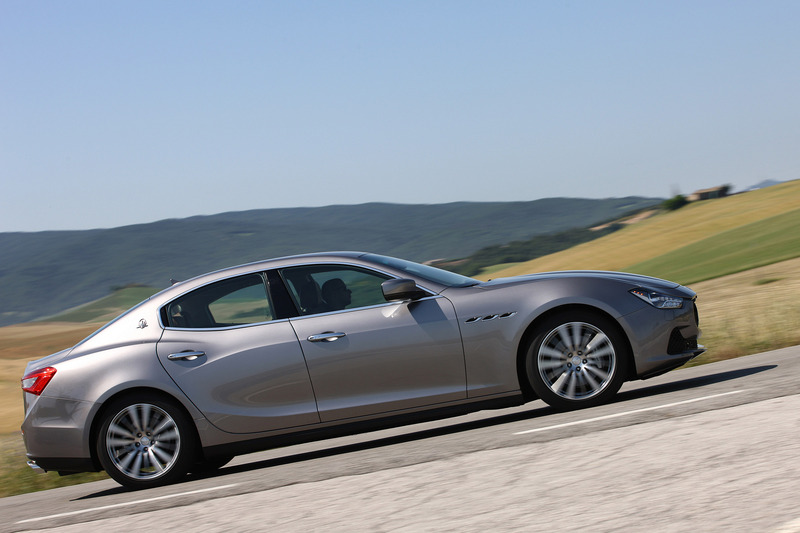 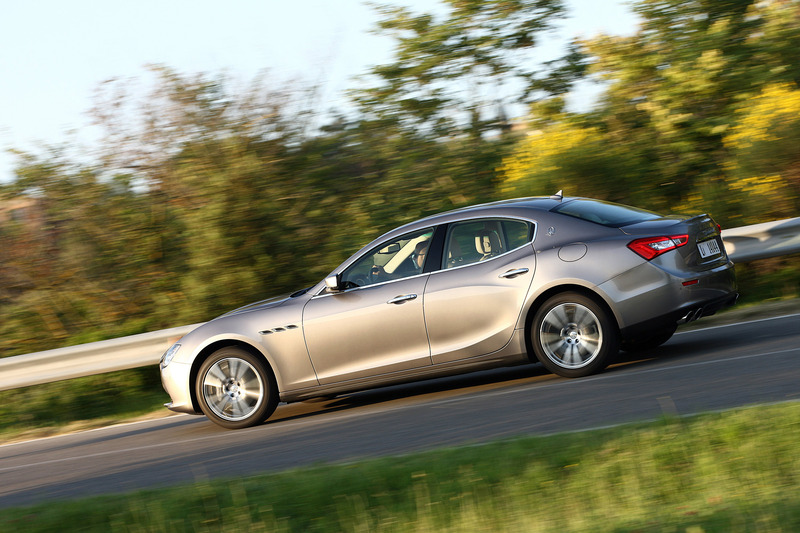 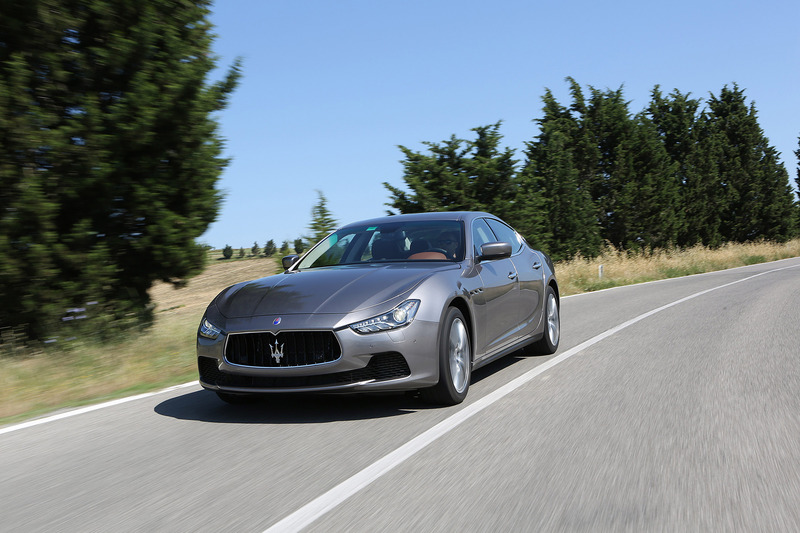 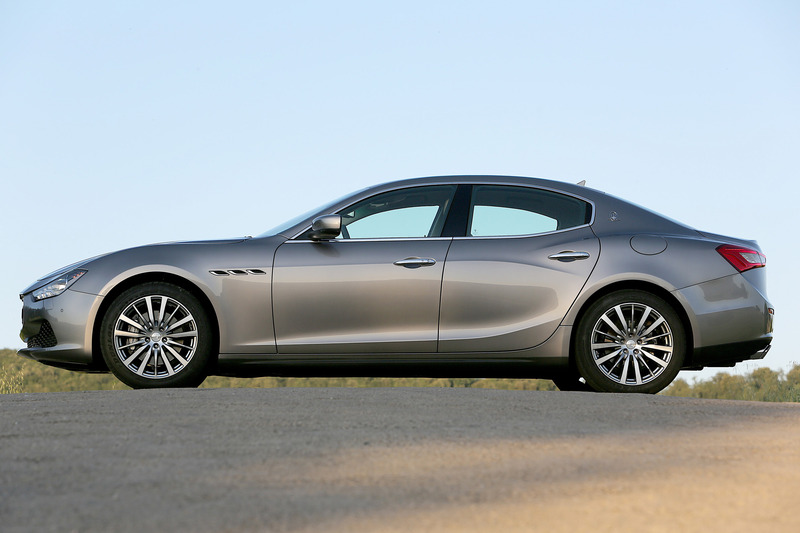 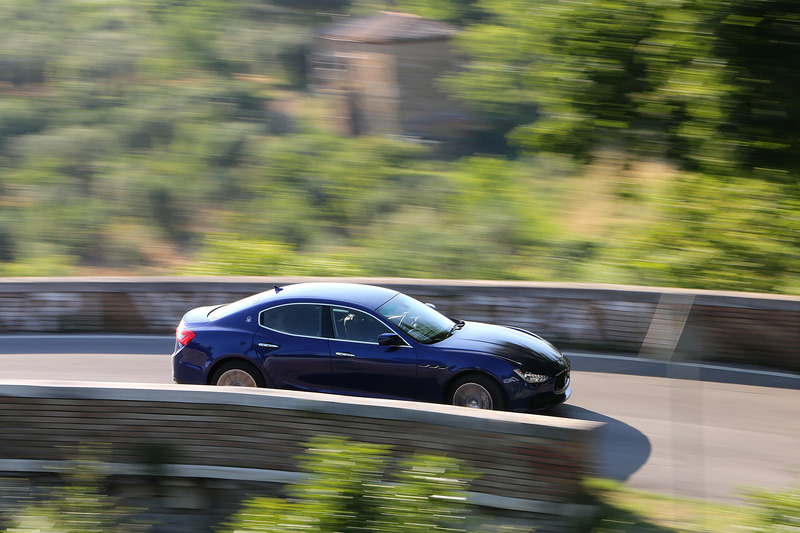 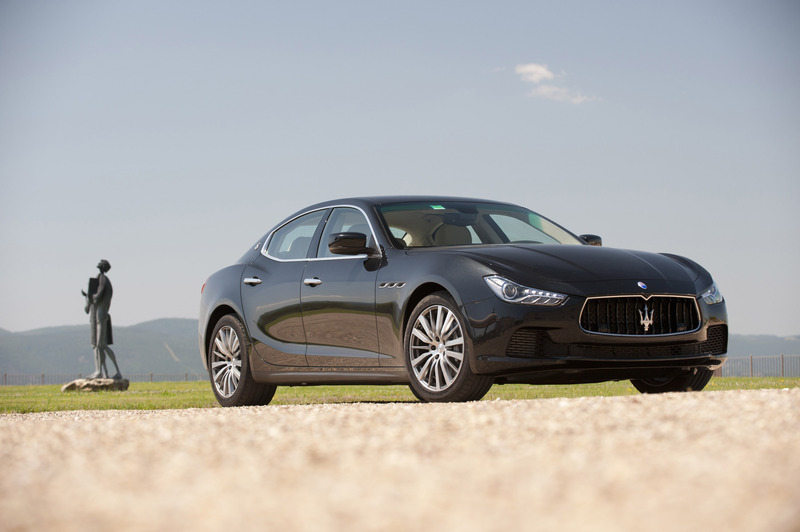 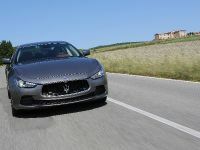 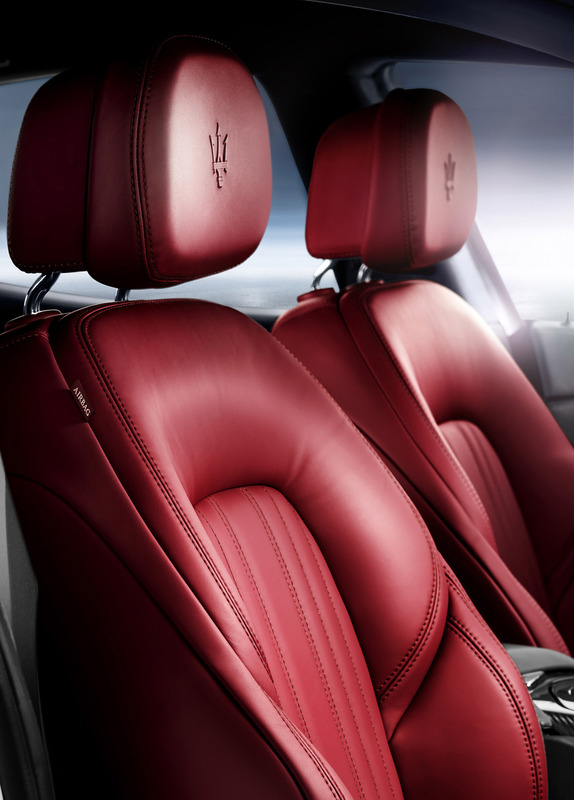 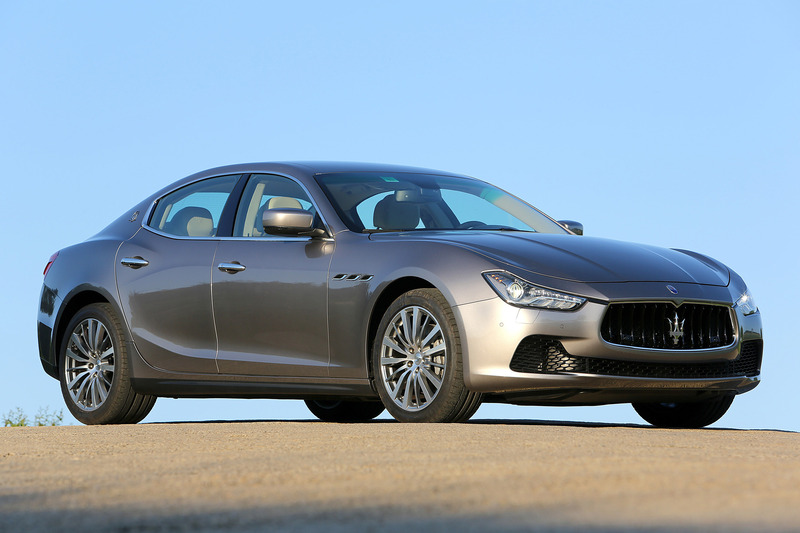 Maserati has released full details about the 2014 Ghibli. 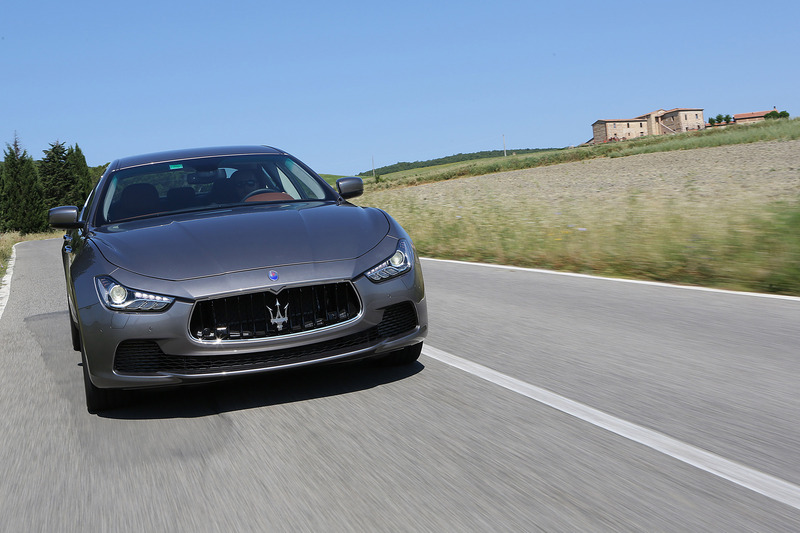 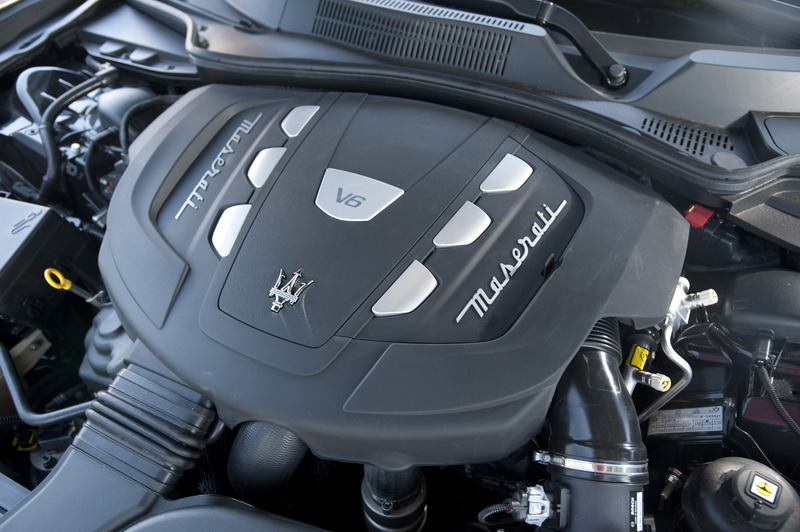 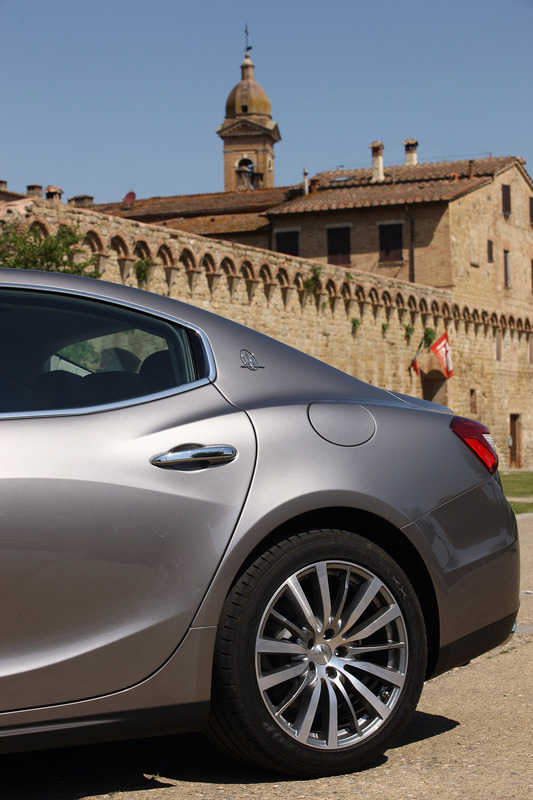 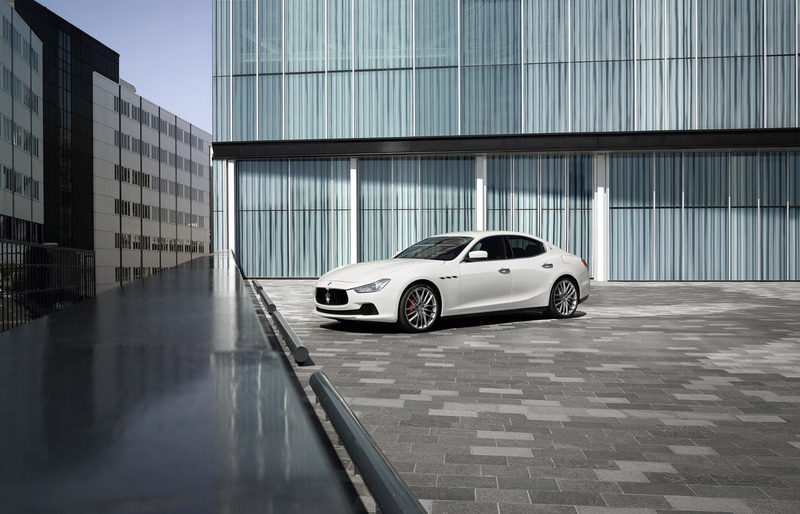 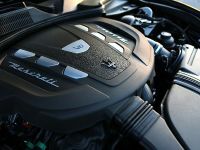 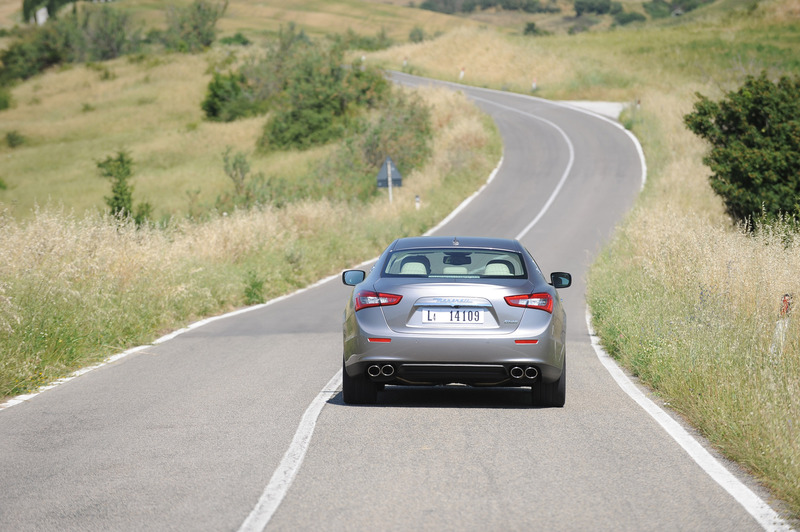 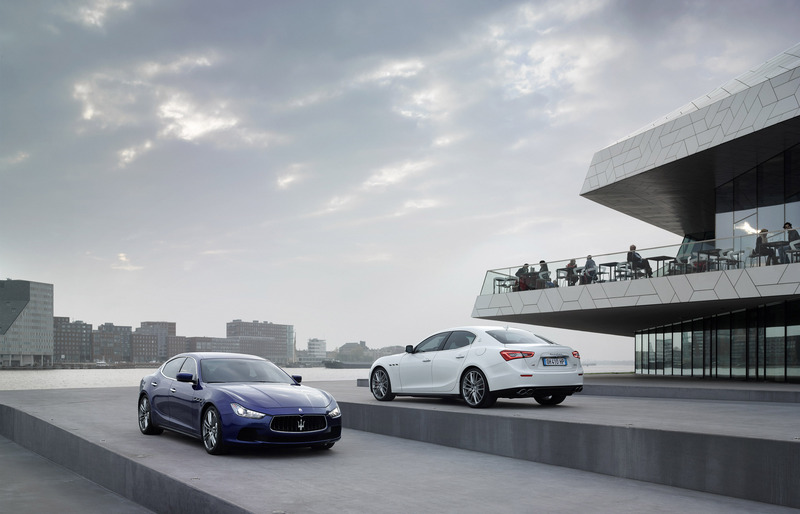 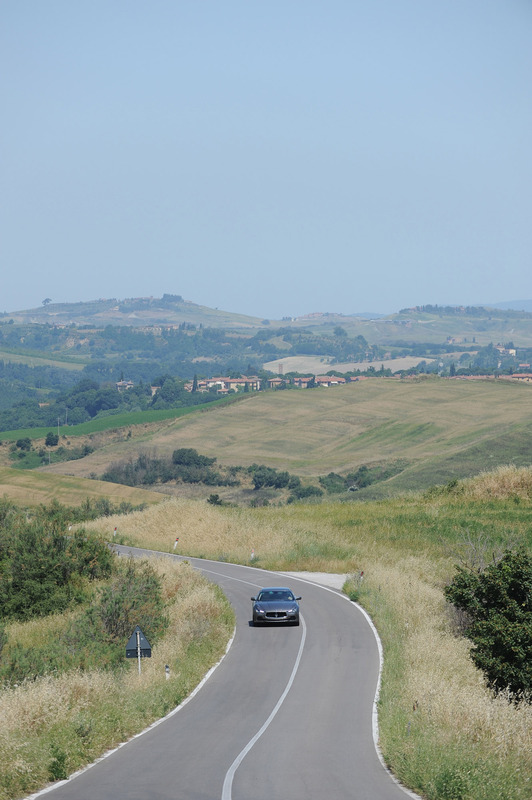 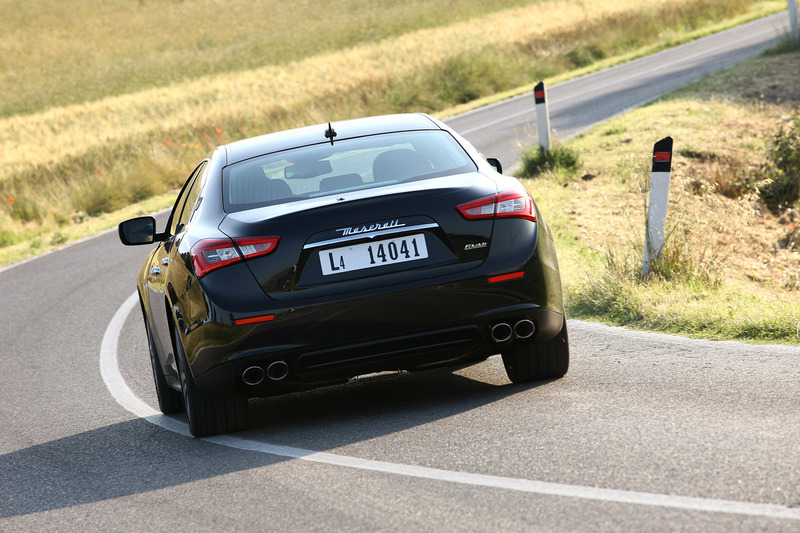 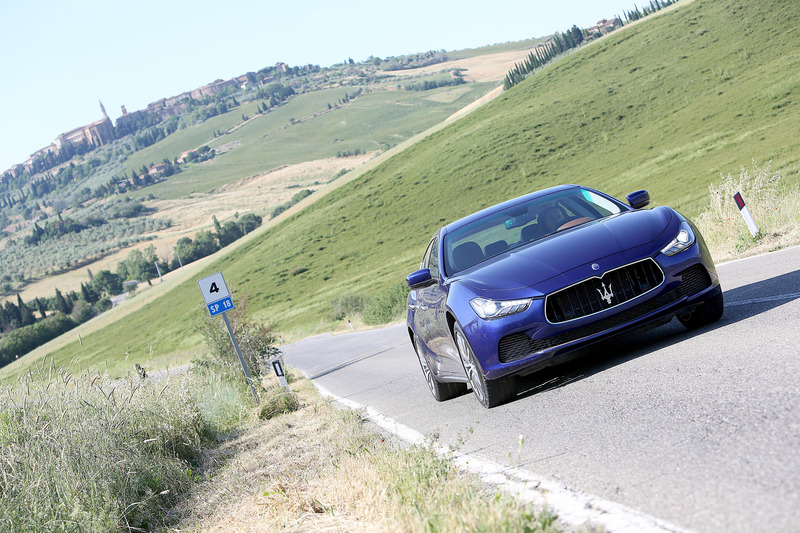 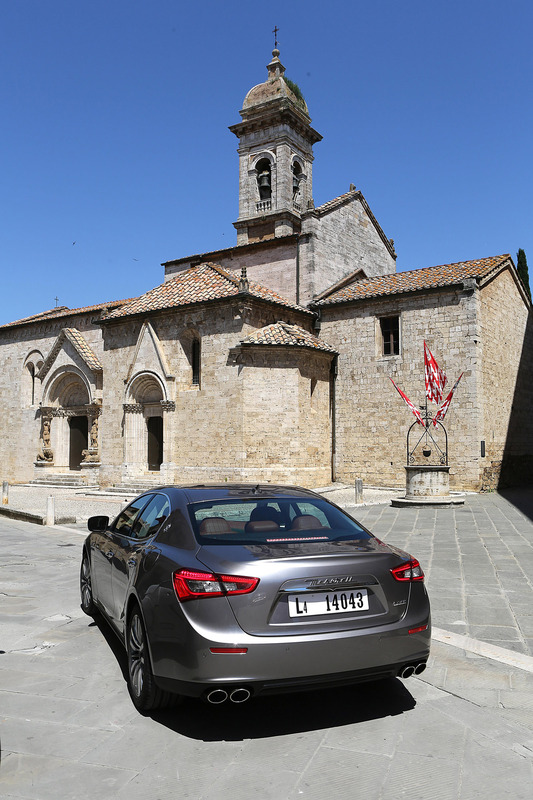 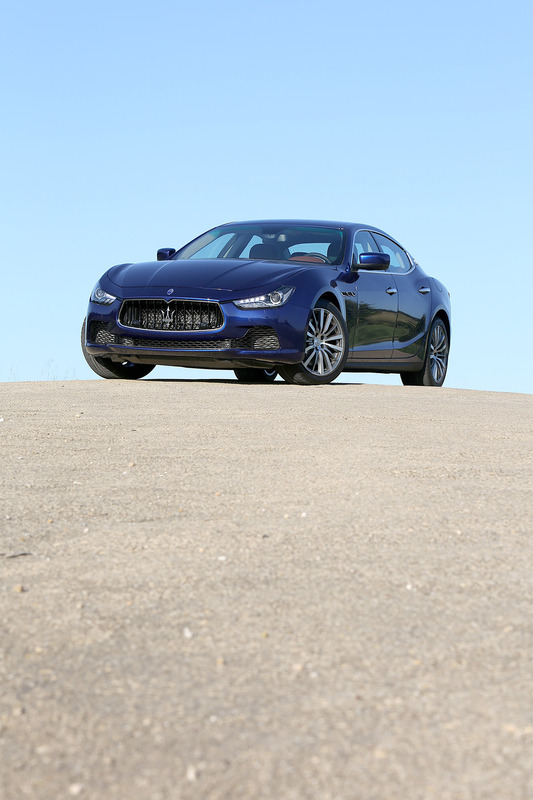 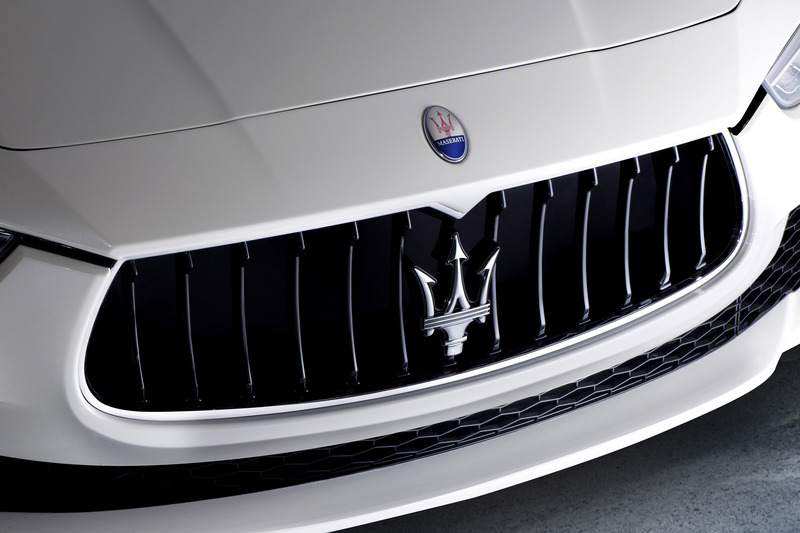 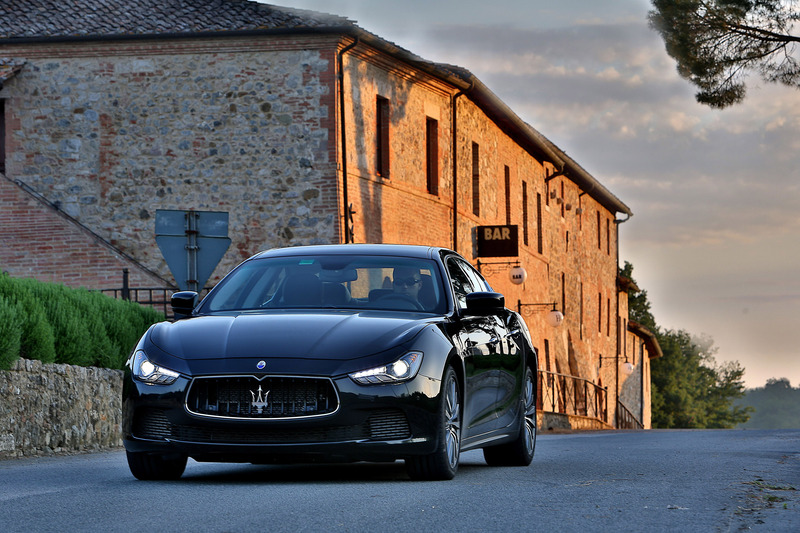 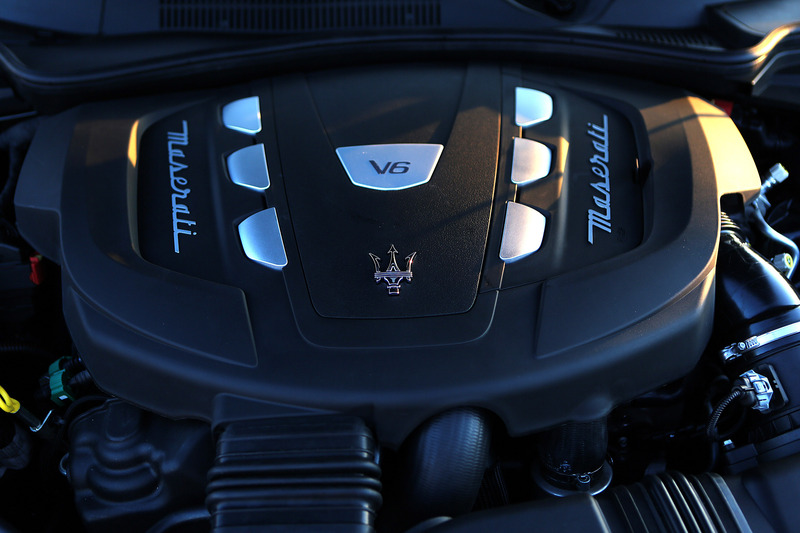 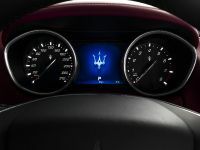 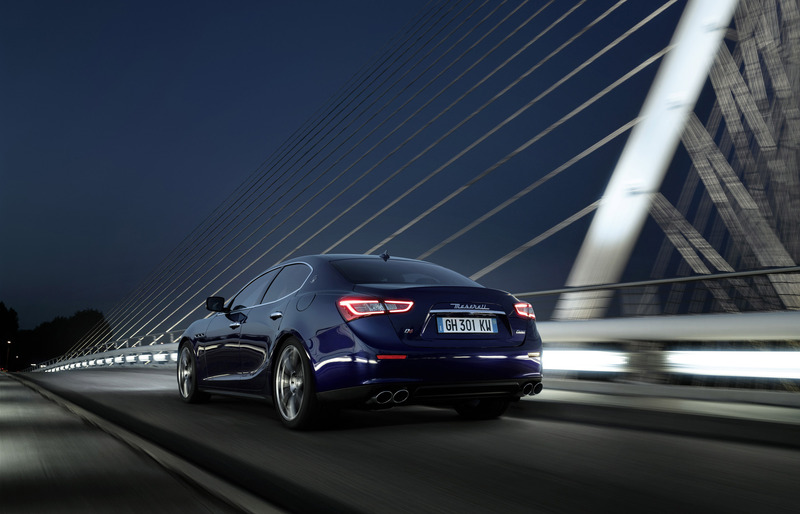 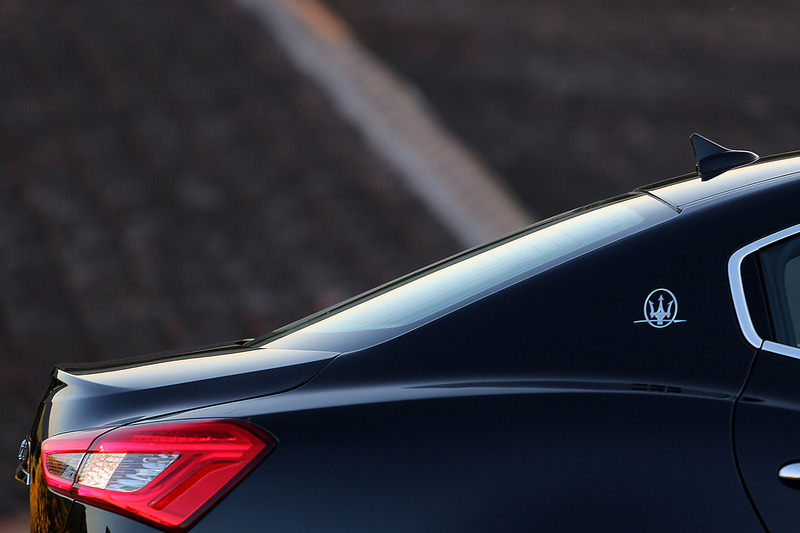 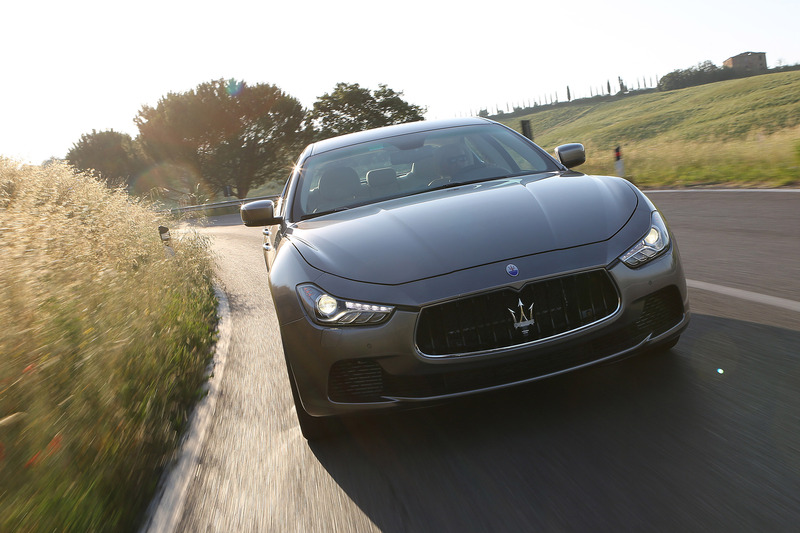 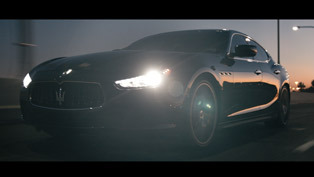 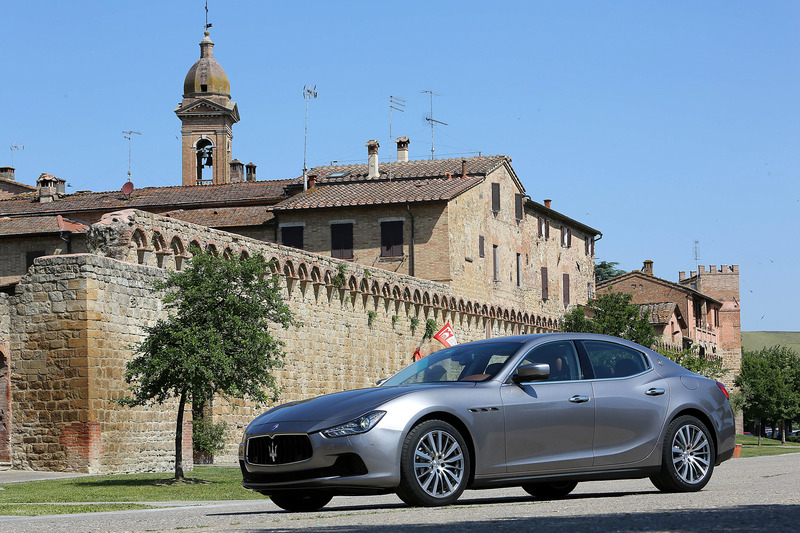 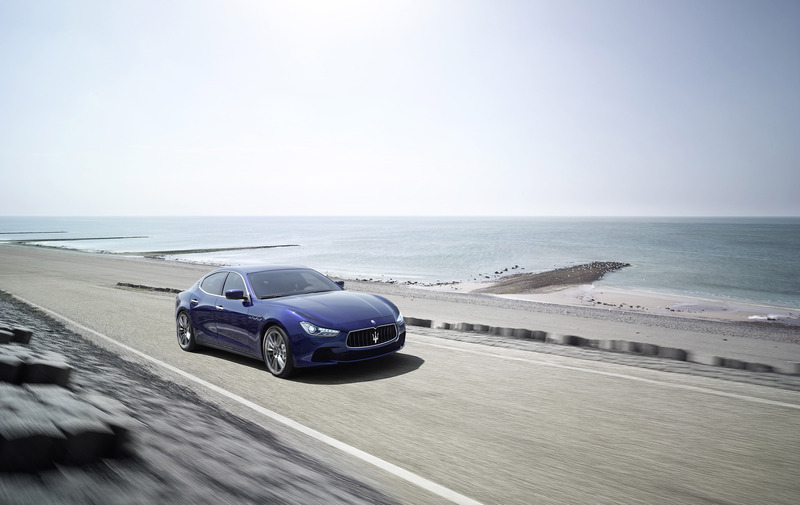 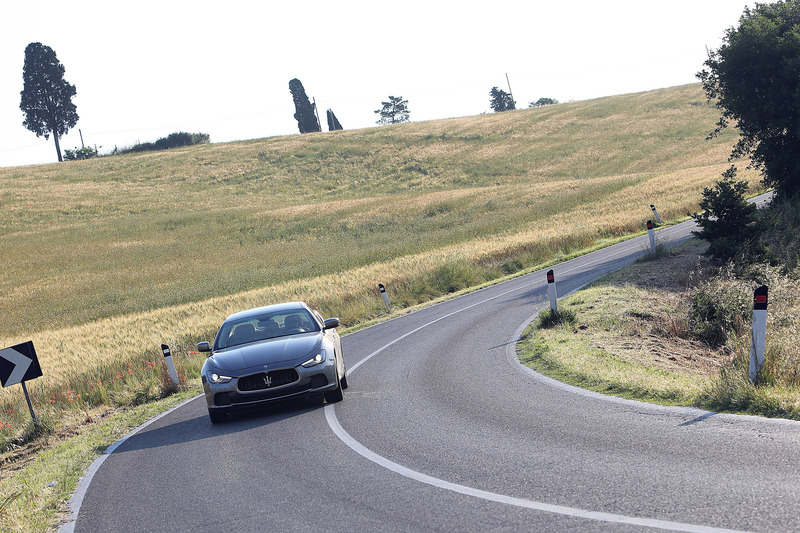 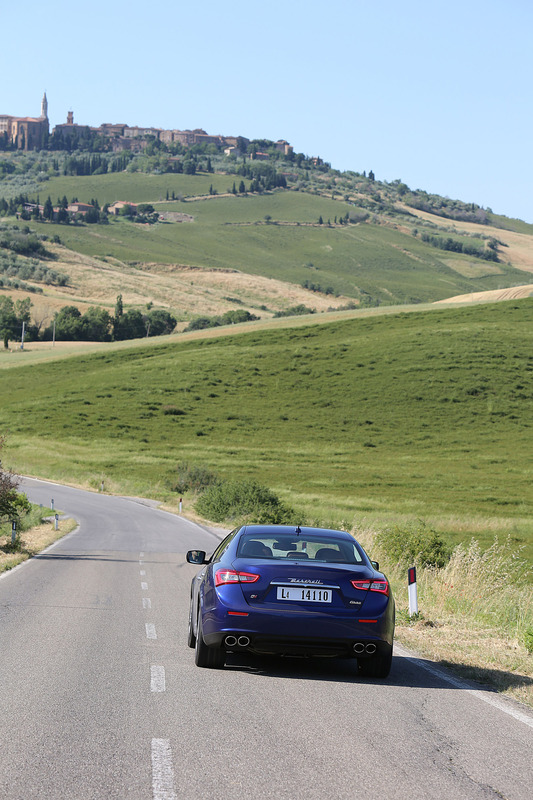 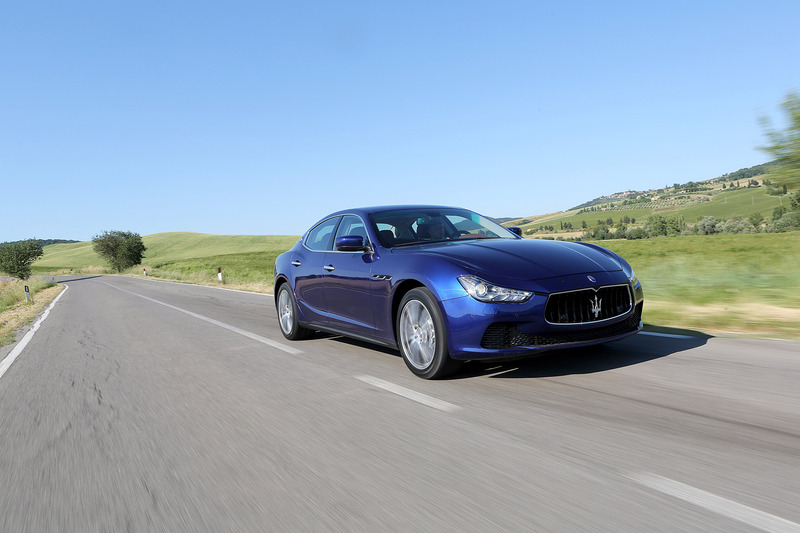 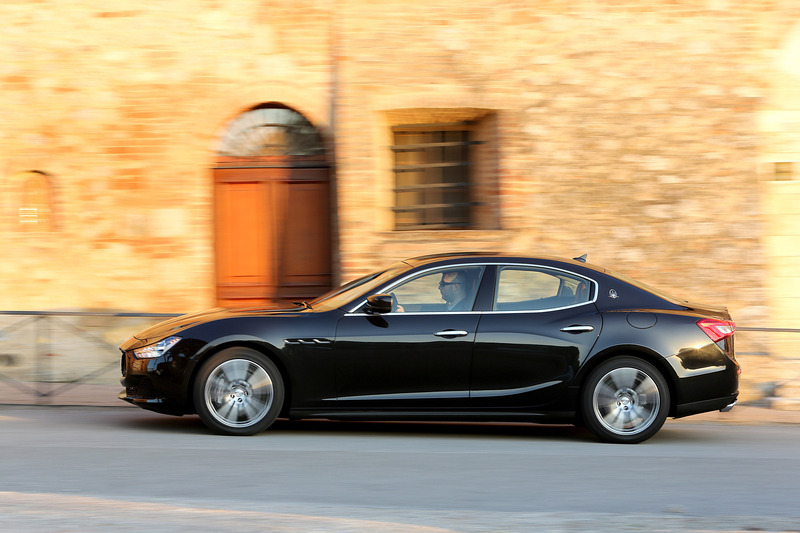 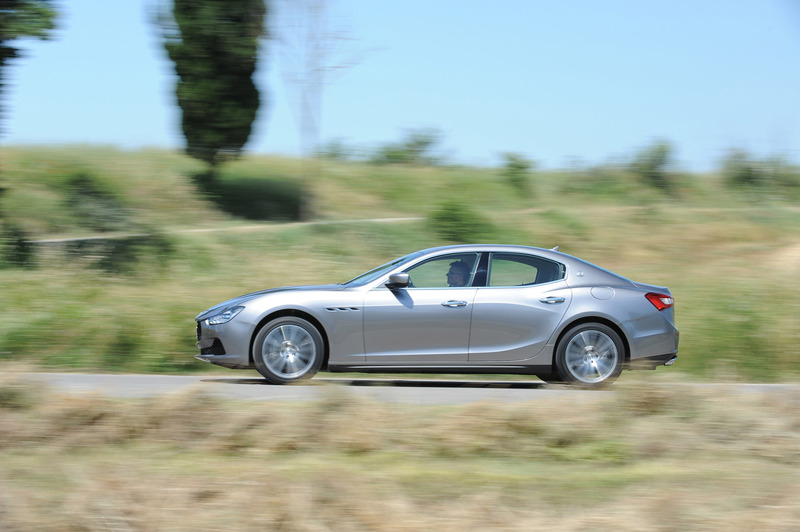 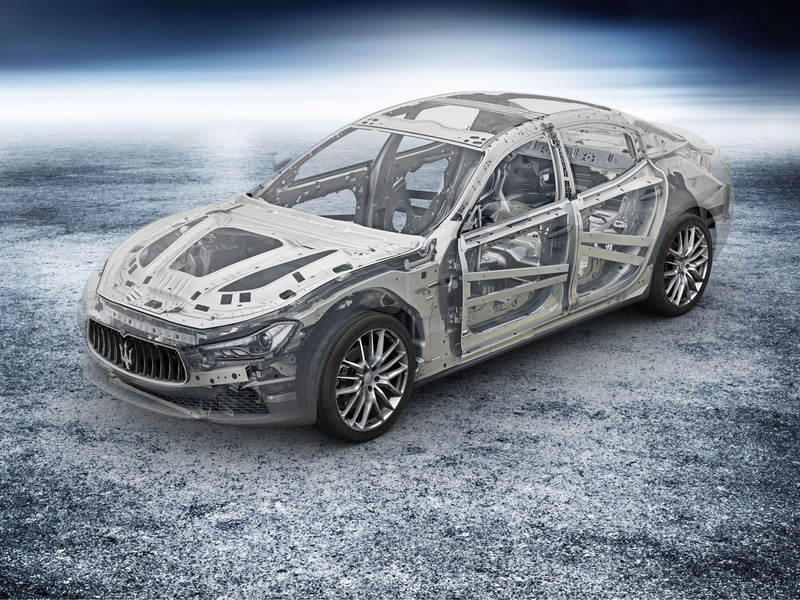 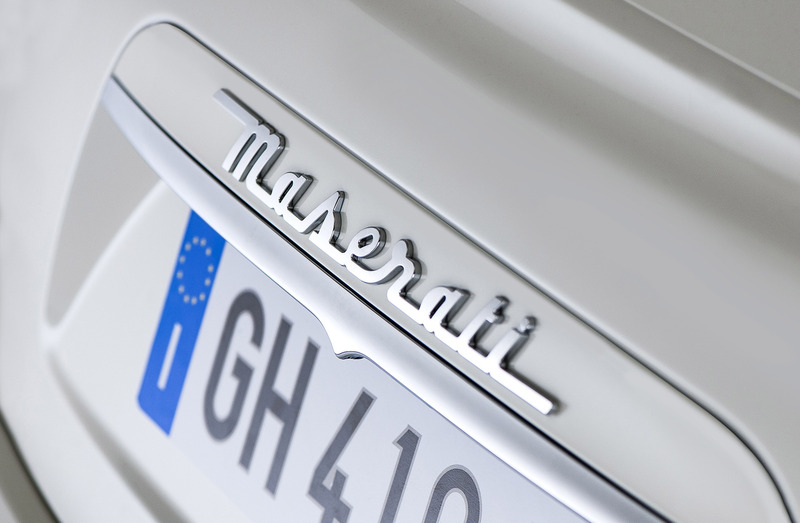 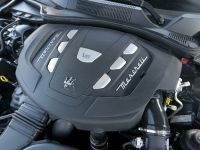 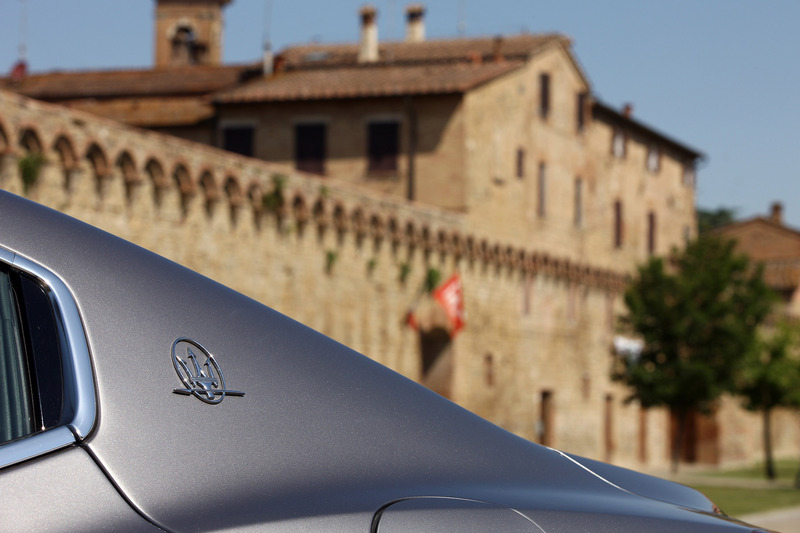 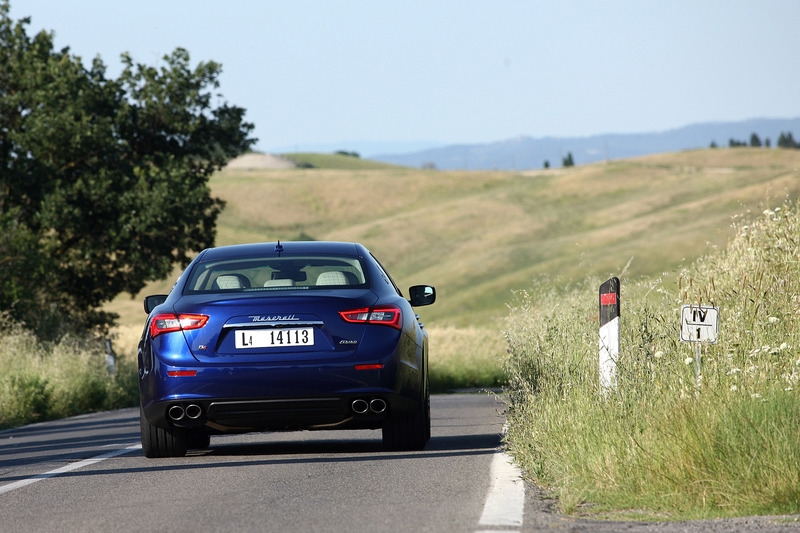 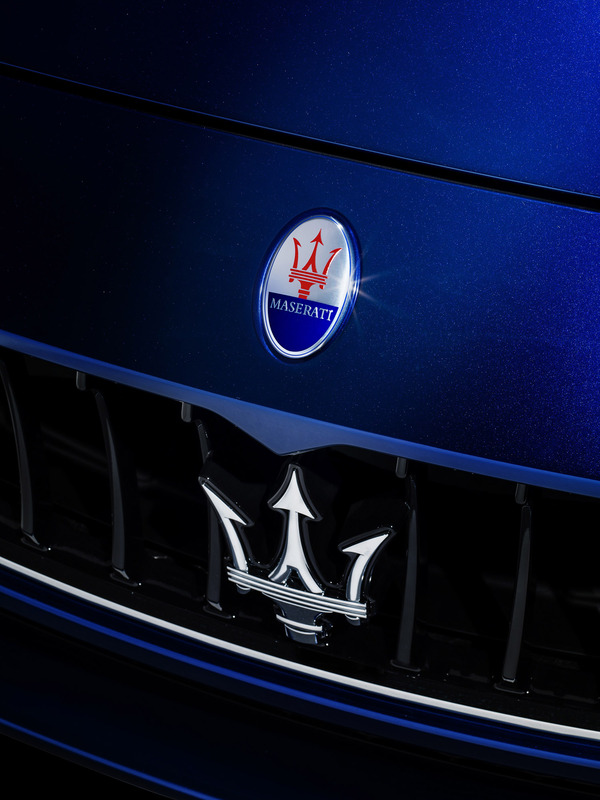 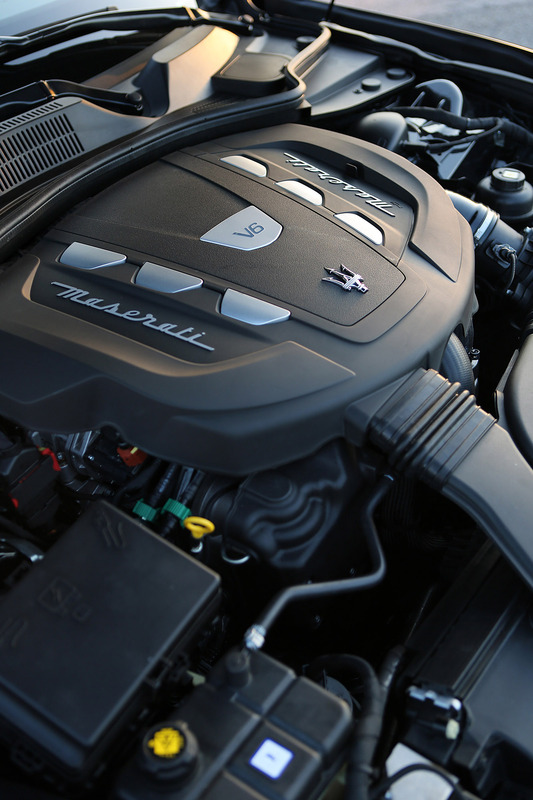 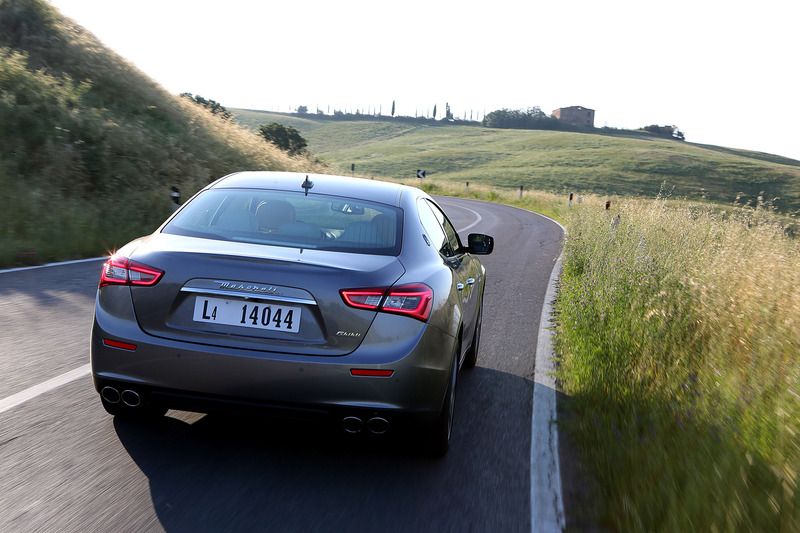 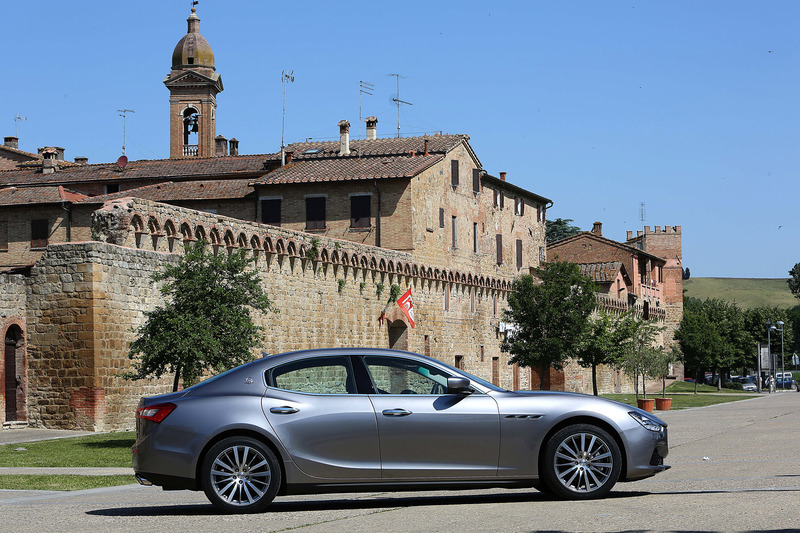 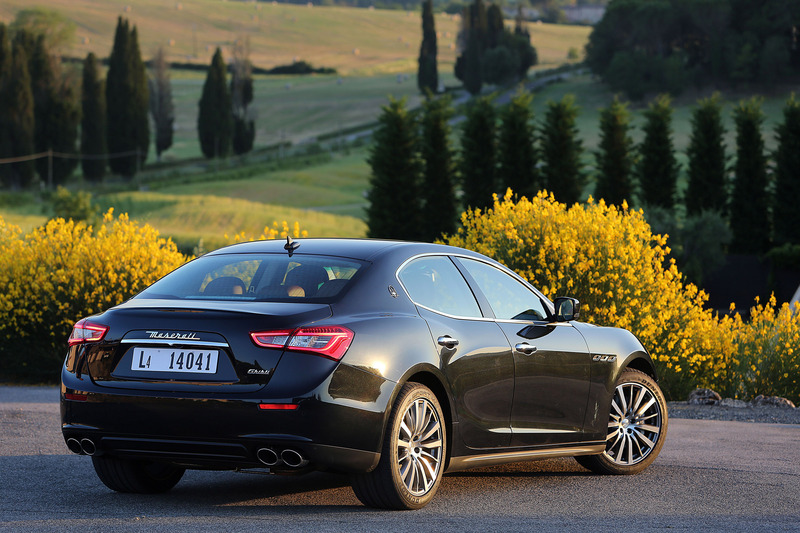 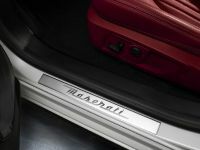 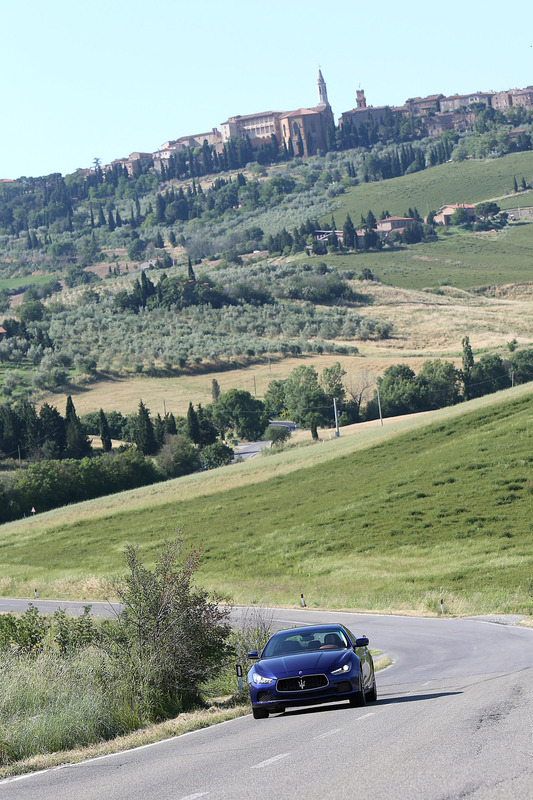 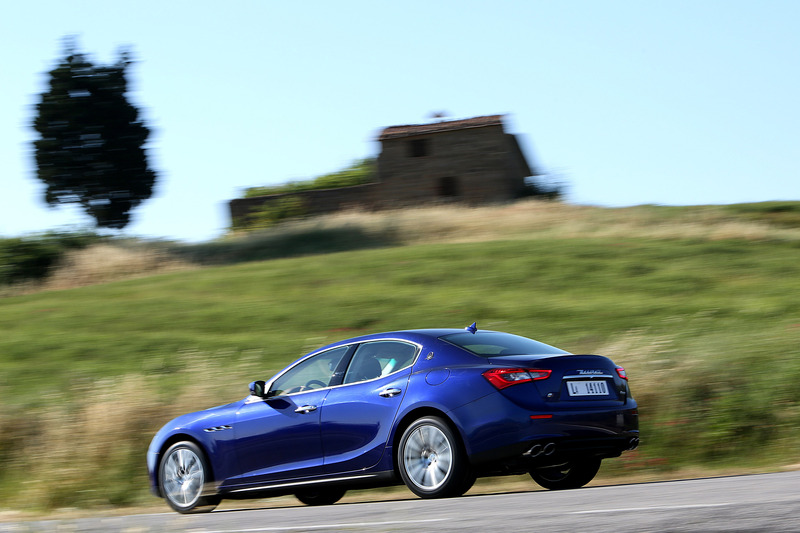 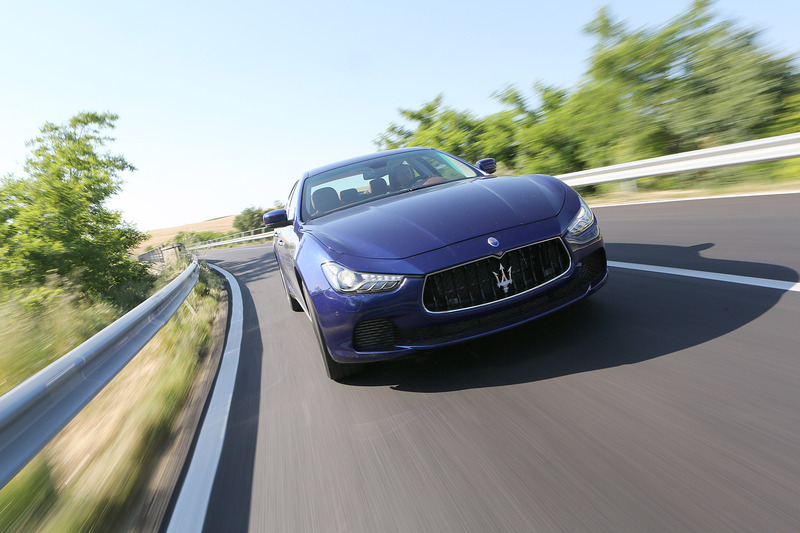 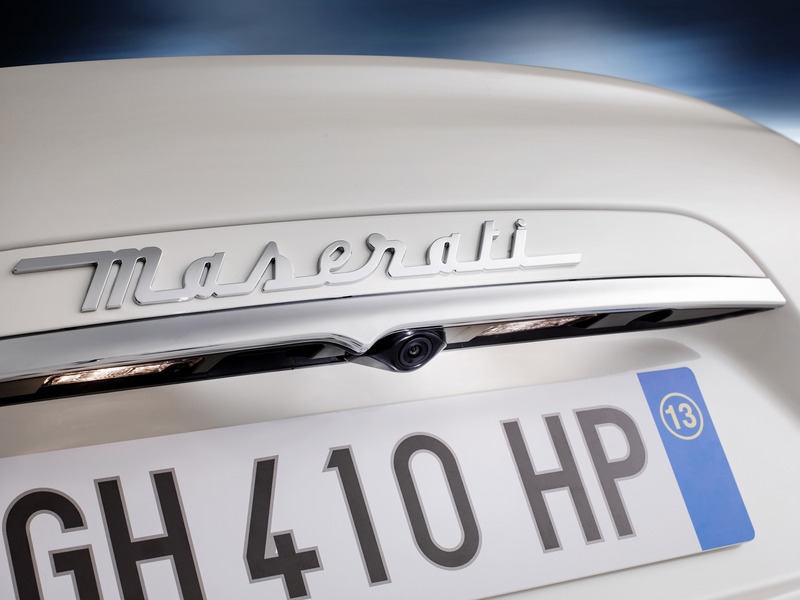 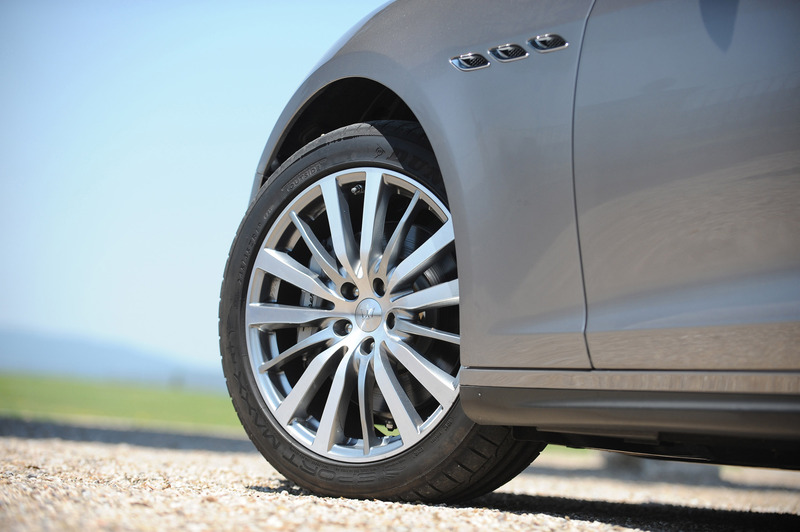 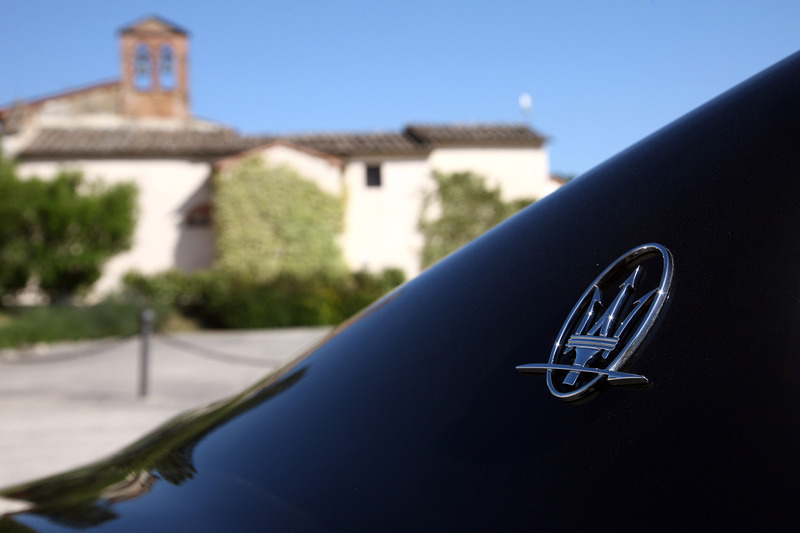 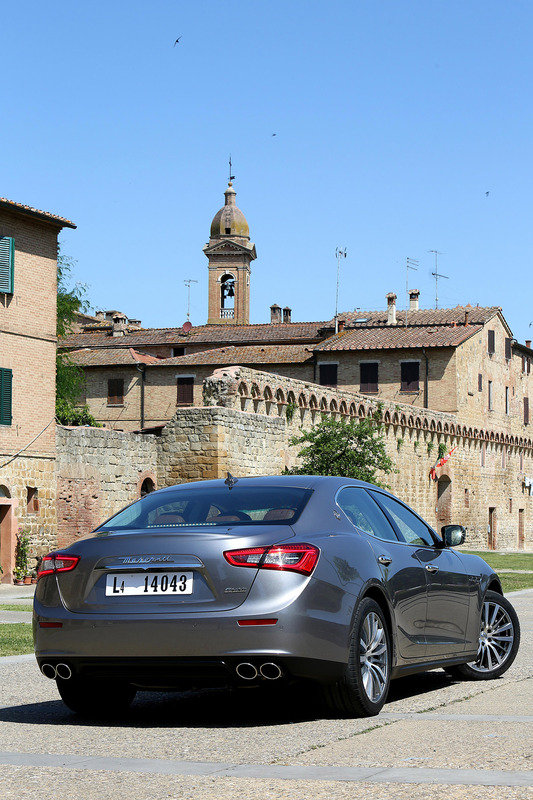 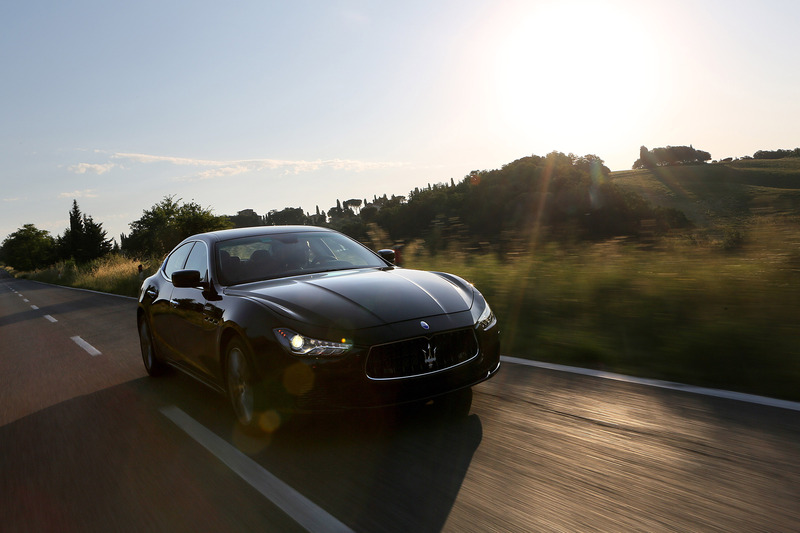 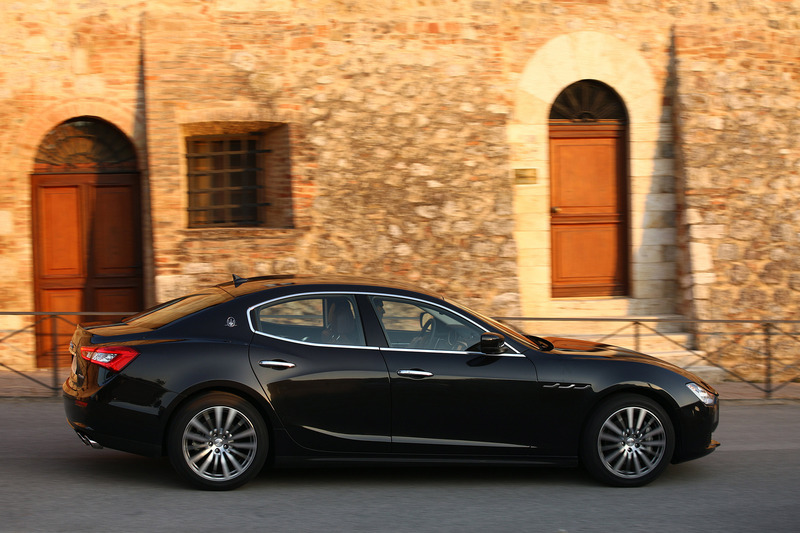 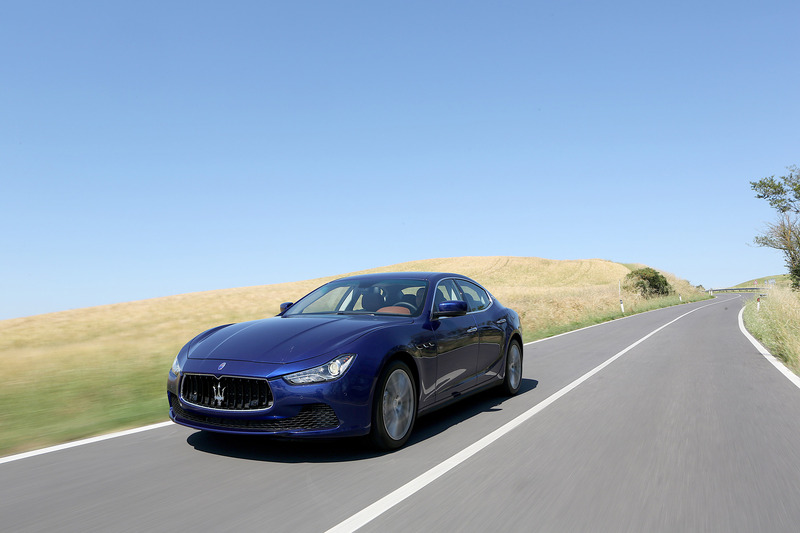 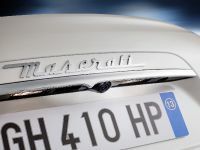 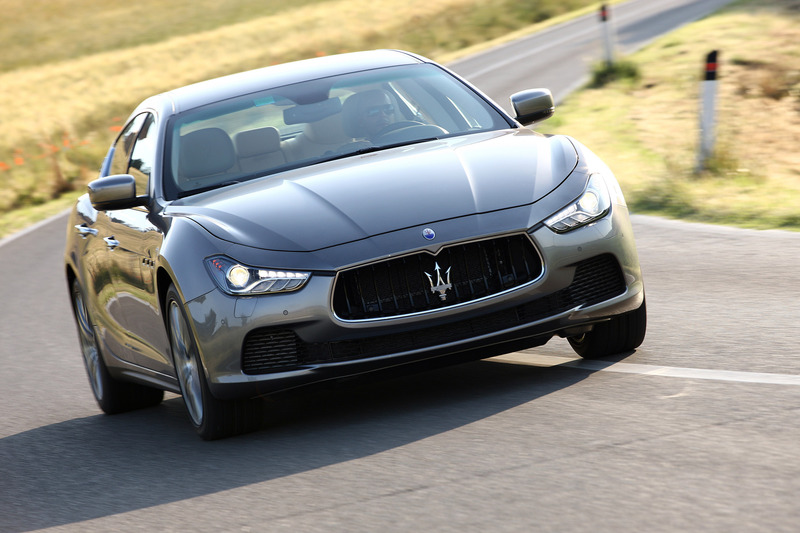 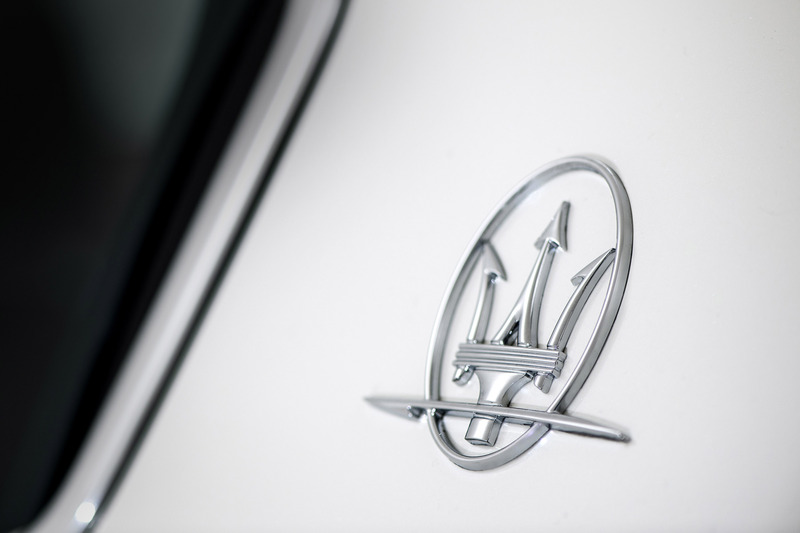 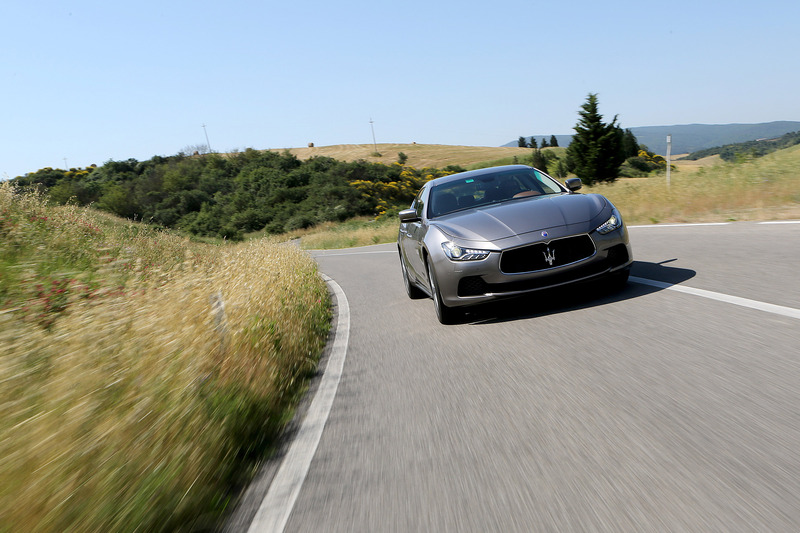 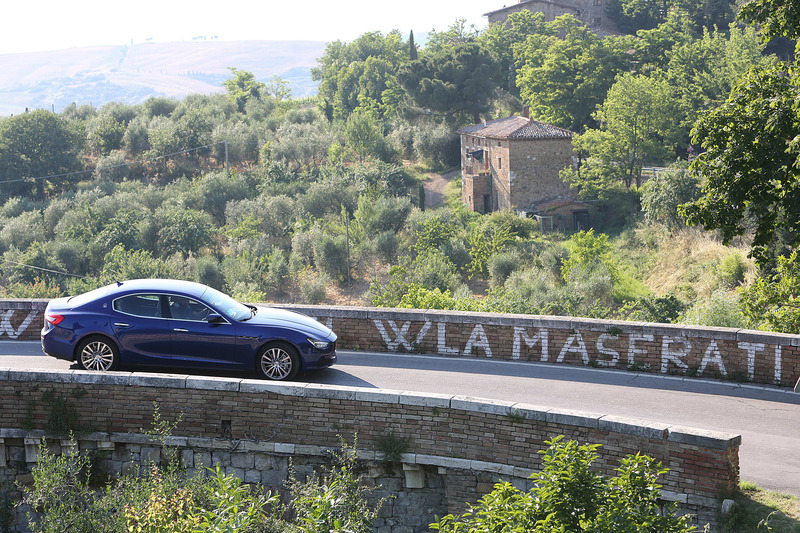 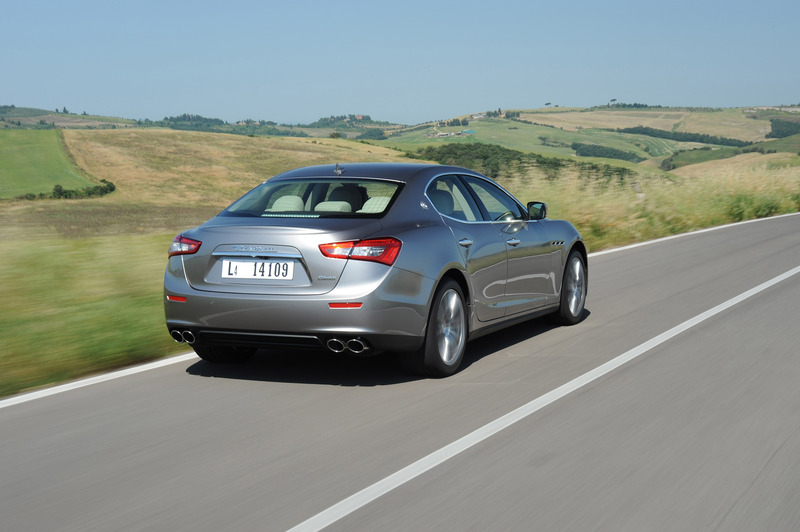 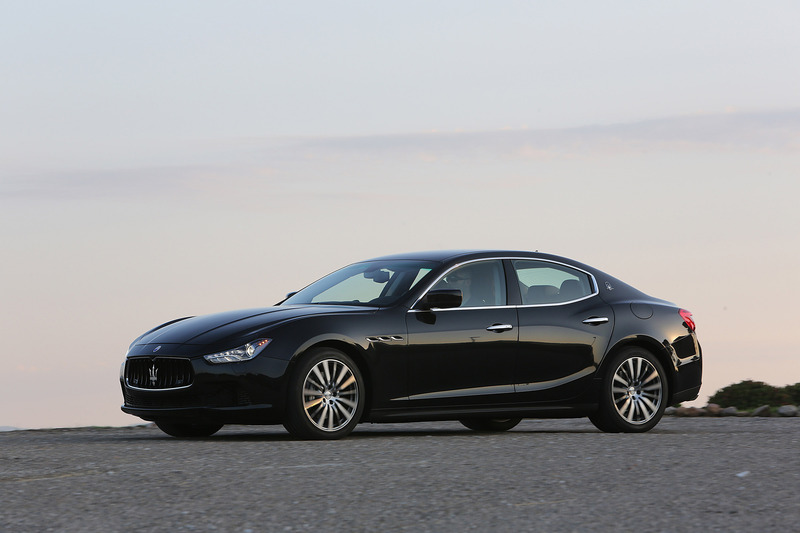 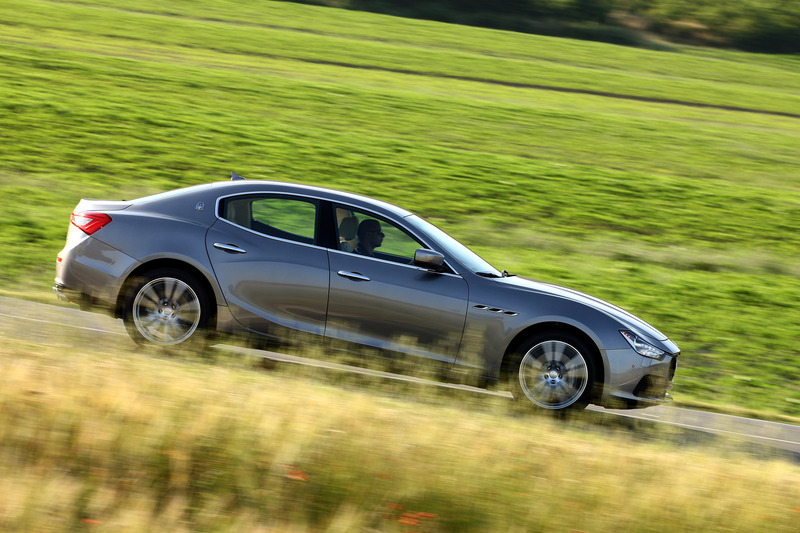 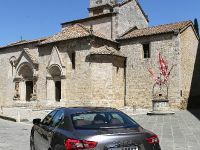 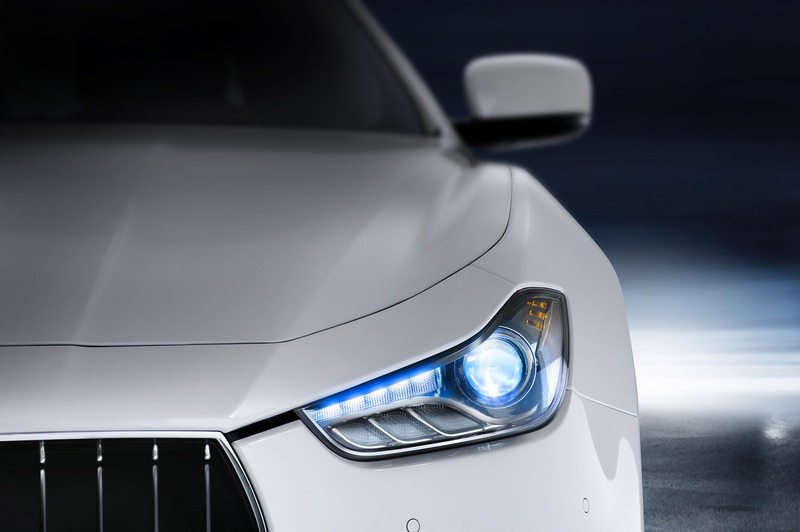 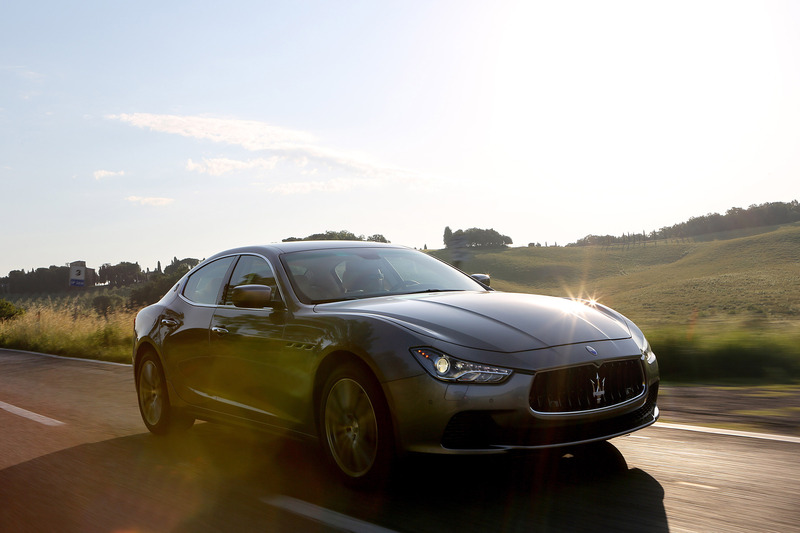 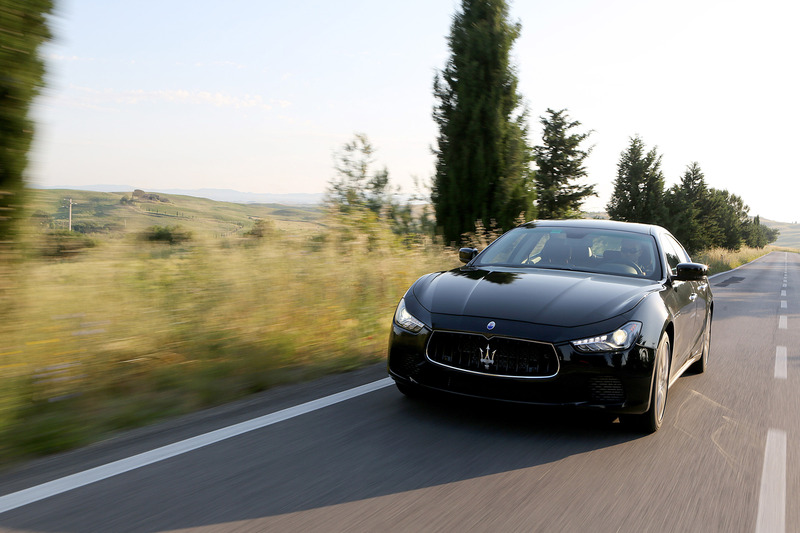 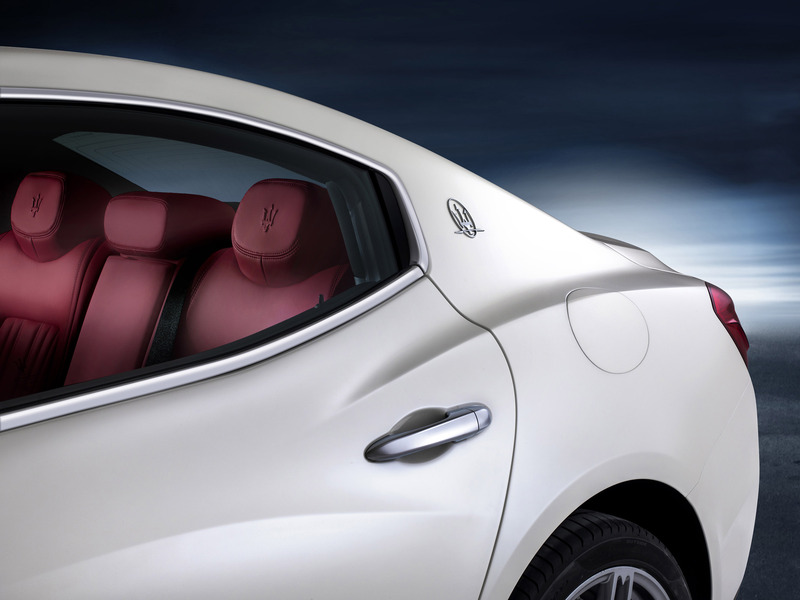 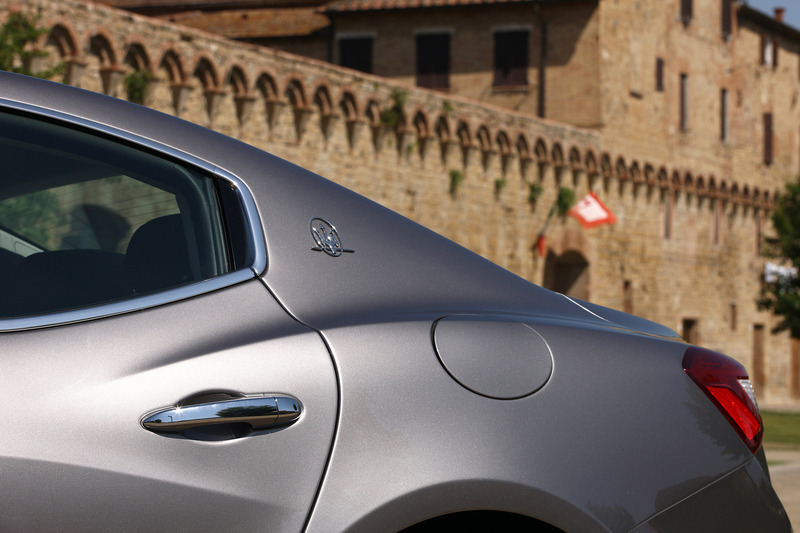 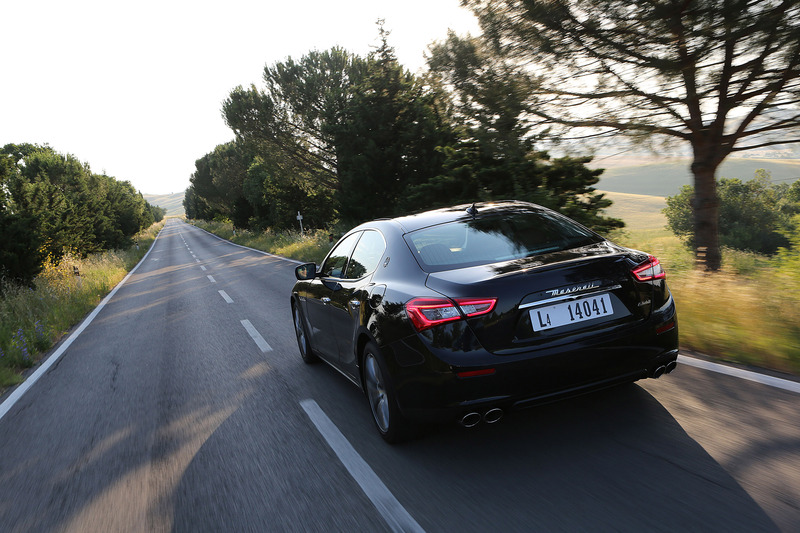 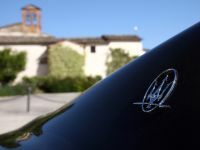 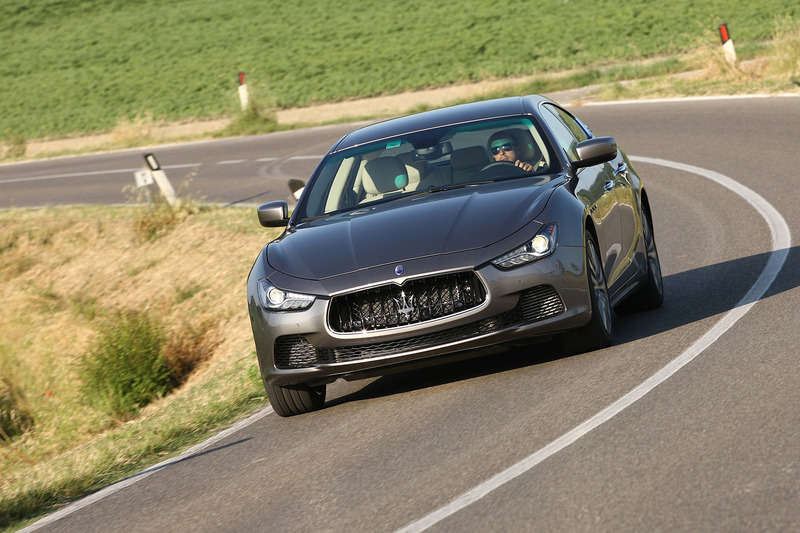 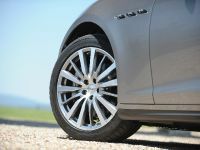 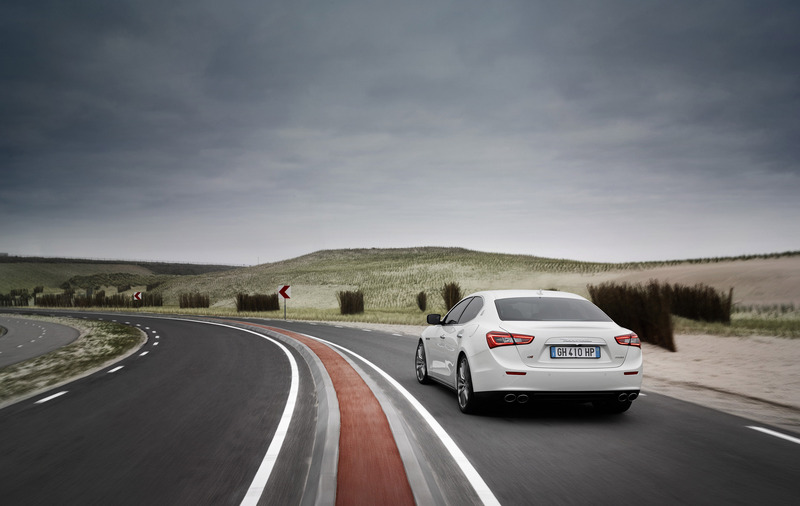 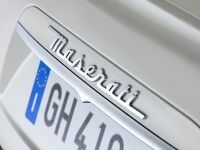 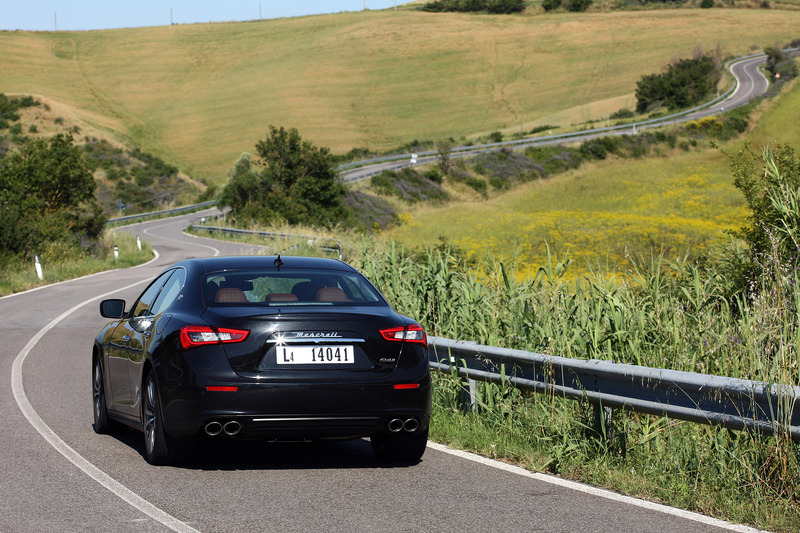 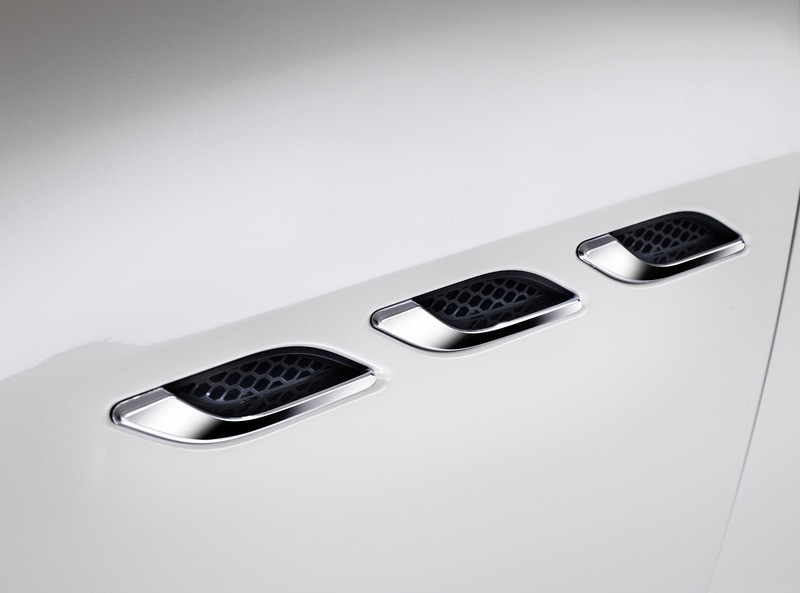 It marks marks a turning point in Maserati's history. 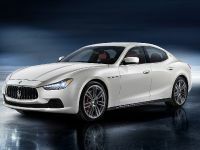 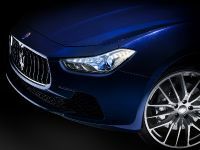 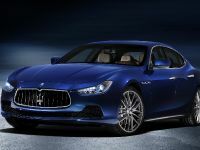 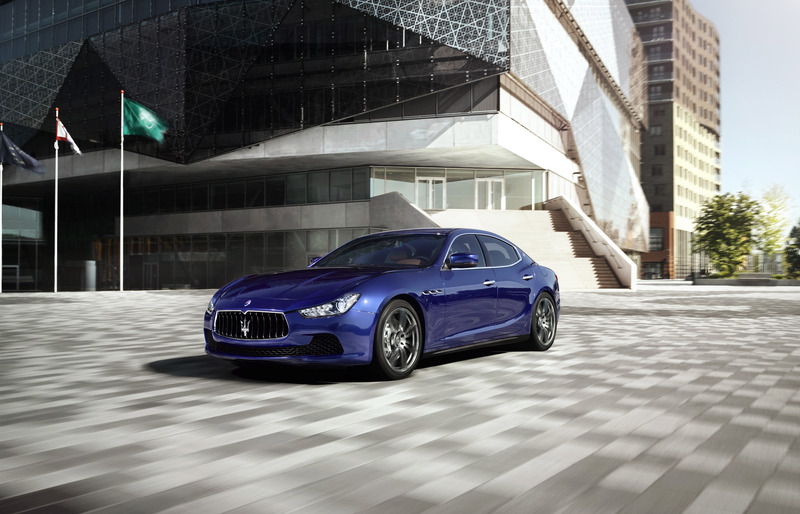 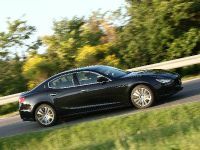 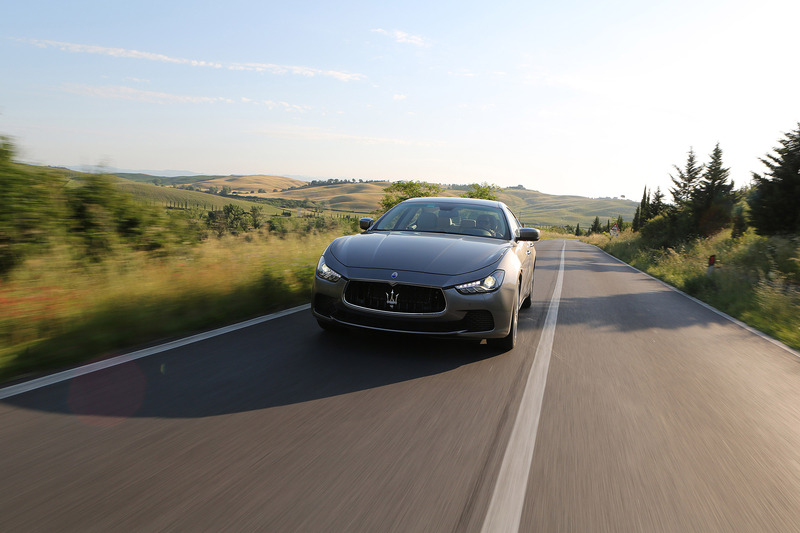 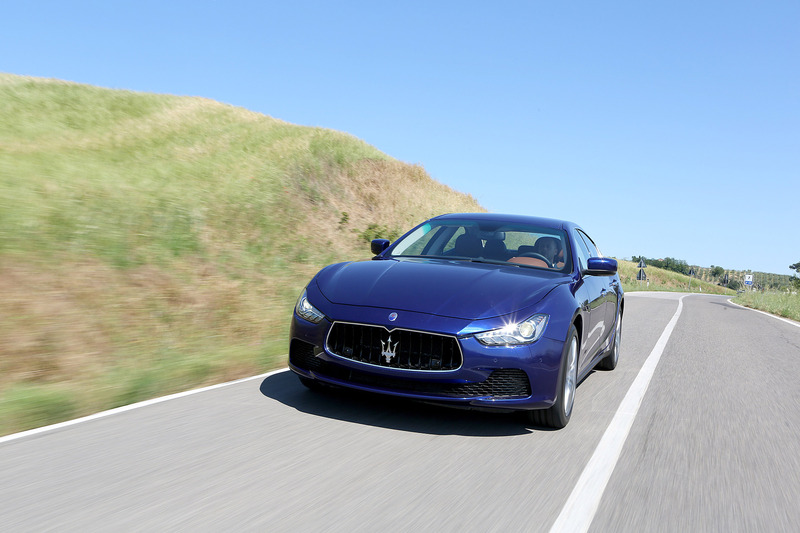 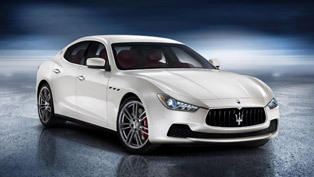 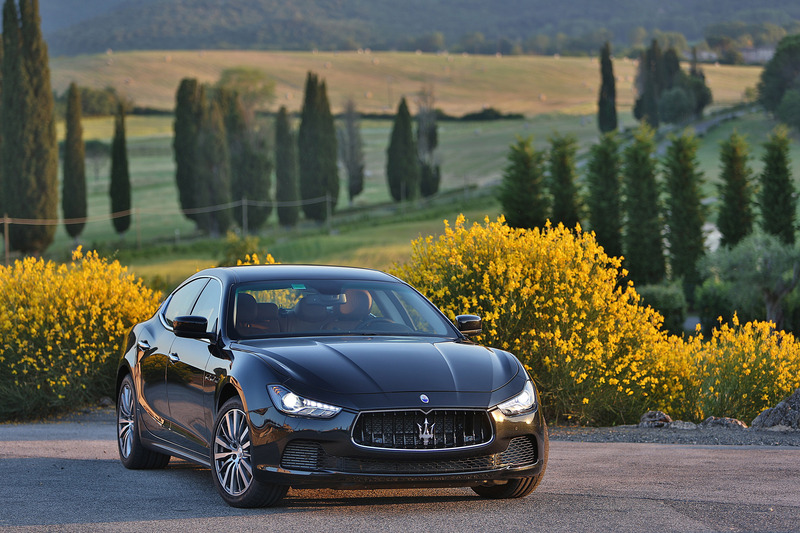 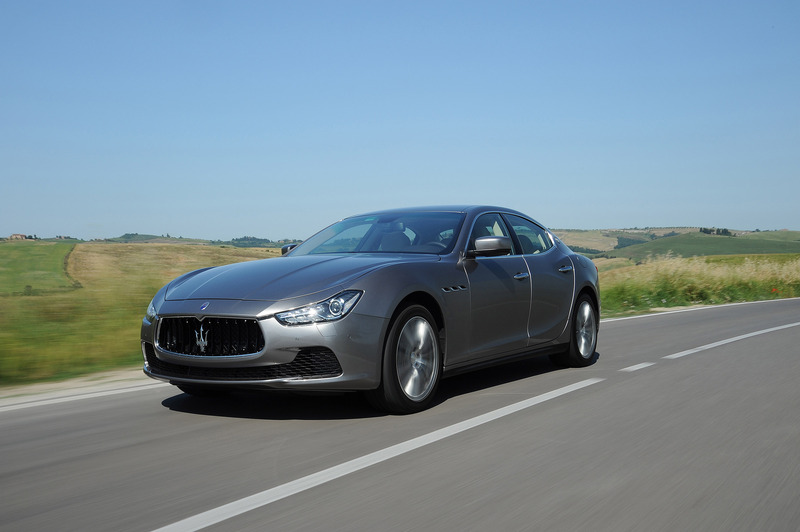 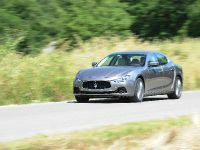 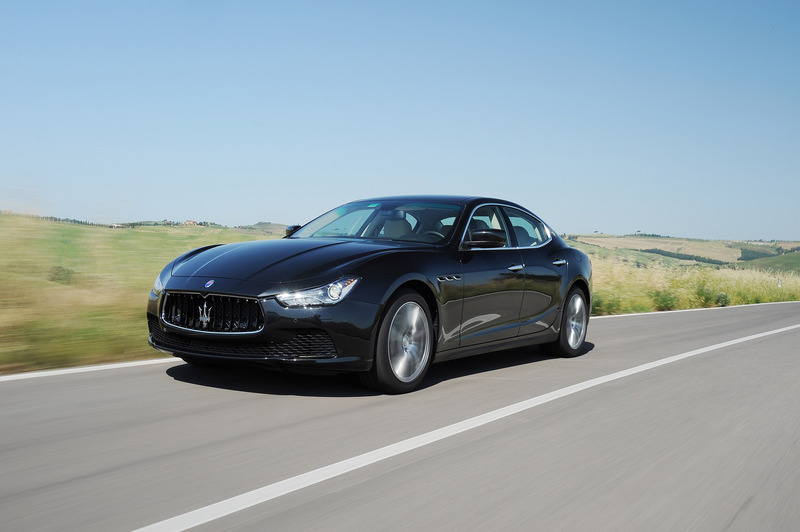 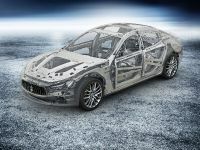 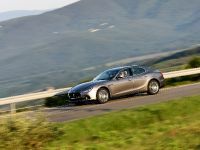 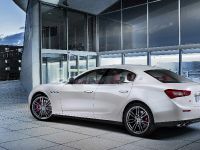 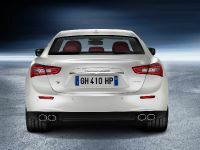 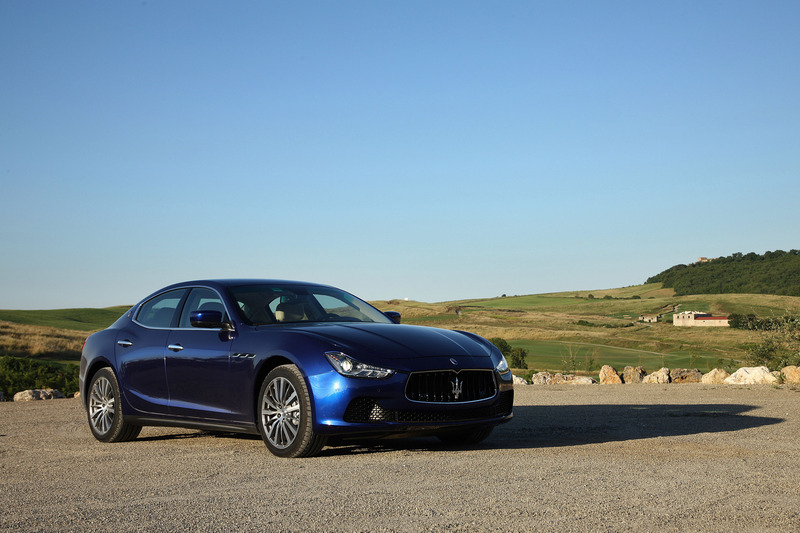 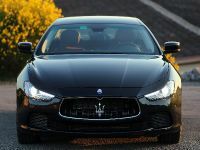 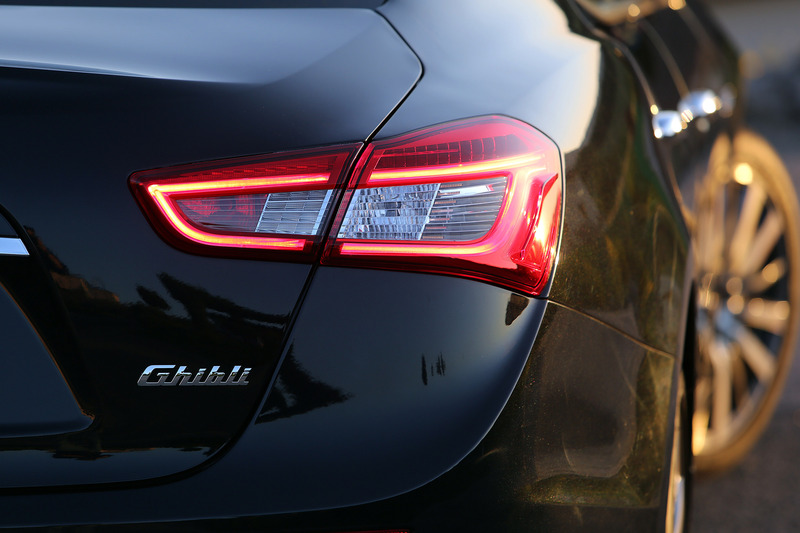 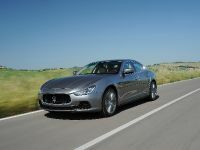 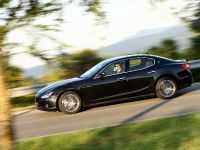 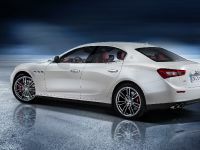 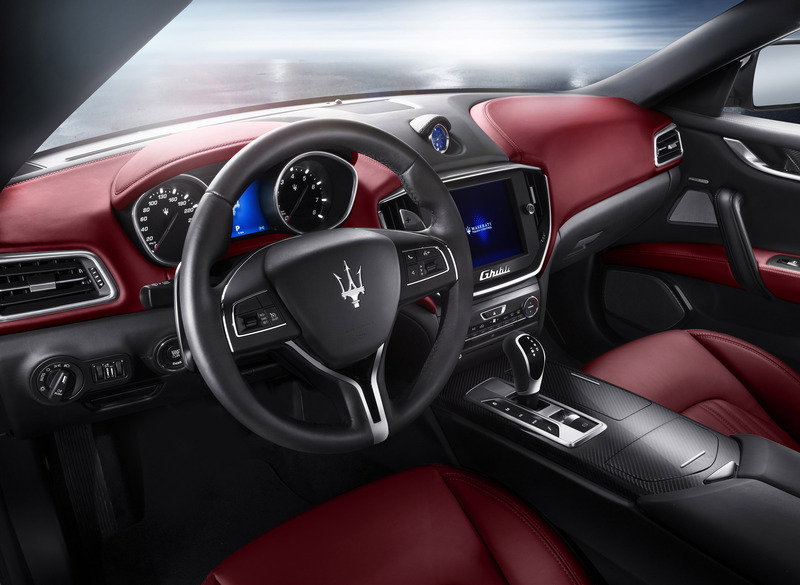 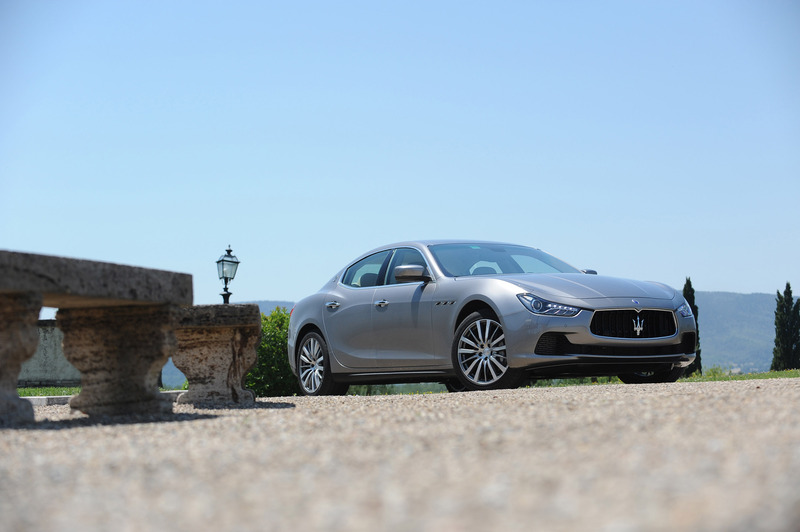 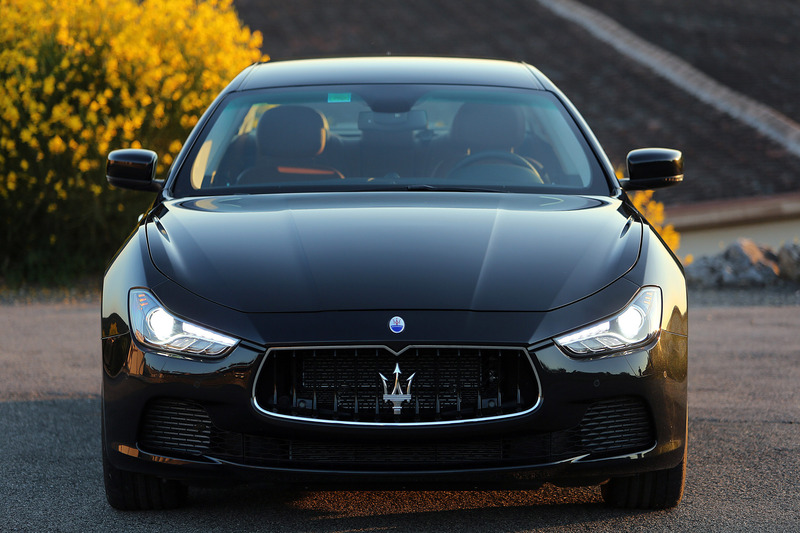 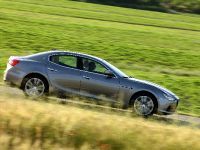 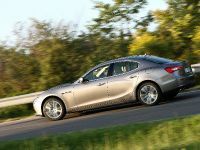 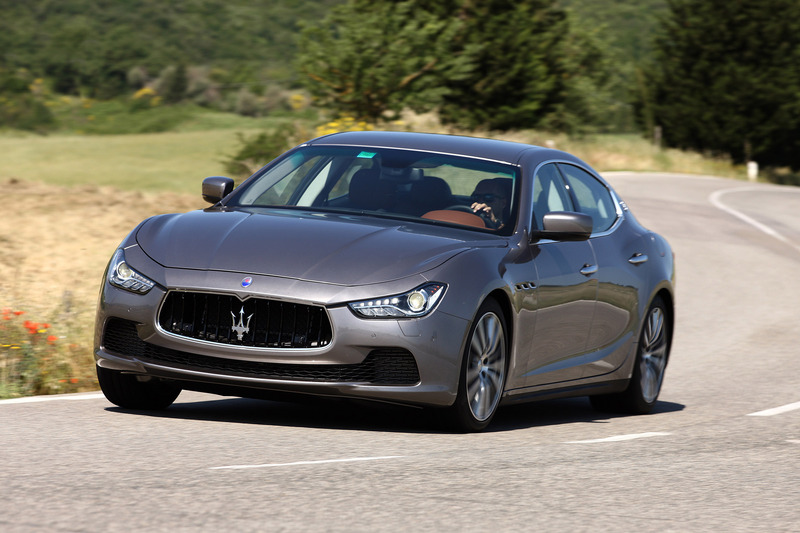 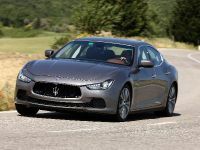 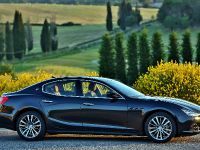 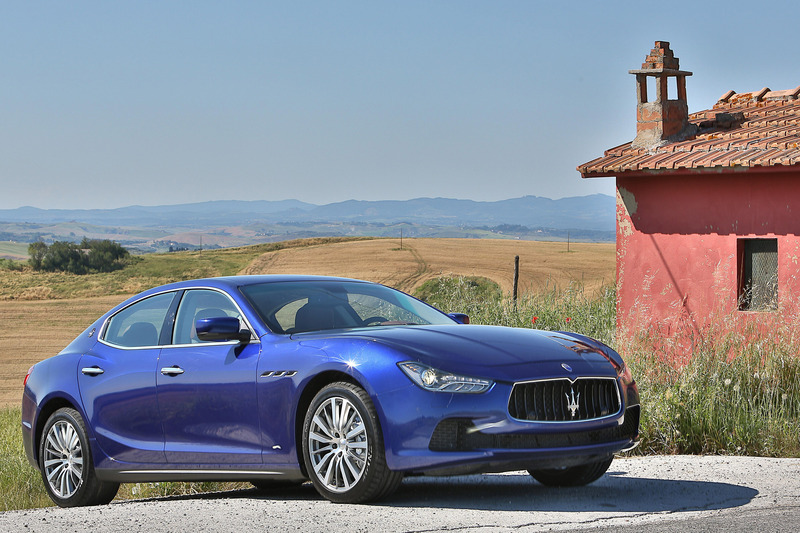 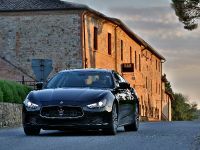 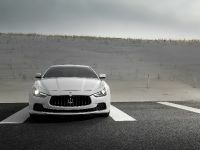 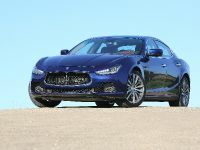 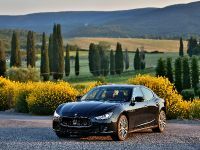 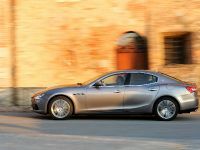 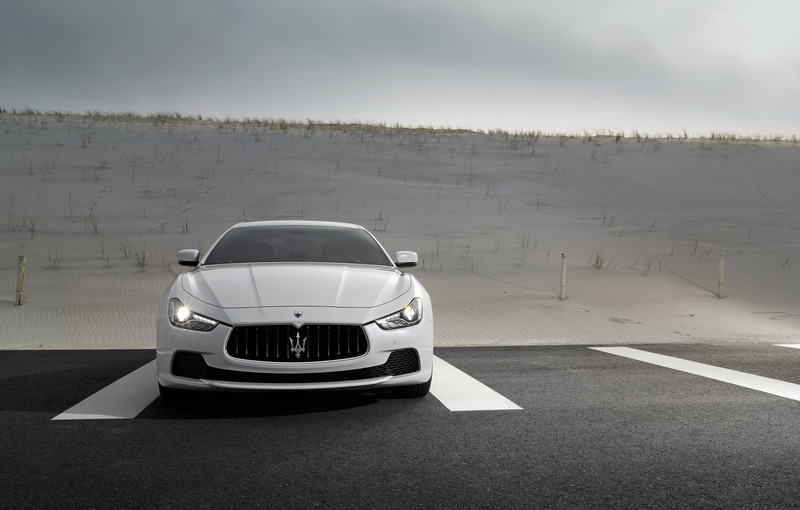 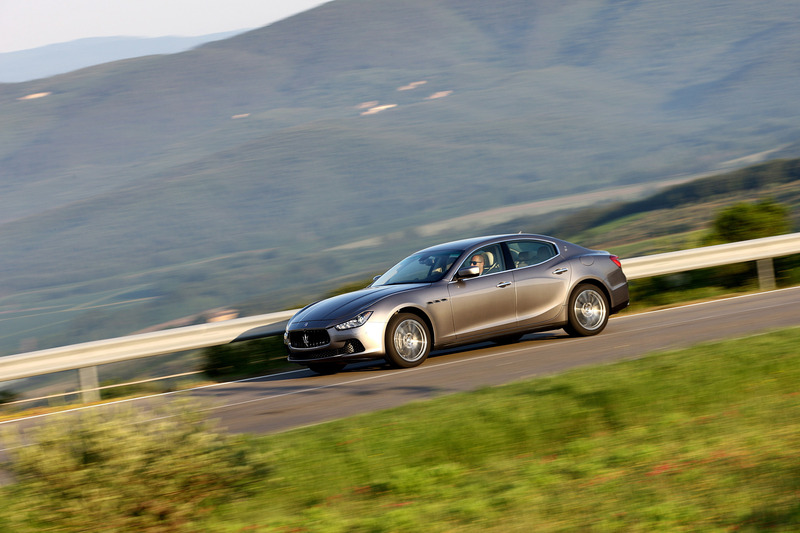 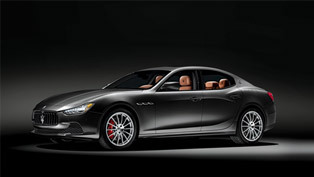 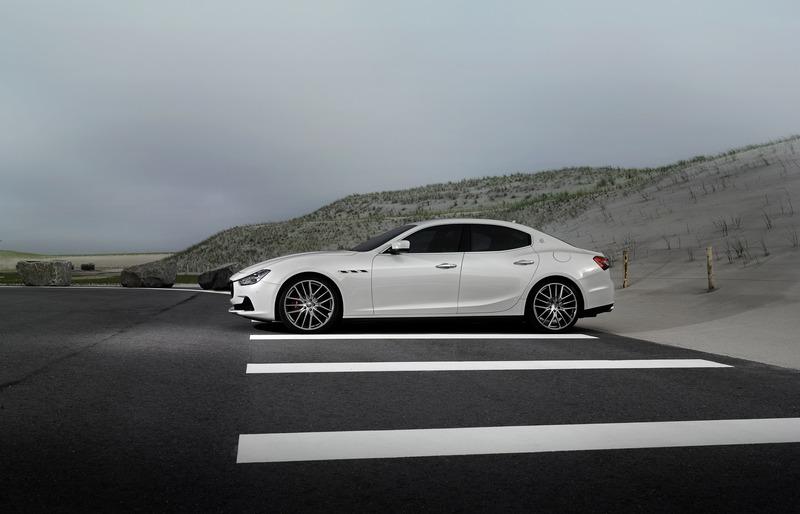 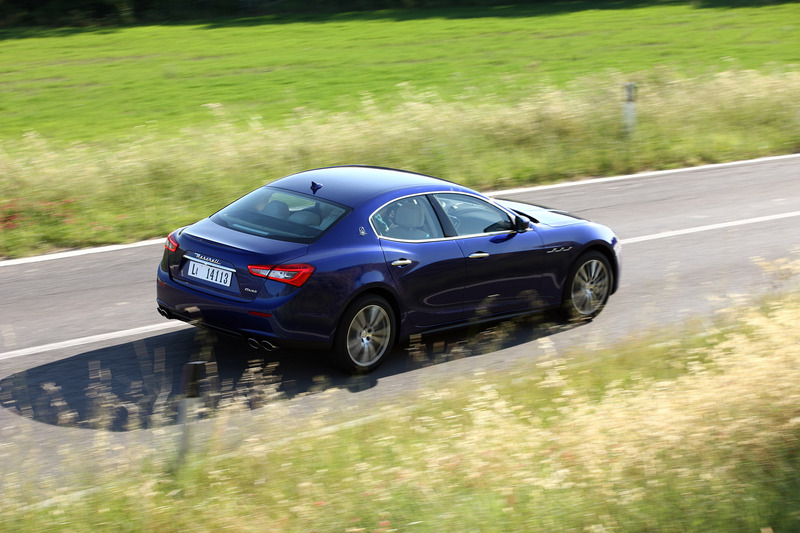 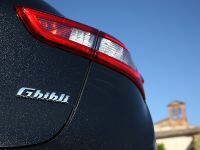 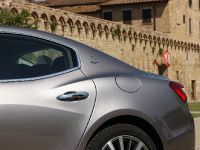 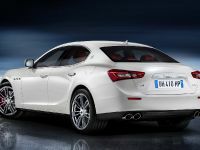 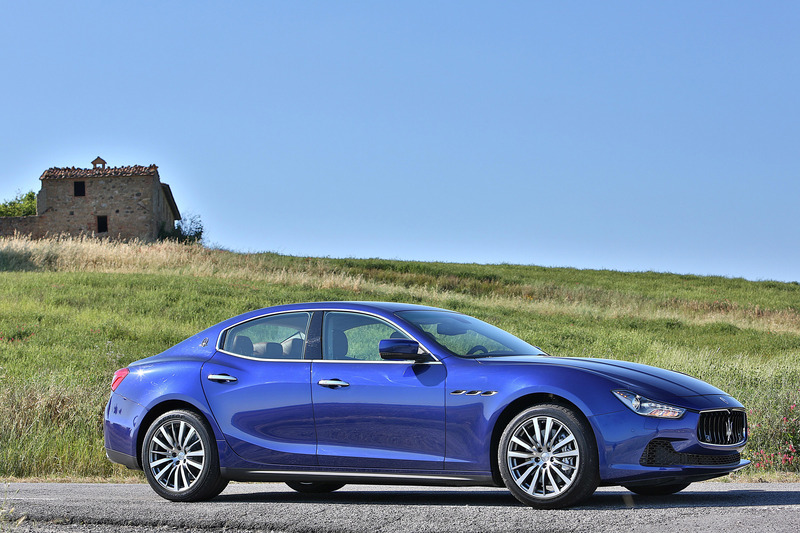 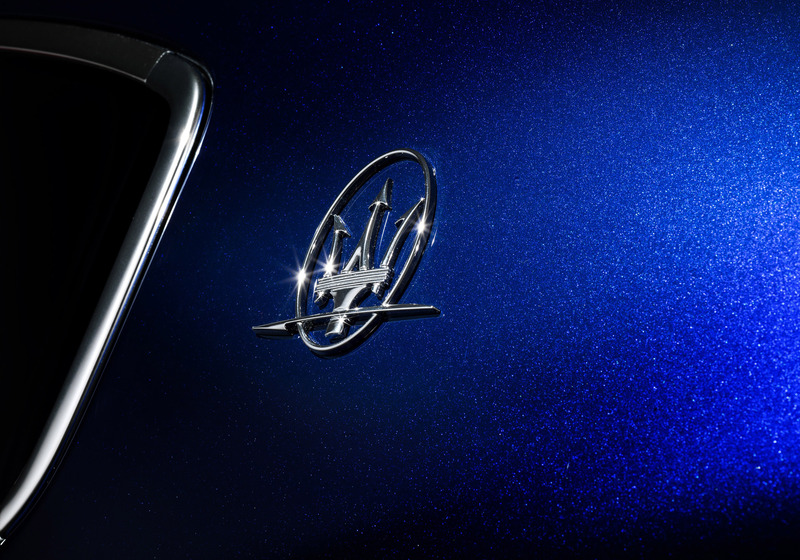 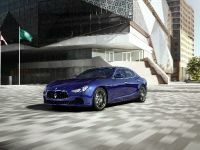 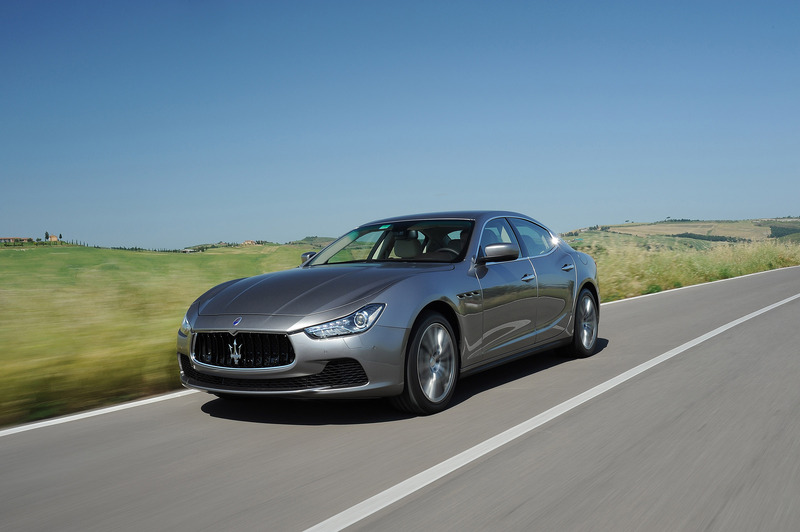 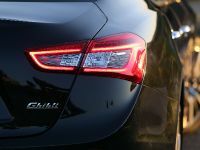 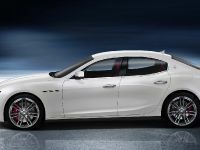 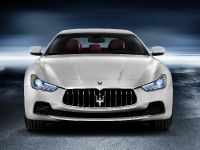 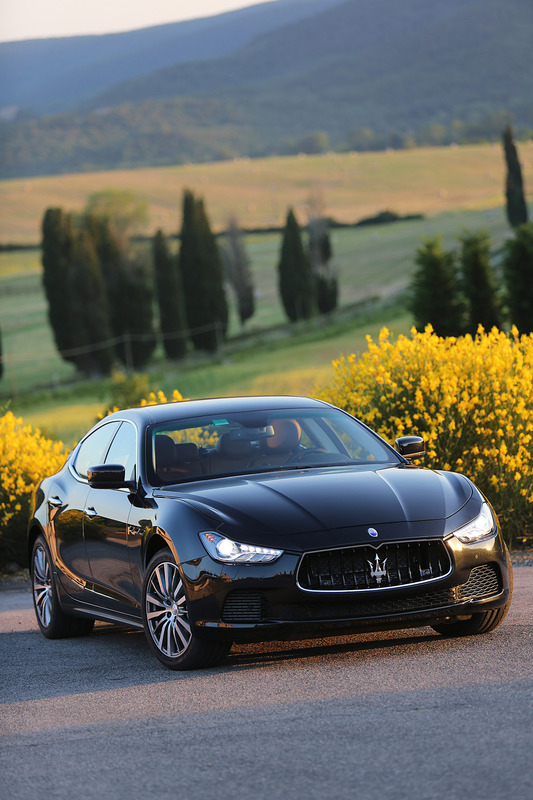 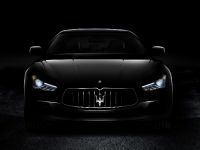 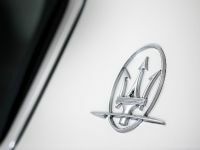 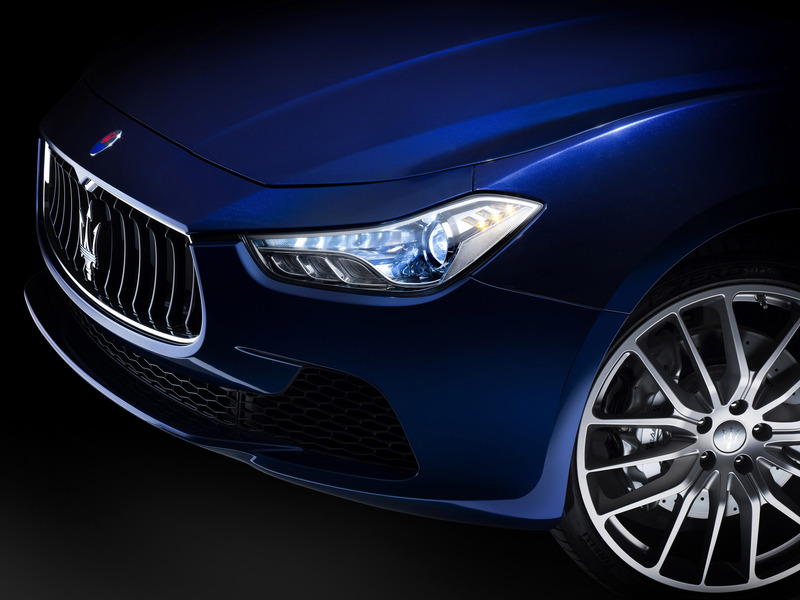 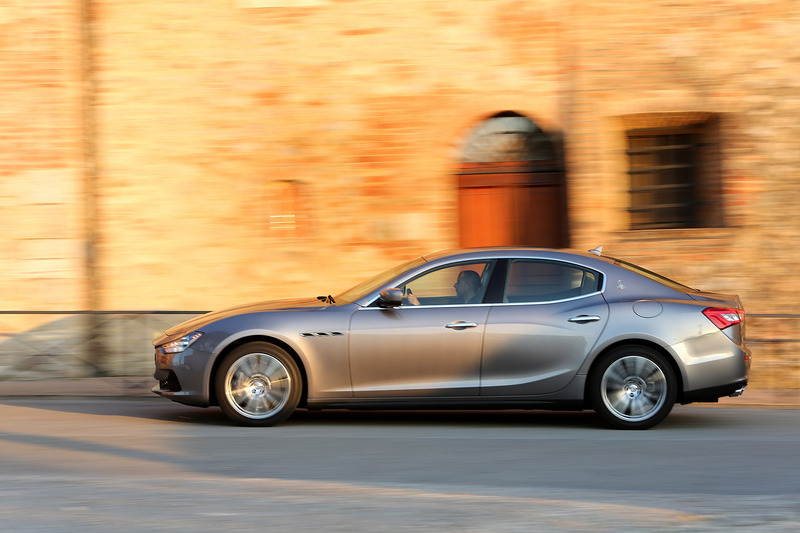 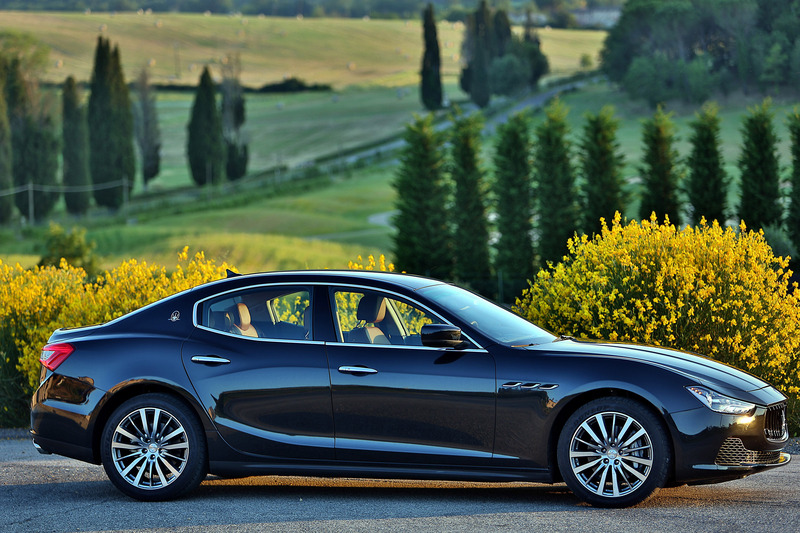 Unveiled at the Shanghai Motor Show and arriving just months after the new Quattroporte, the Ghibli will give Maserati two four-door saloon models for the first time in its history. 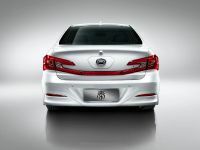 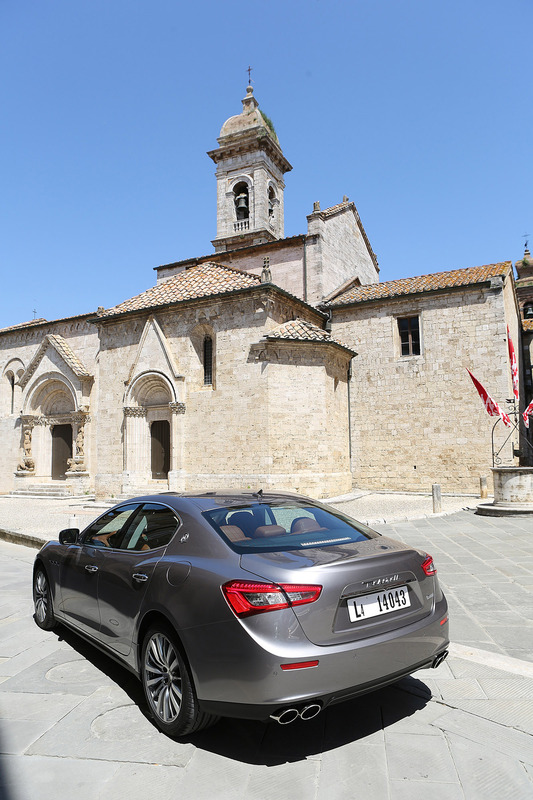 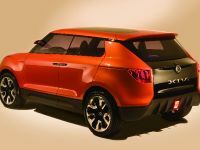 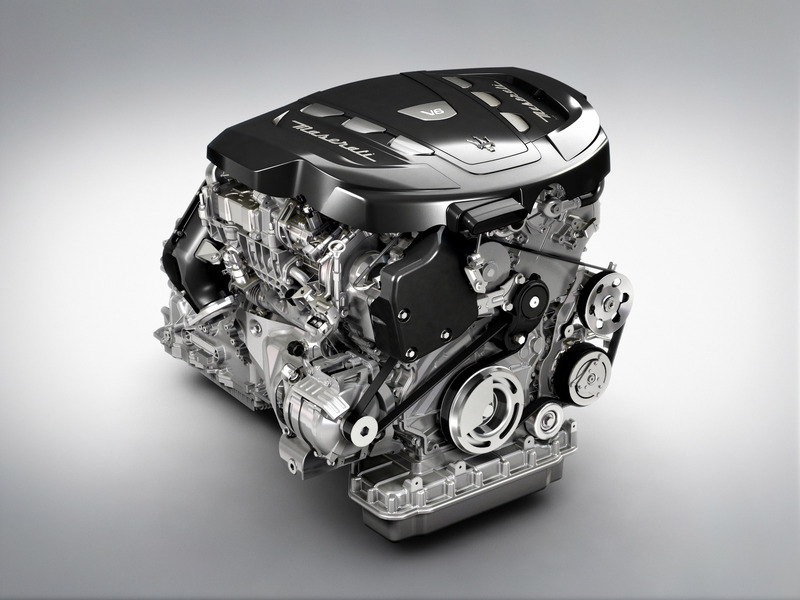 The engine range includes a new 3.0 liter V6 turbodiesel with 275HP (202 kW) and 600Nm (443 lb-ft) of torque. 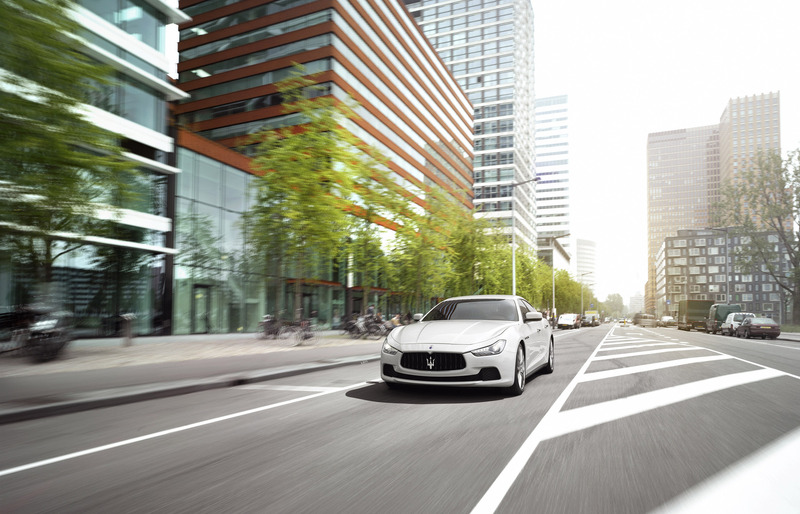 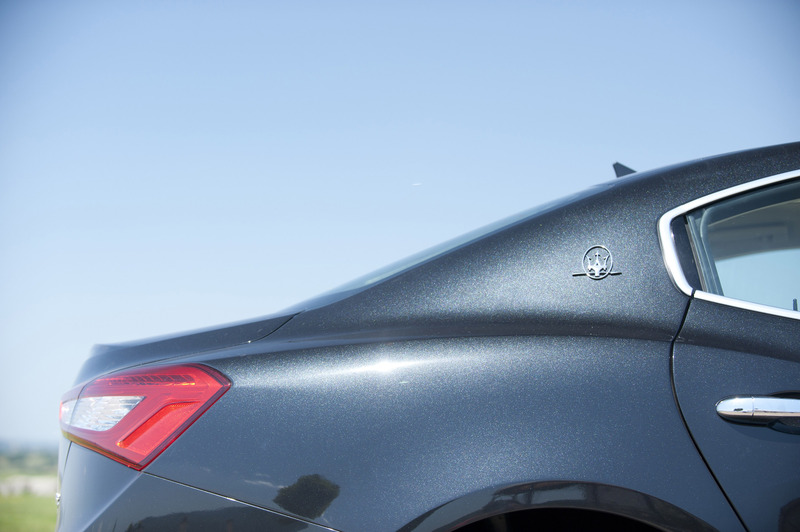 0-100 km/h in 6.3 seconds and a top speed of 250 km/h (155 mph) – electronically limited. 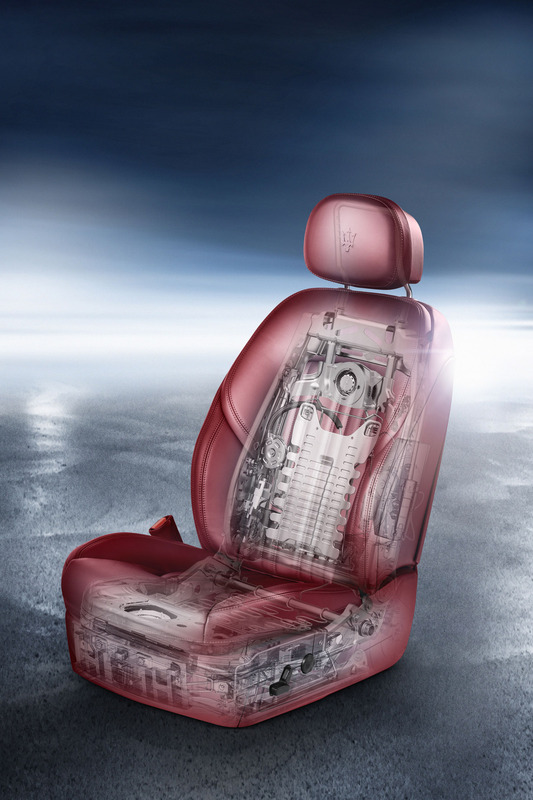 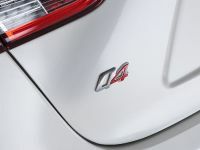 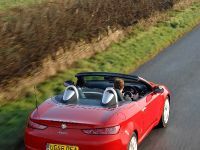 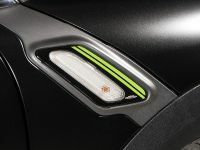 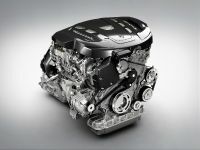 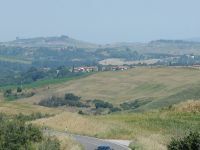 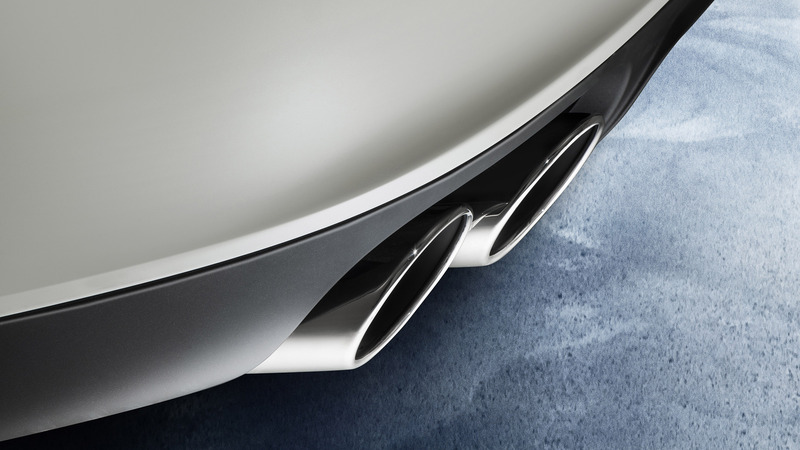 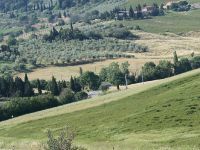 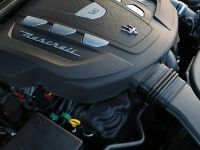 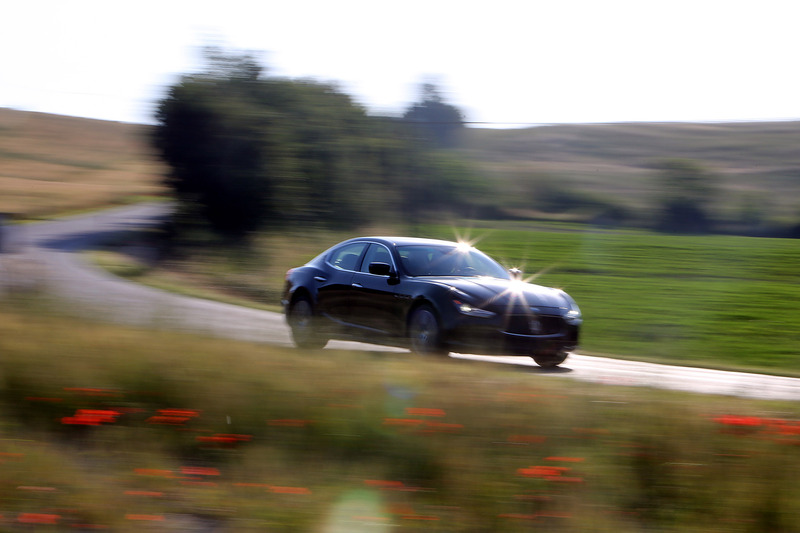 The engine is able to return 47 mpg UK – 6 liters / 100 km. 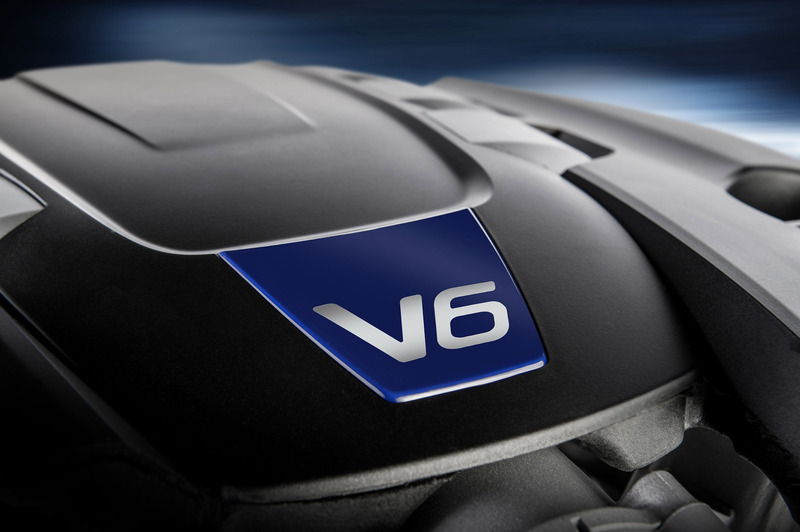 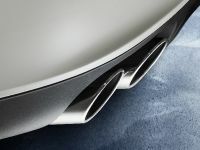 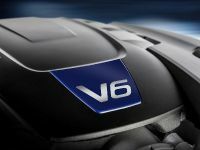 There is also a twin-turbo 3.0 liter V6 petrol with 330HP (243 kW) and 500Nm (369 lb-ft) of torque. 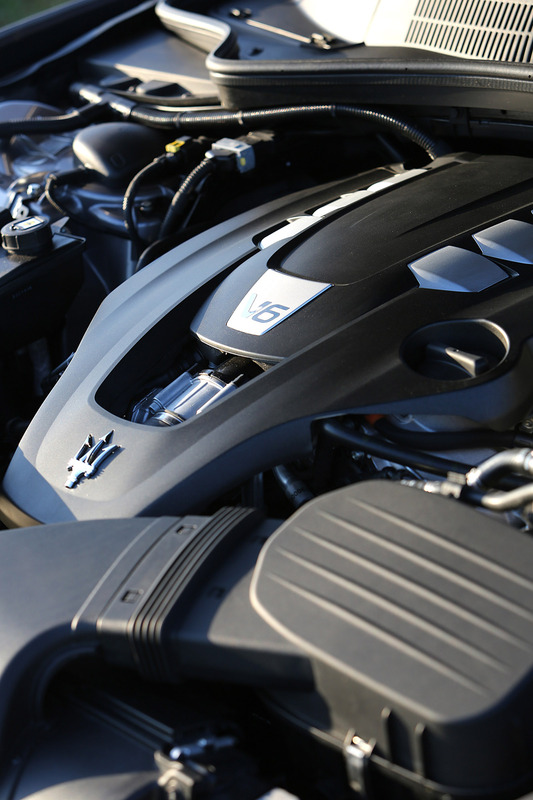 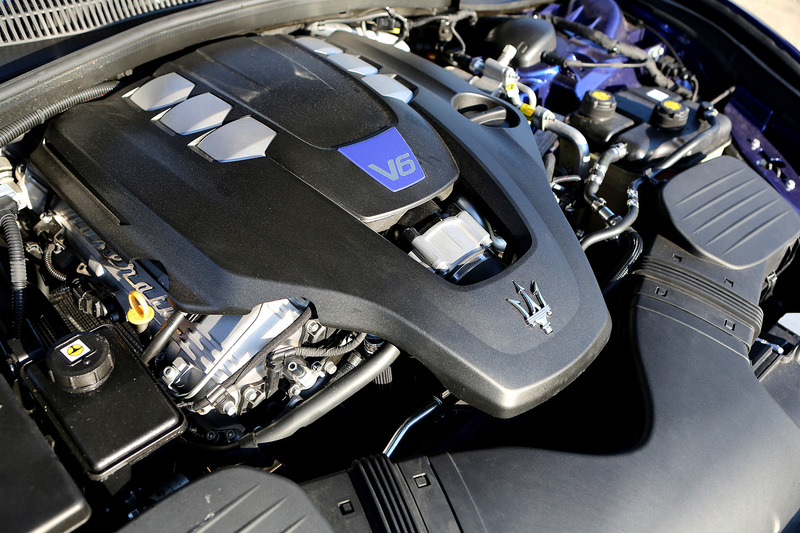 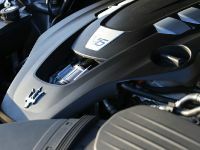 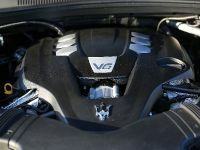 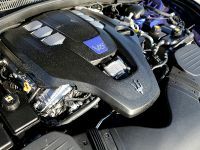 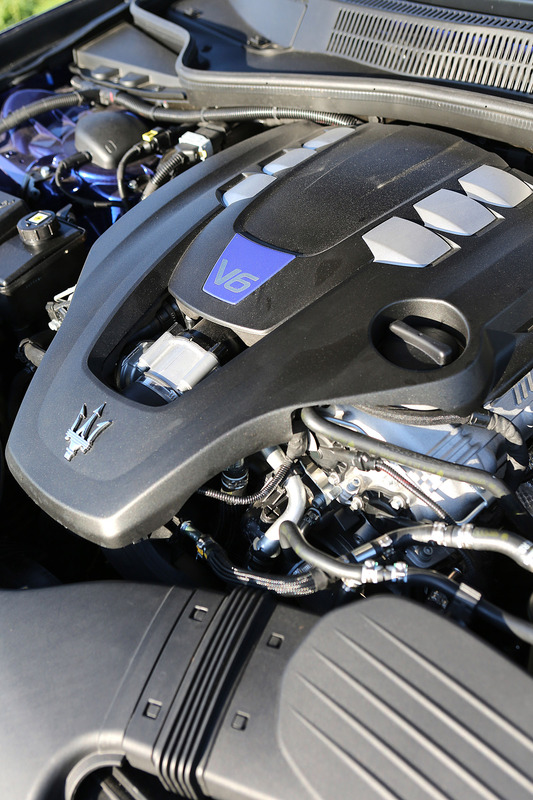 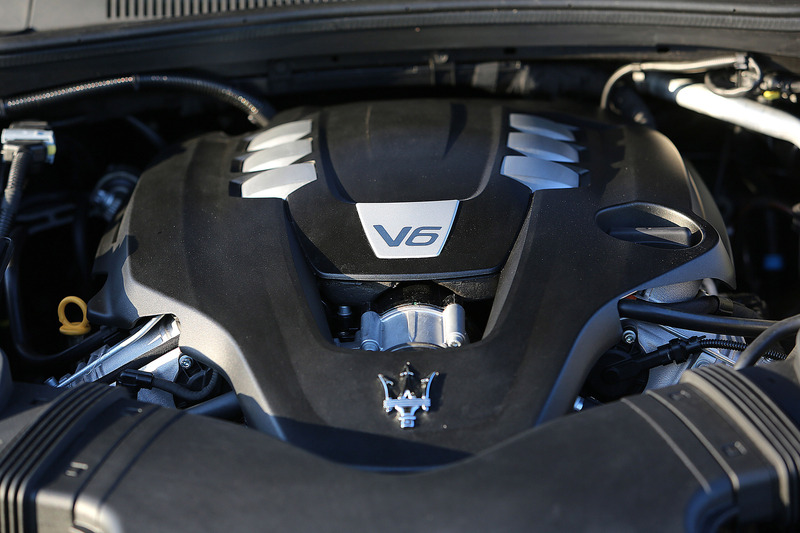 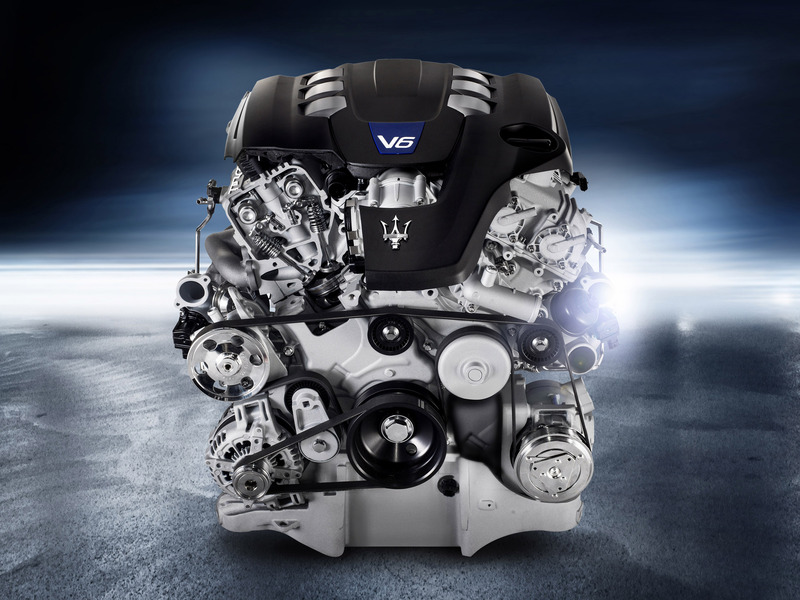 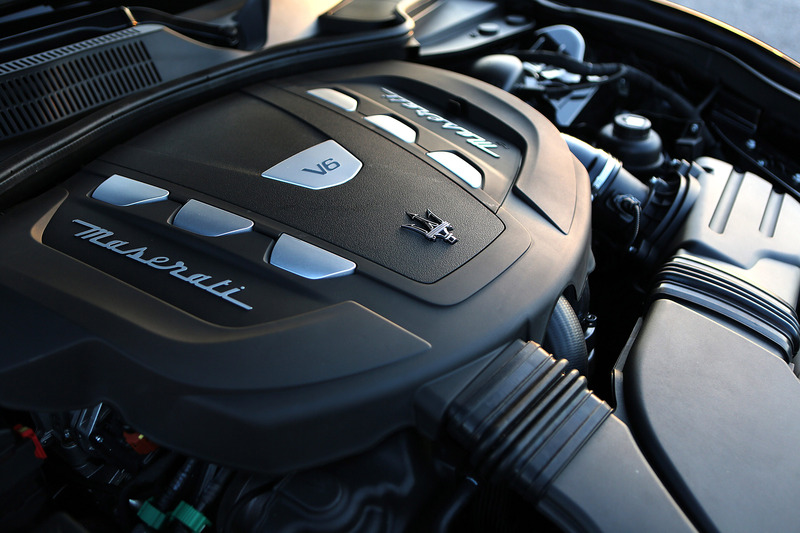 There is an S variant of this engine delivering 410HP (301 kW) and 550Nm (405 lb-ft). 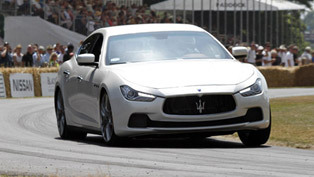 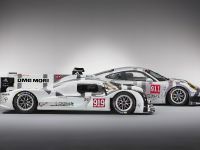 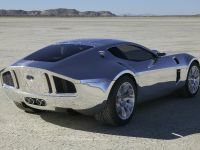 0-100 km/h in 5.0 seconds and a top speed of 285 km/h (175 mph). 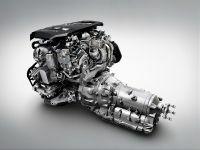 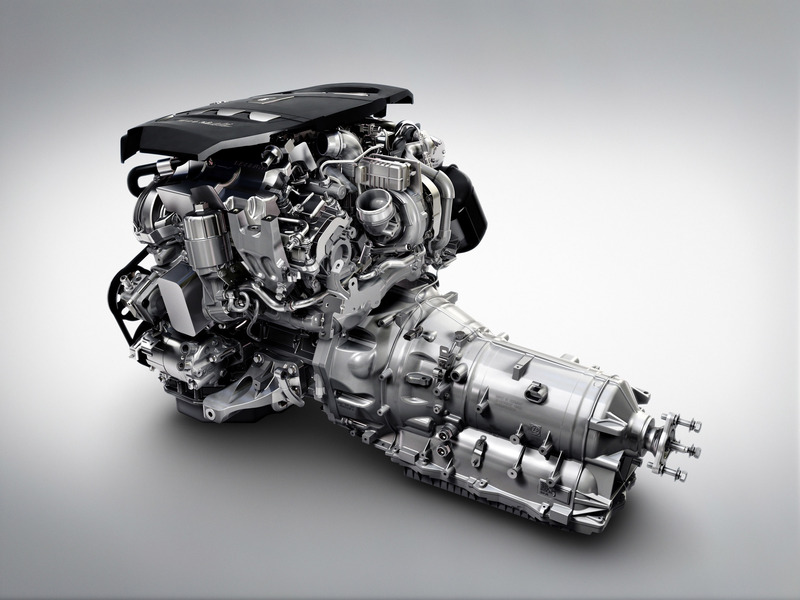 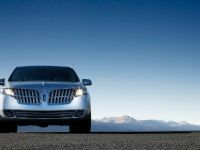 All engines are mated to an 8-speed ZF automatic transmission. A Q4 all-wheel drive system is available for the European customers. 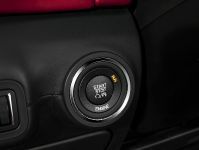 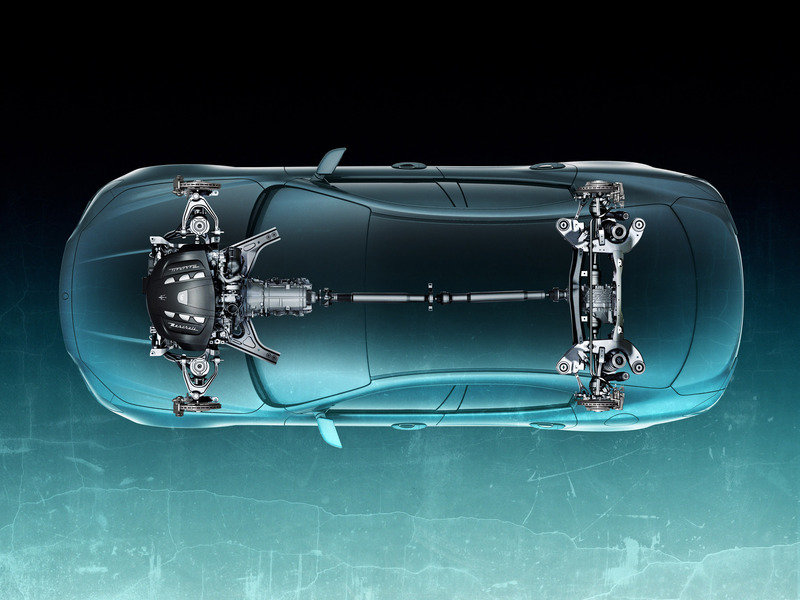 The RWD models feature a mechanical limited-slip differential with 35 % lock-up under power and 45 % under release. 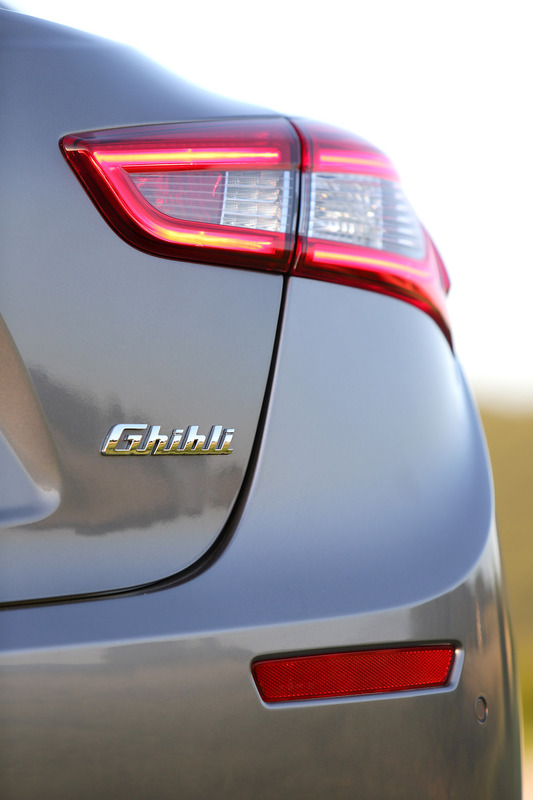 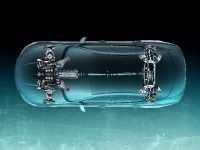 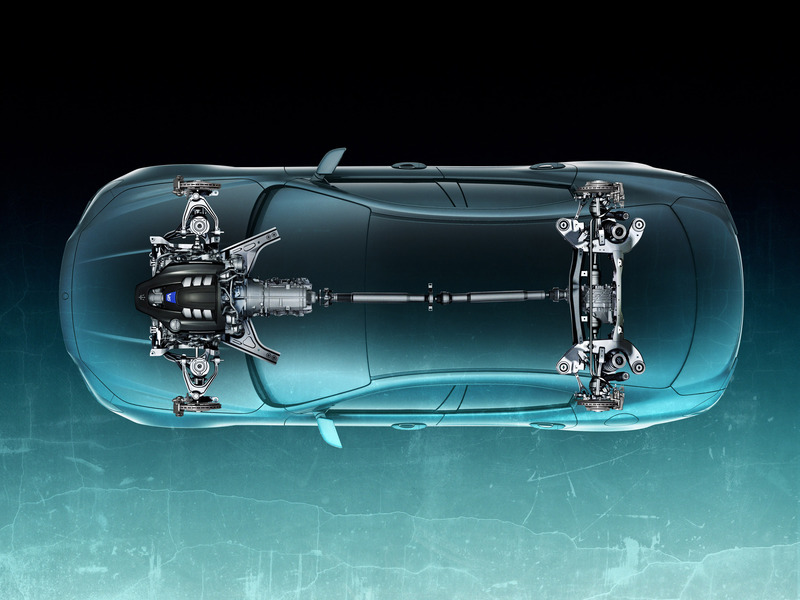 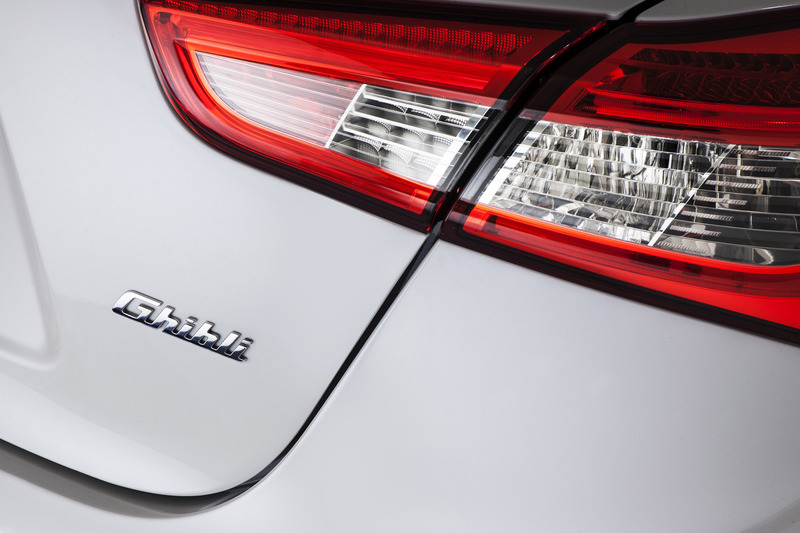 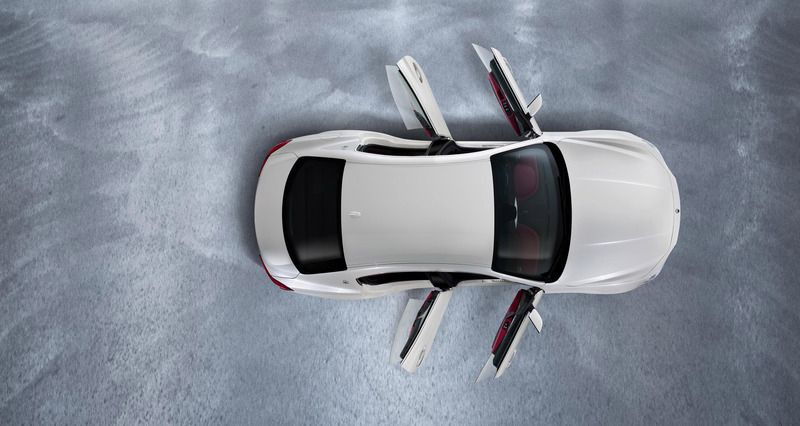 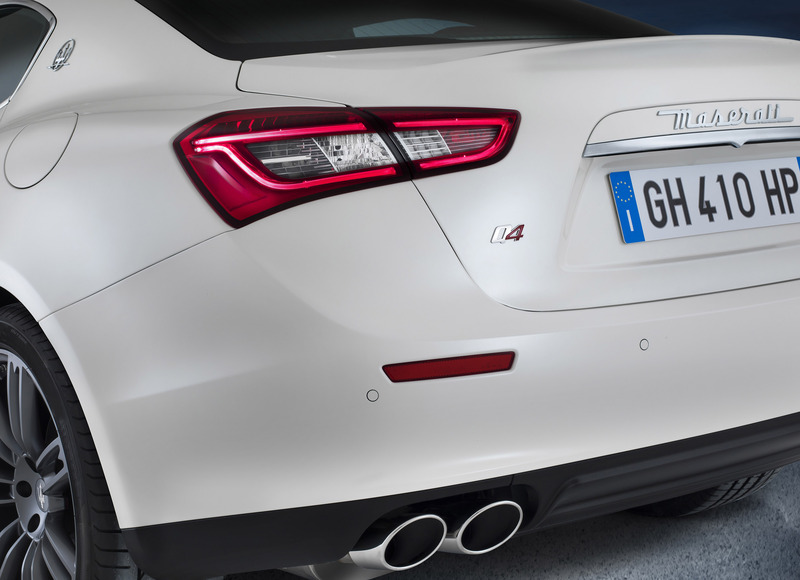 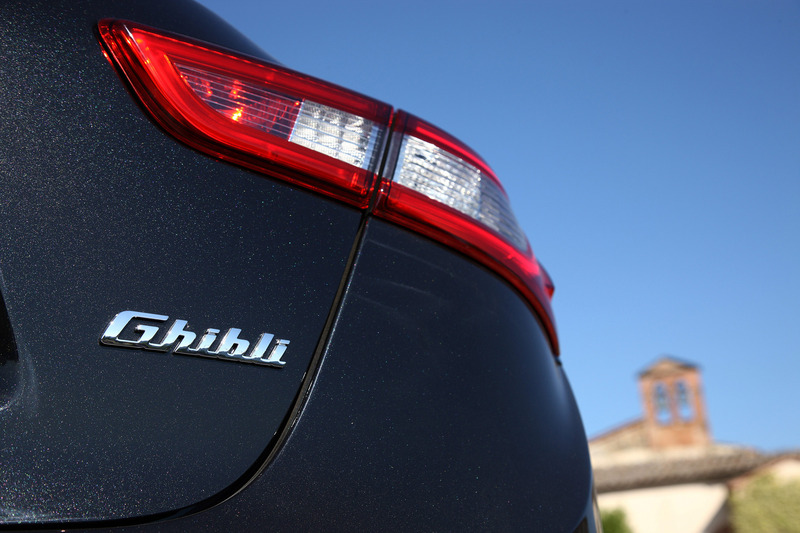 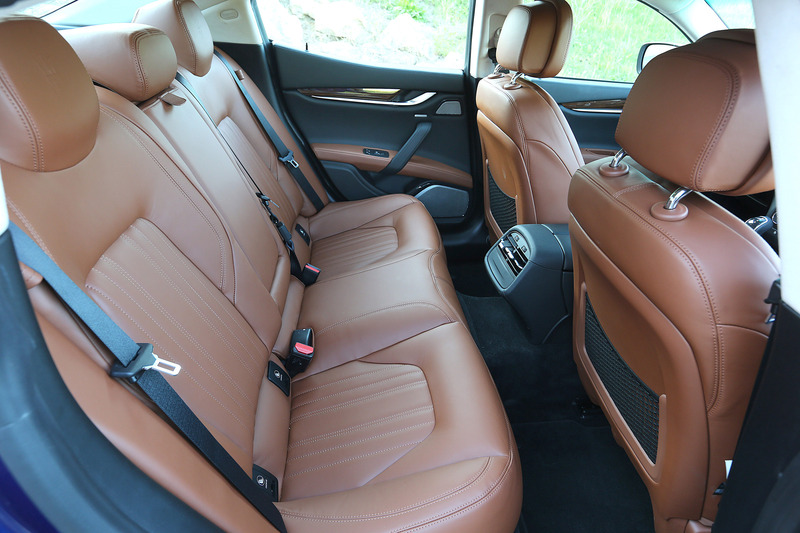 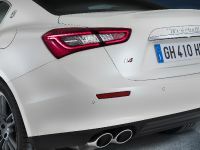 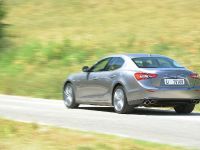 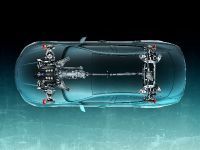 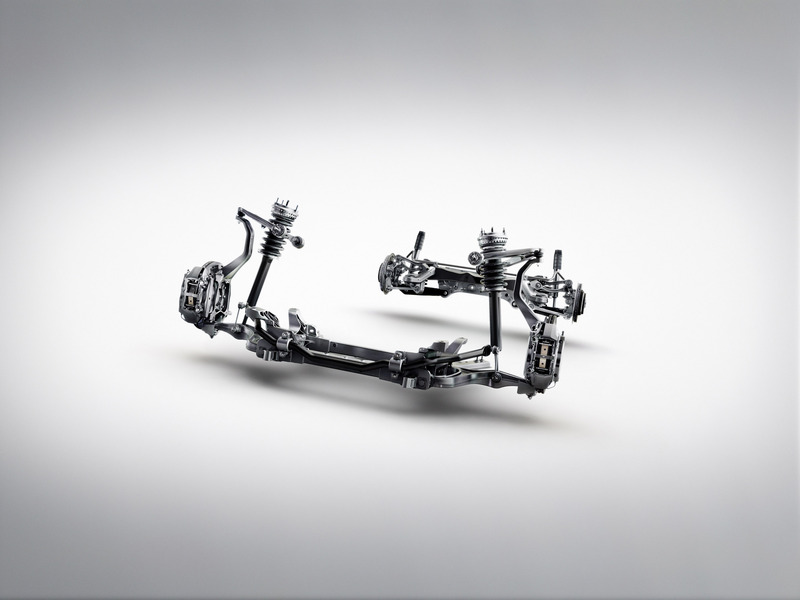 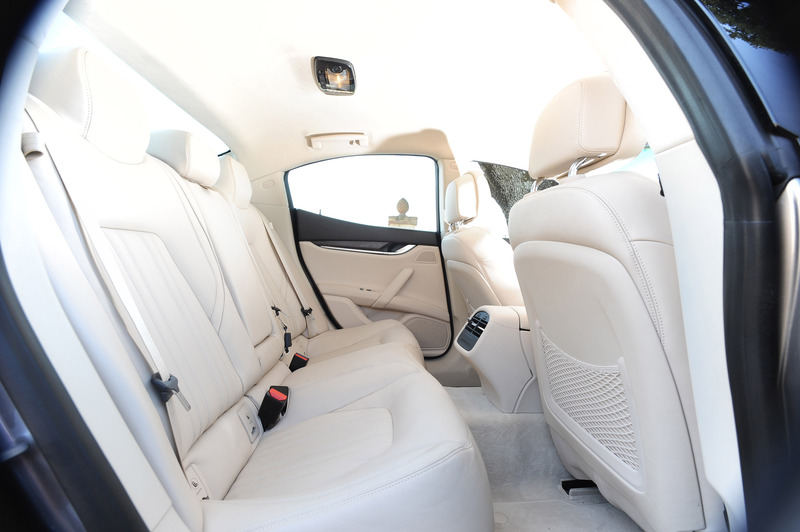 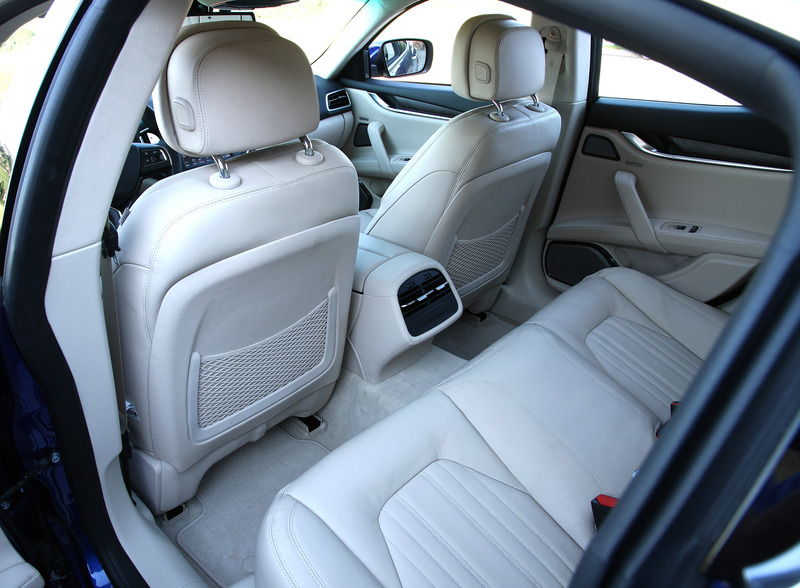 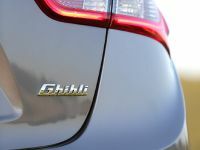 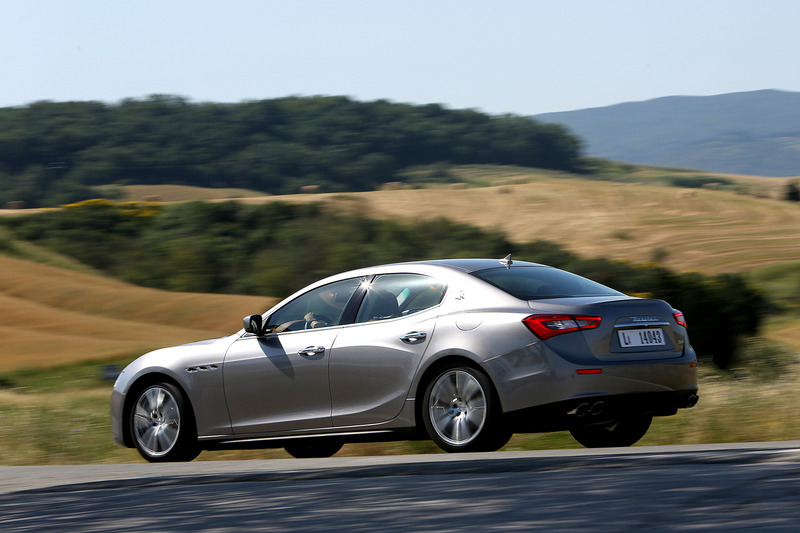 The 2014 Ghibli has a double wishbone suspension up front and a multi-link rear system, while alloy sizes vary from the standard 18" to 21". 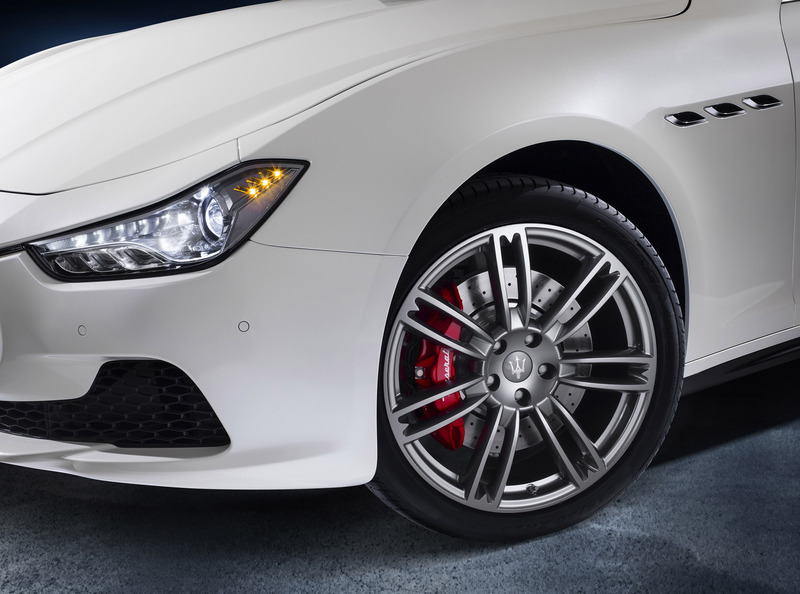 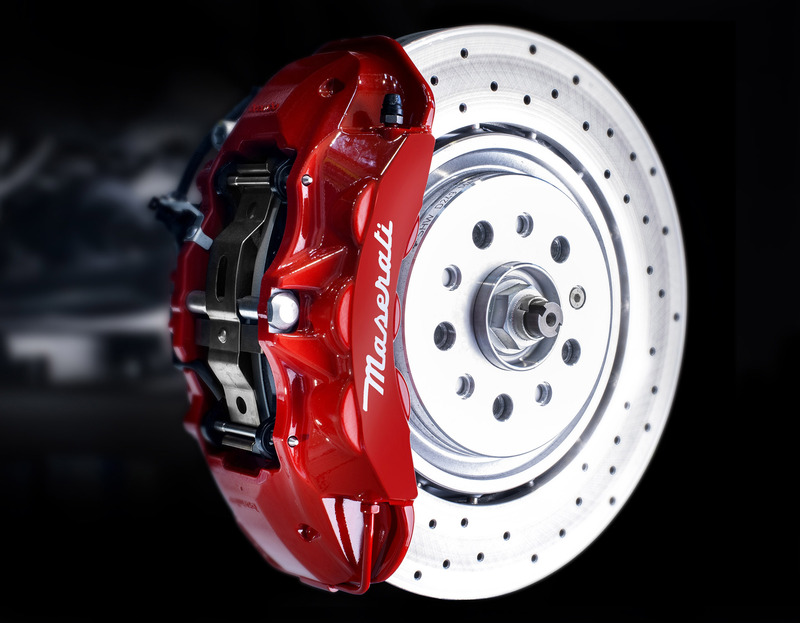 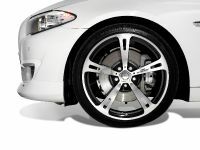 Behind the wheels are Brembo cross-drilled brakes which in the Ghibli S measure 360x32mm and come with 6-piston calipers for the front axle and 4-piston calipers at the rear. 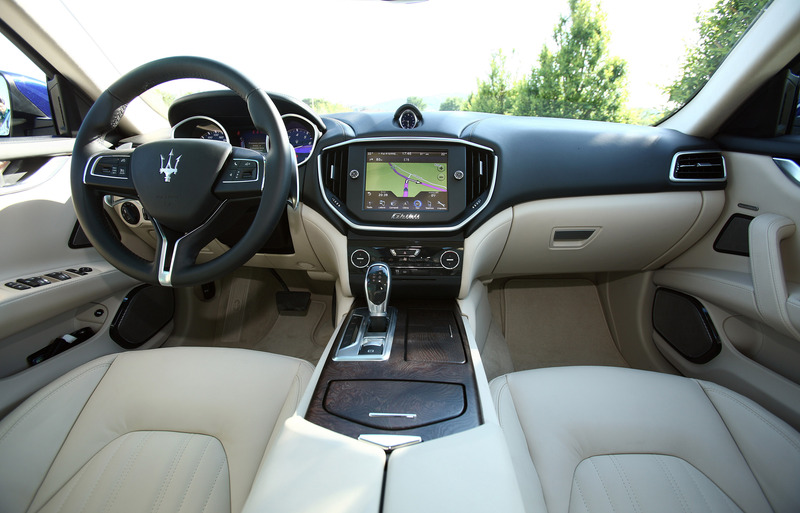 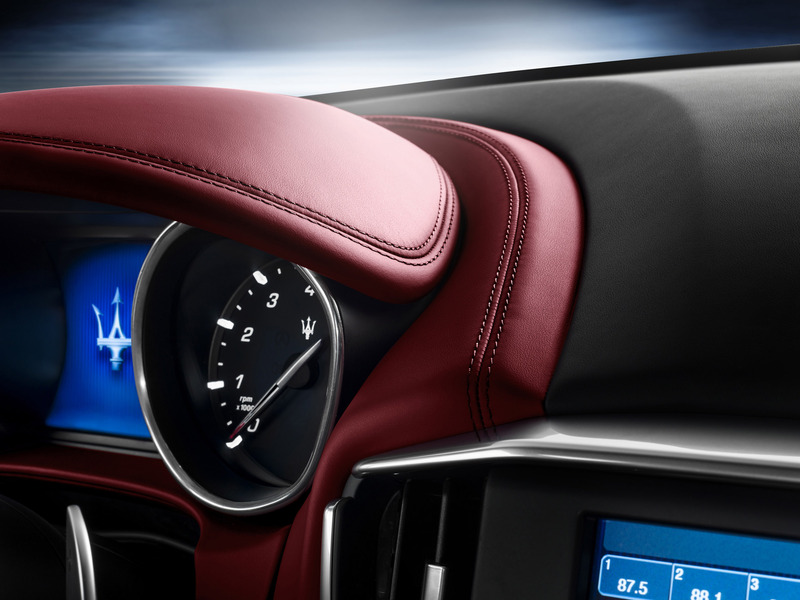 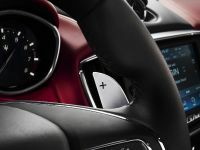 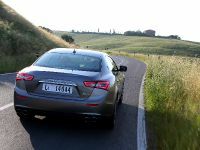 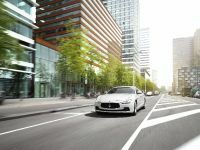 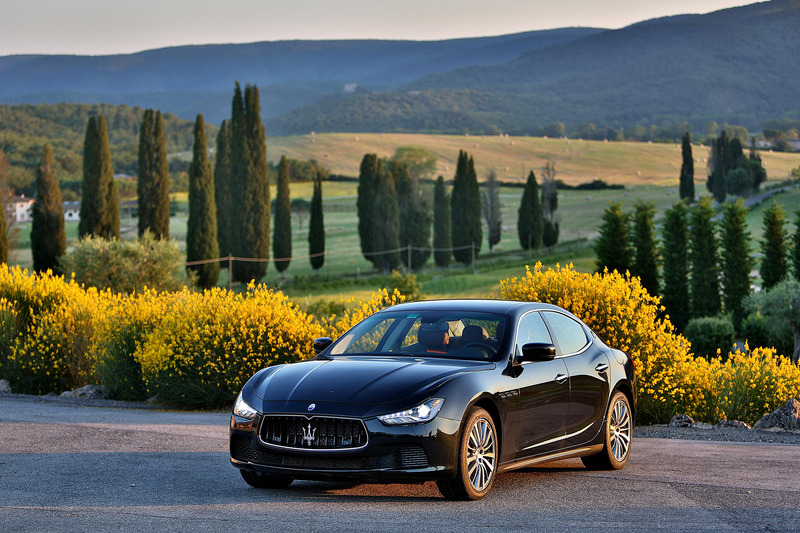 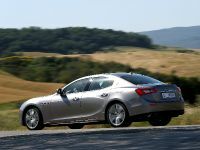 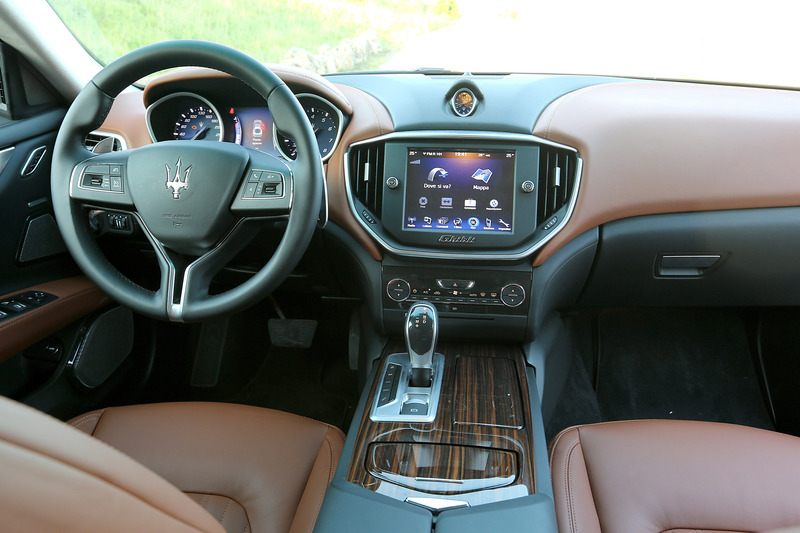 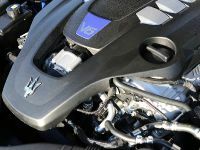 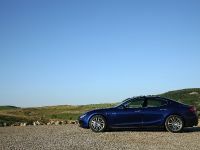 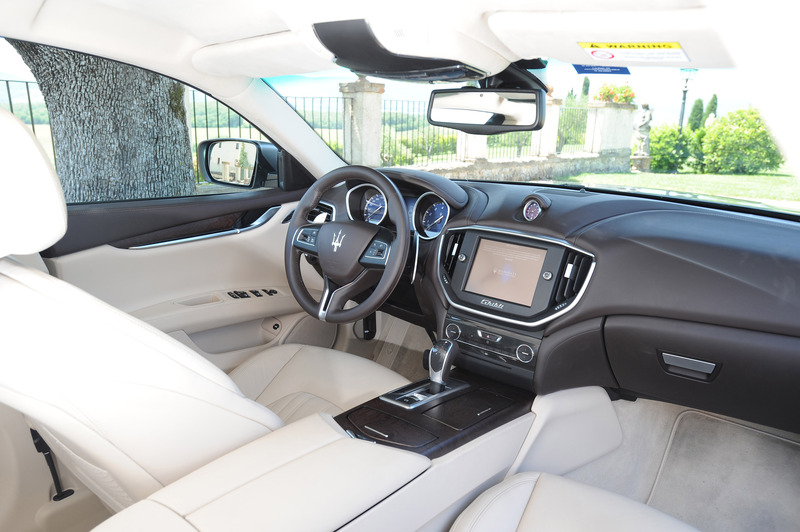 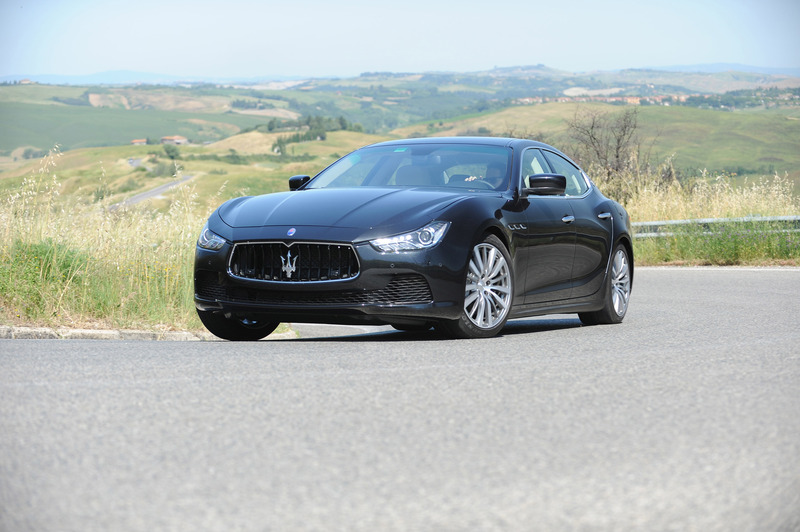 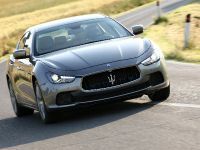 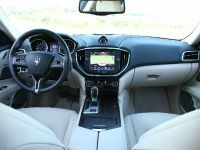 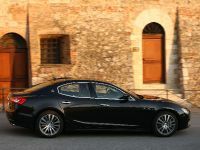 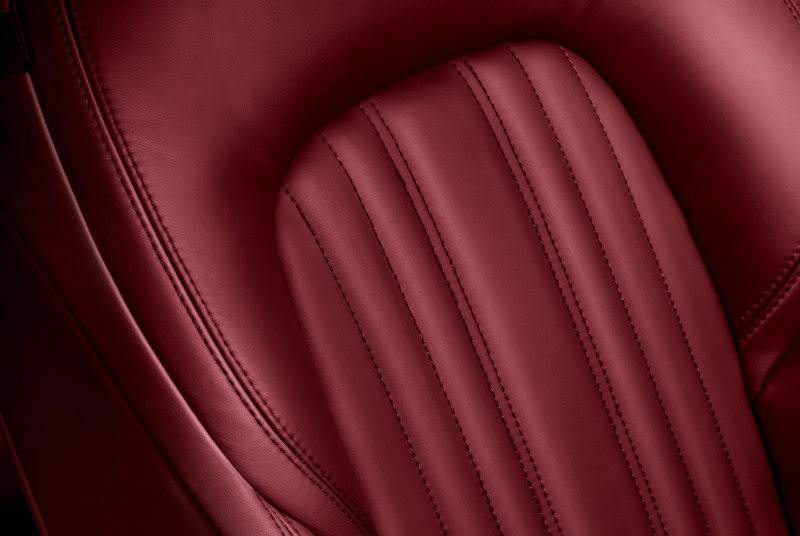 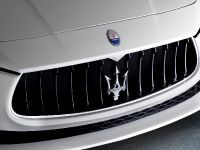 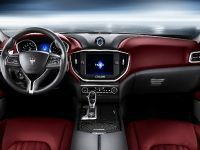 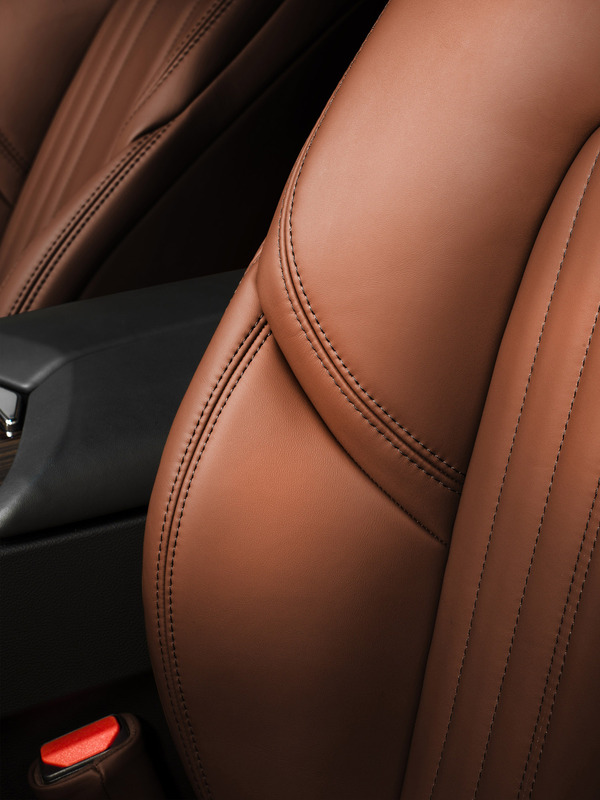 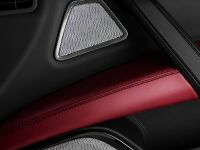 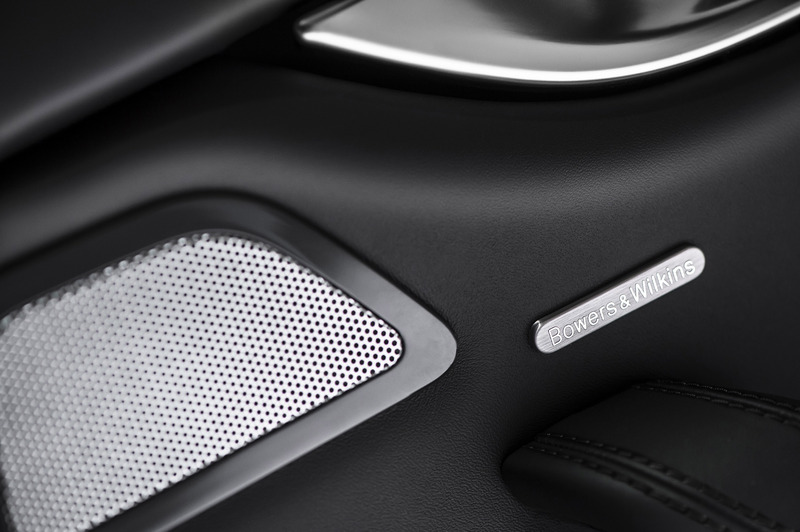 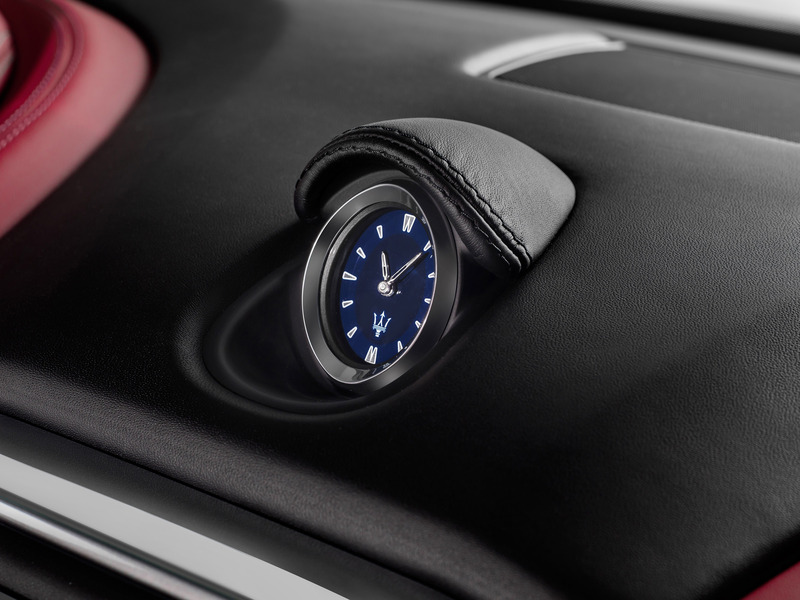 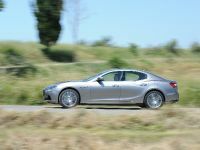 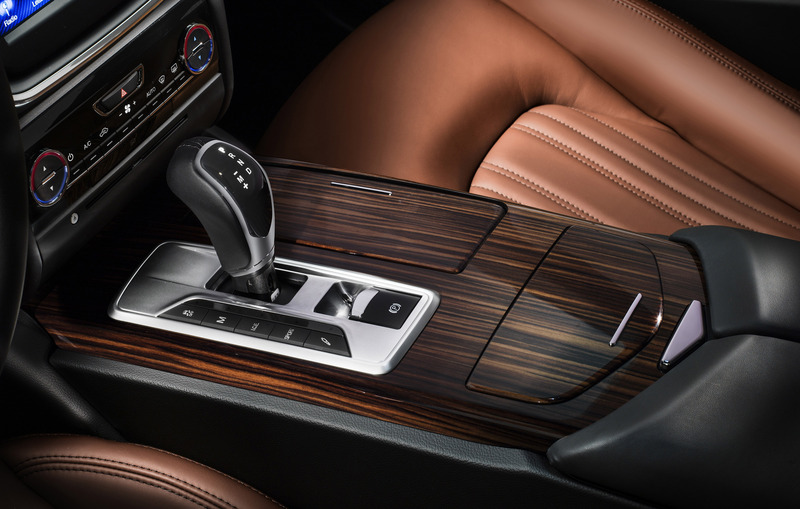 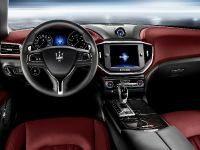 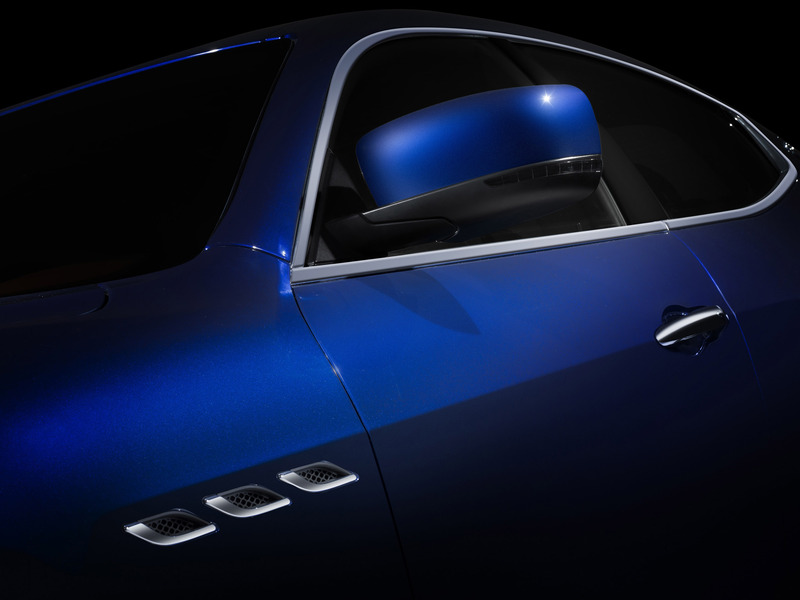 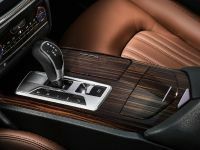 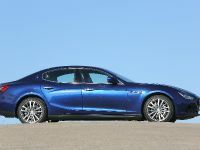 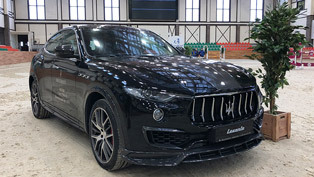 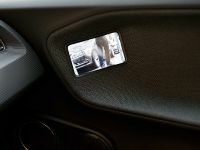 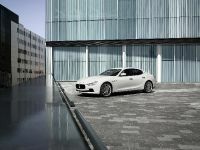 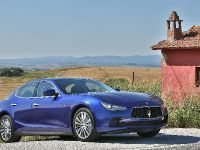 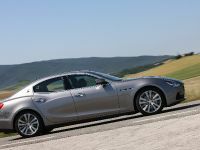 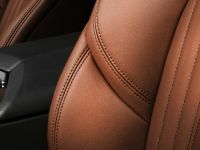 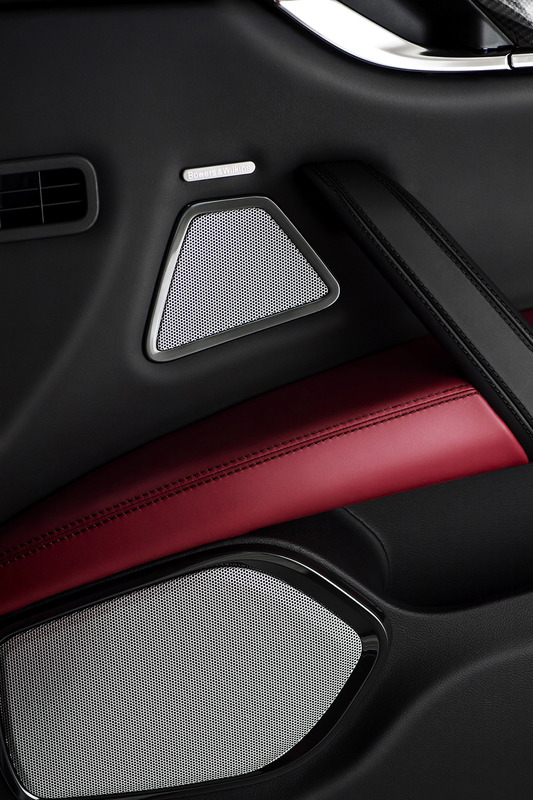 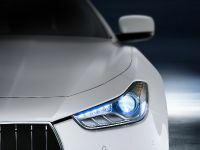 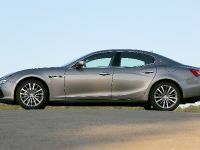 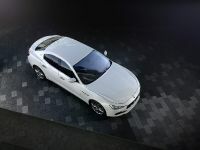 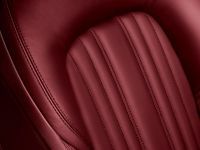 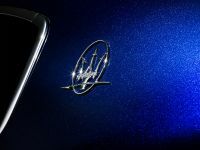 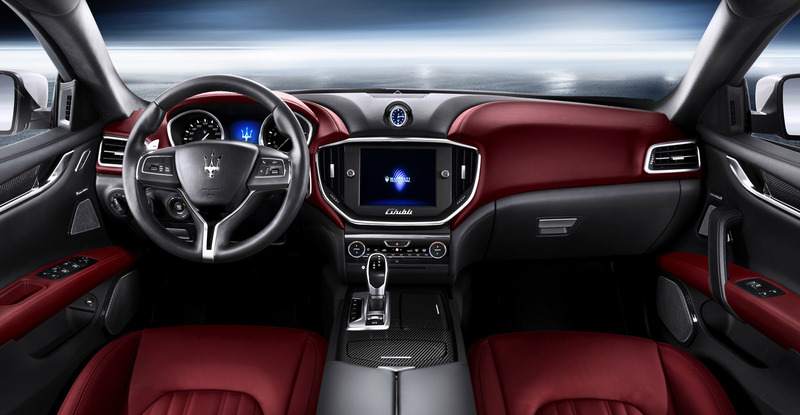 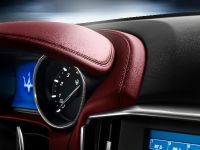 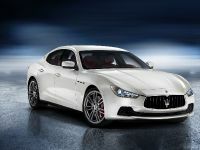 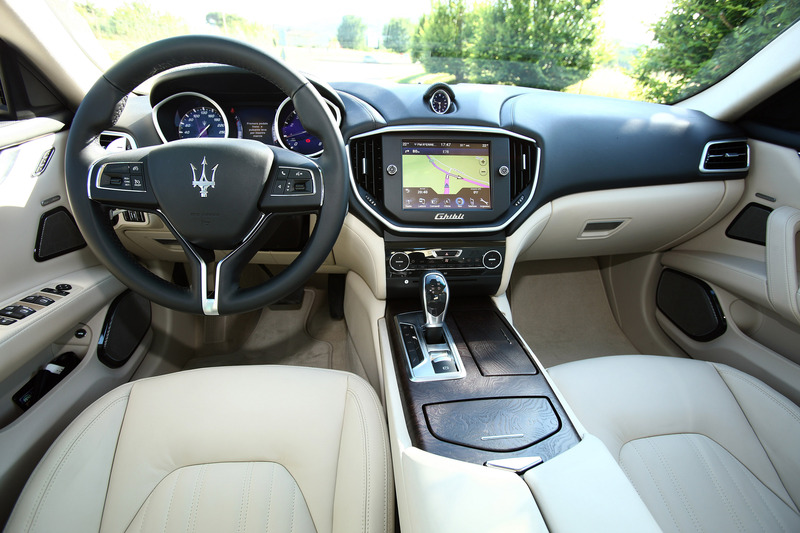 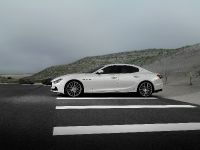 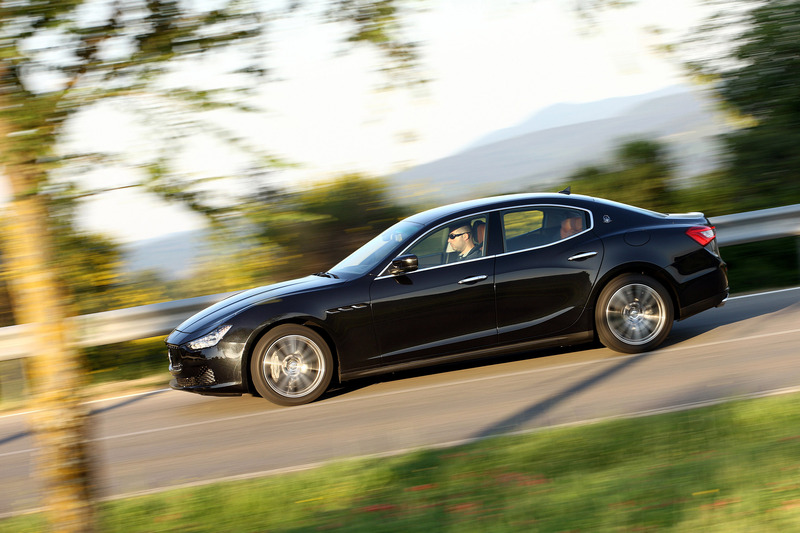 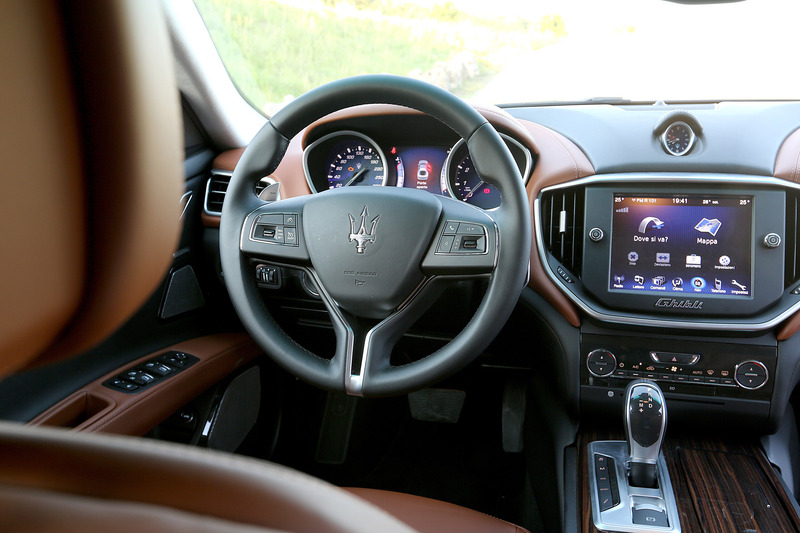 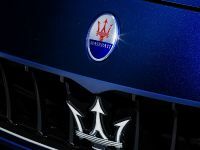 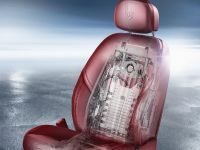 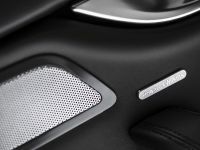 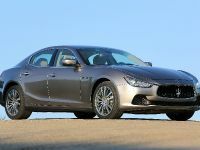 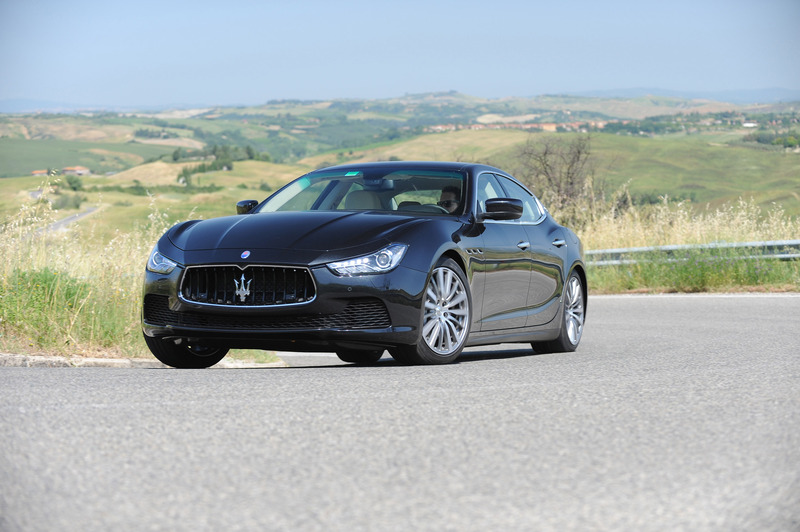 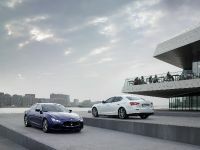 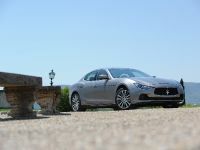 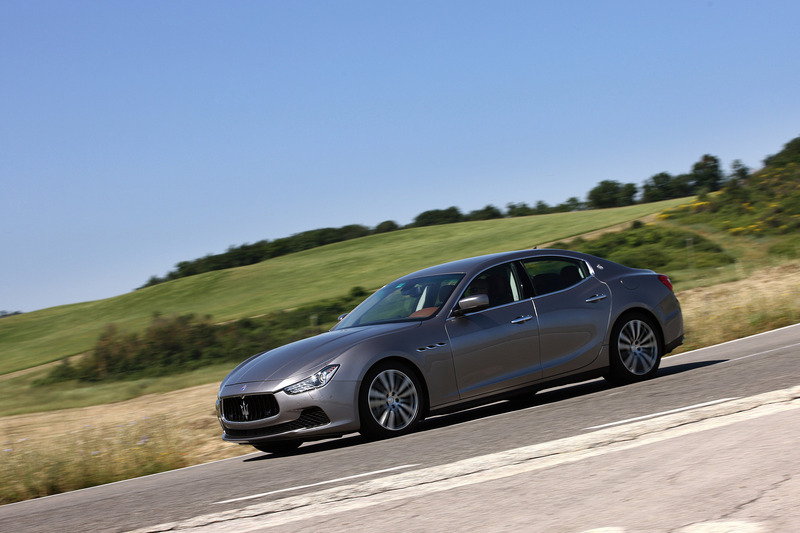 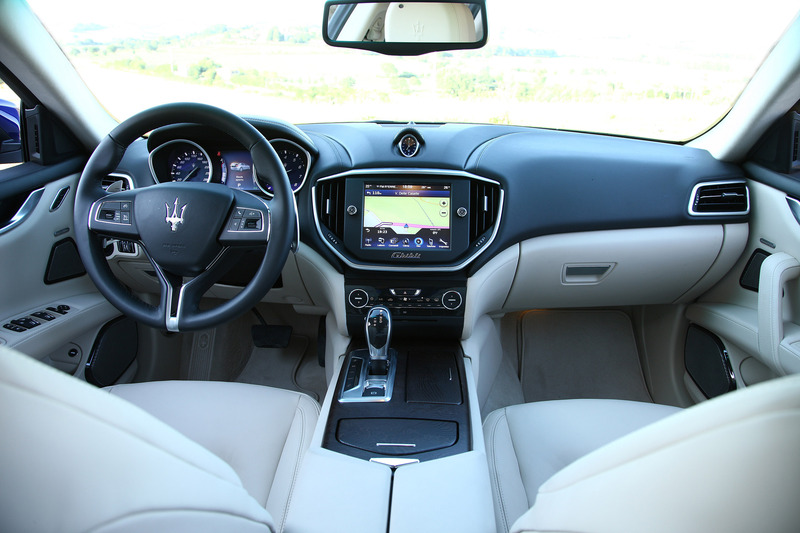 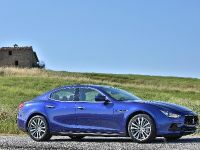 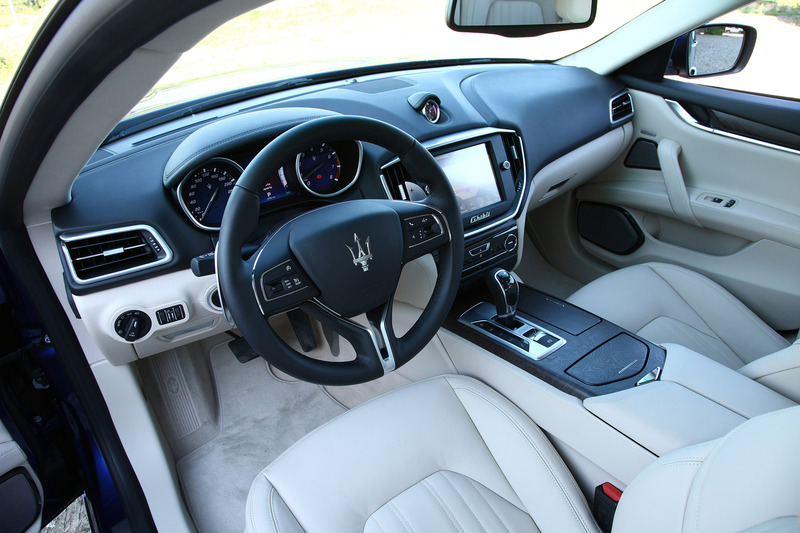 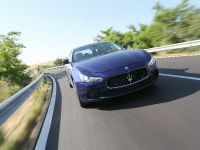 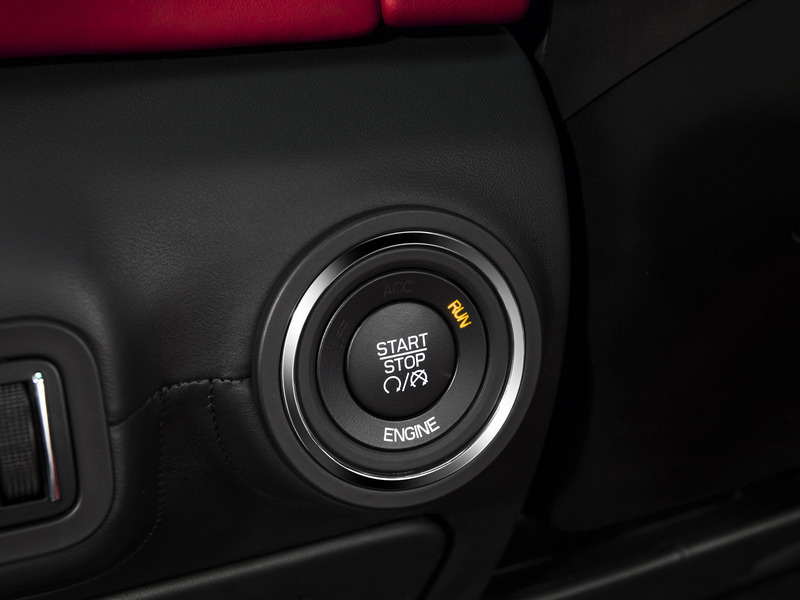 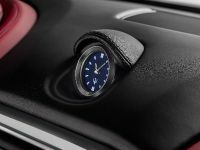 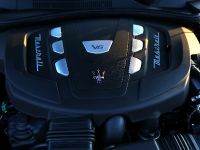 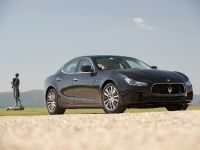 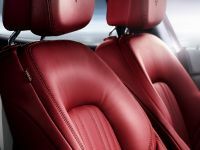 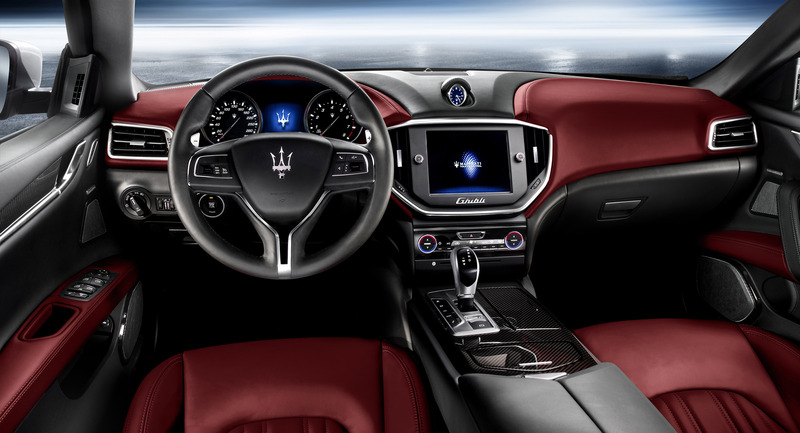 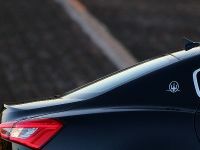 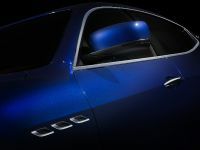 The Ghibli has entered the E-segment sports premium market with a marked advantage in cabin craftsmanship and detailing, offering luxury features like the Maserati Touch Control screen, reversing camera, Poltrona Frau leather interior and the 15-speaker Bowers & Wilkins audio system, as well as WLAN-based WiFi and compatibility with most modern mobile phone systems.